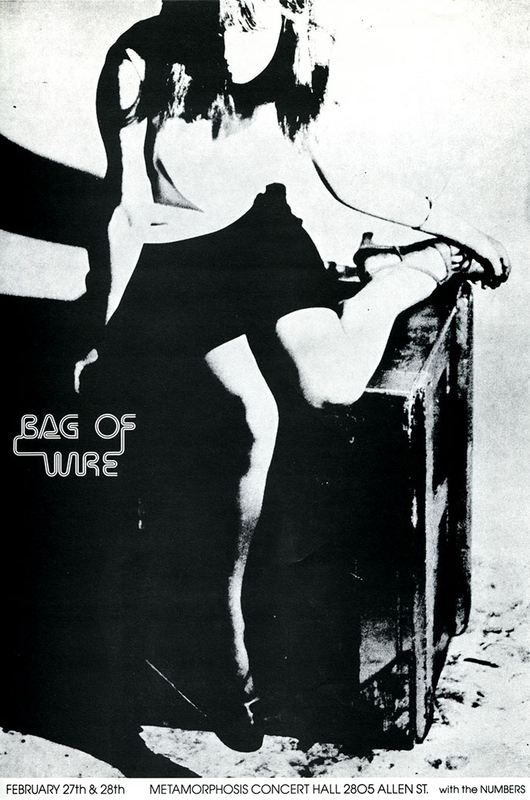 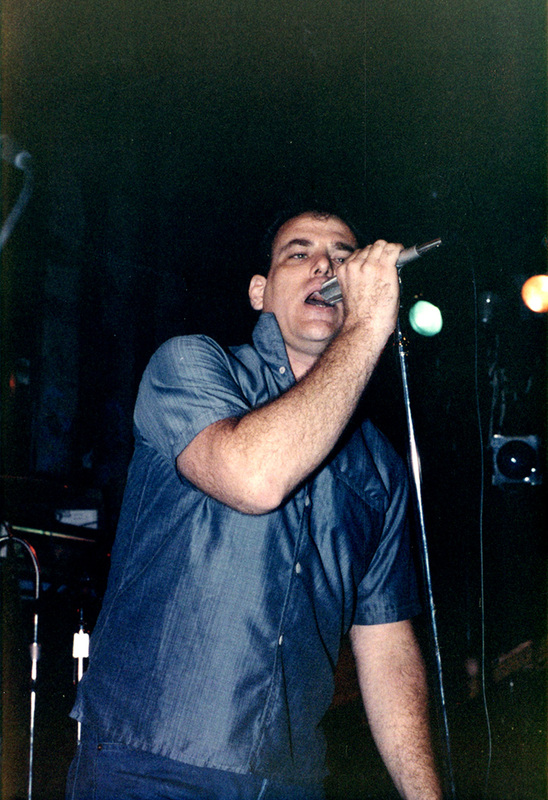 SMWRG – Original Lyrics, Set Lists, etc. 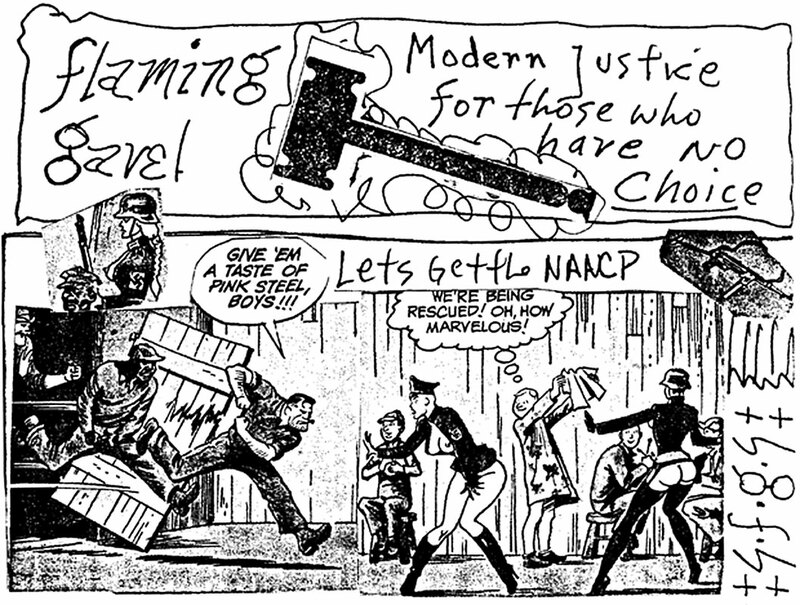 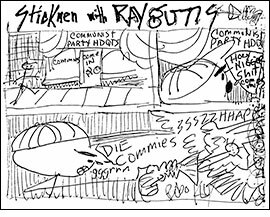 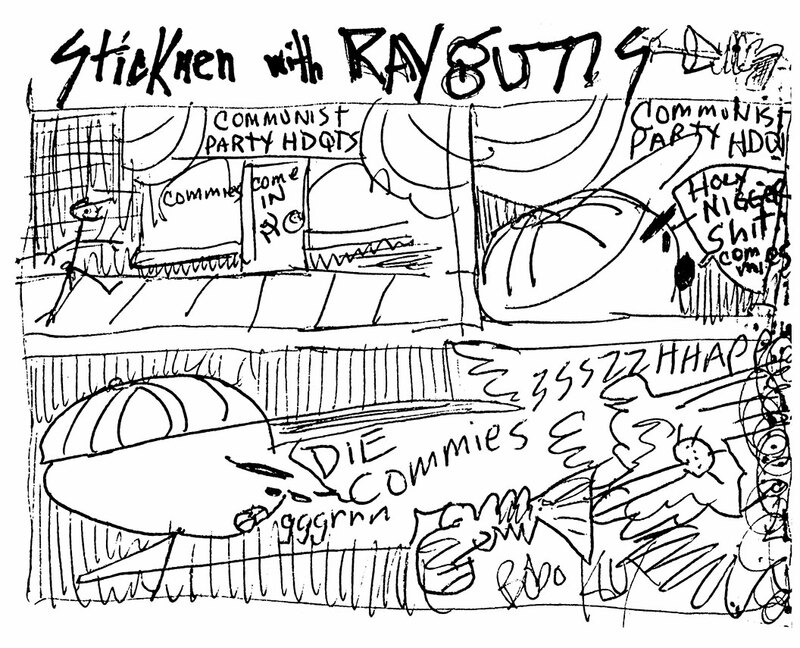 SMWRG Comics, Flaming Gavels, etc. 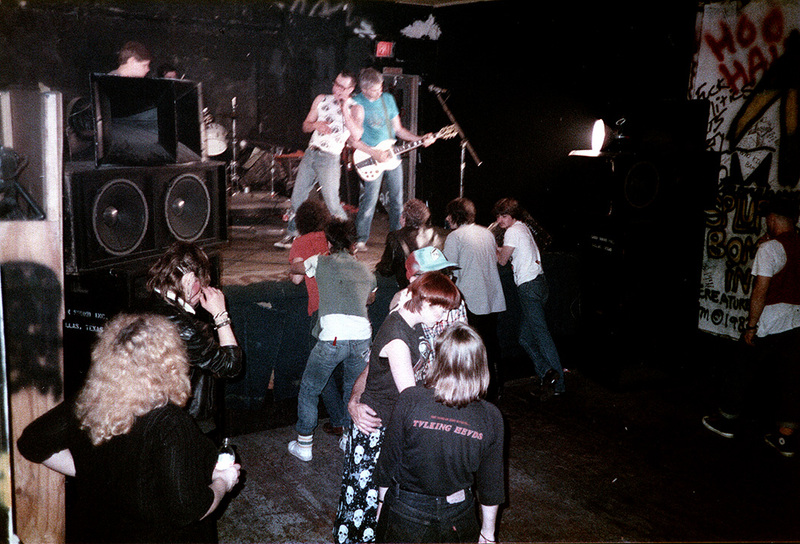 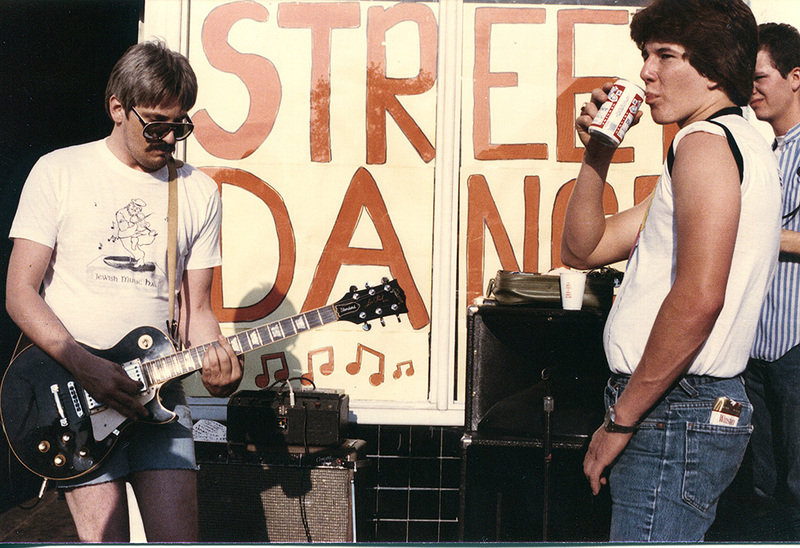 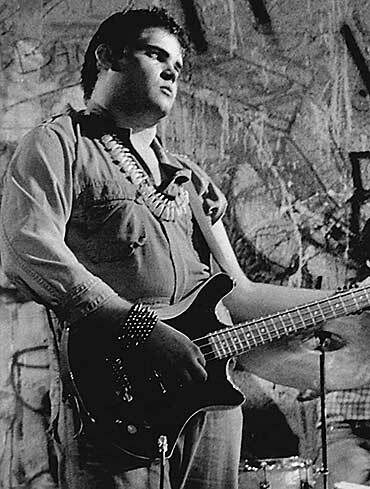 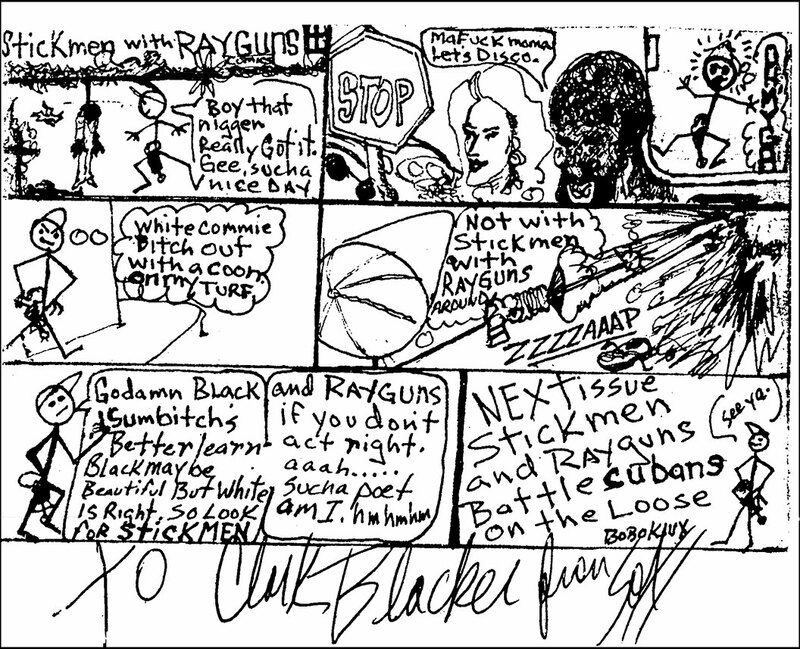 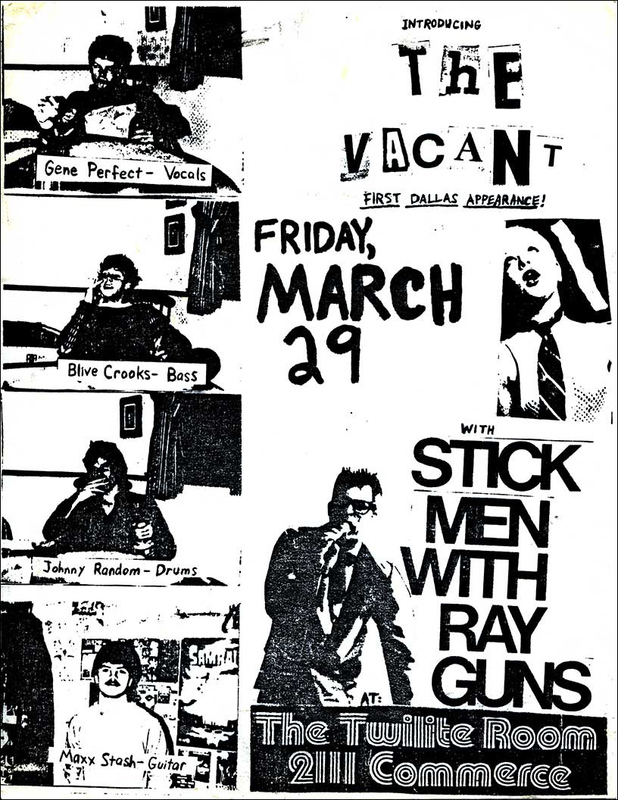 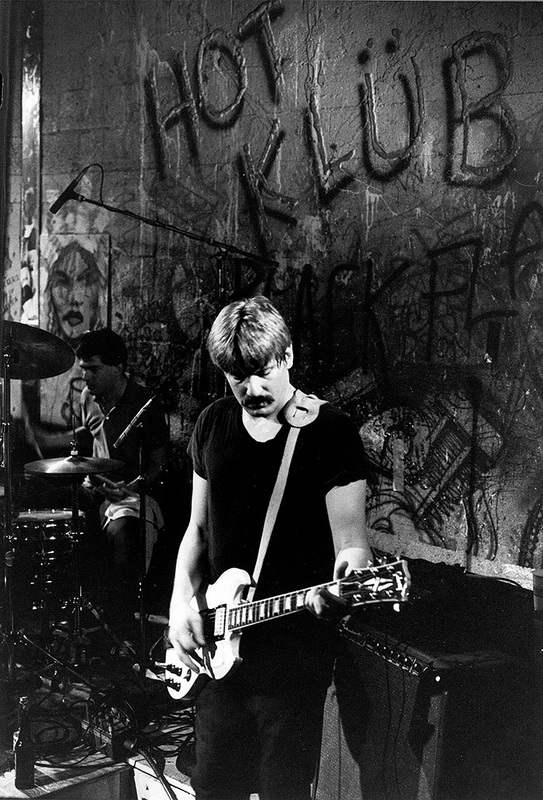 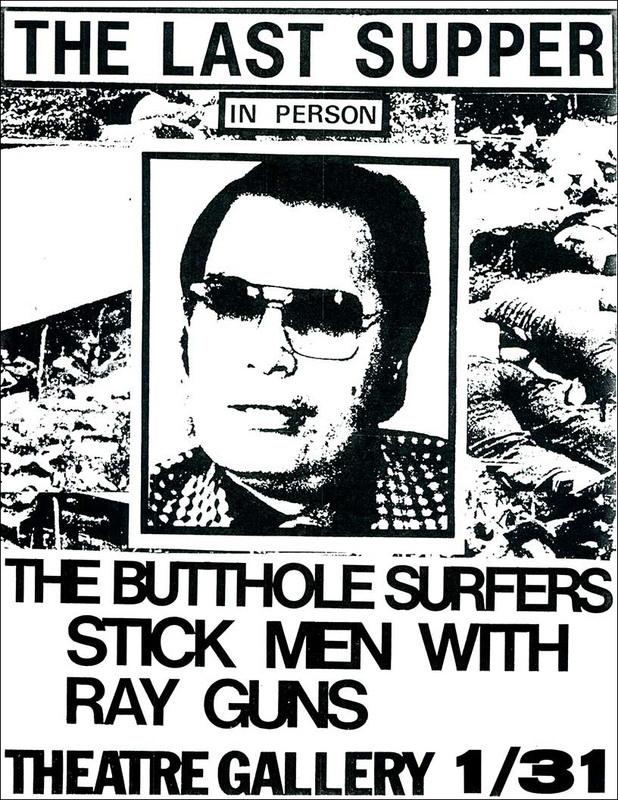 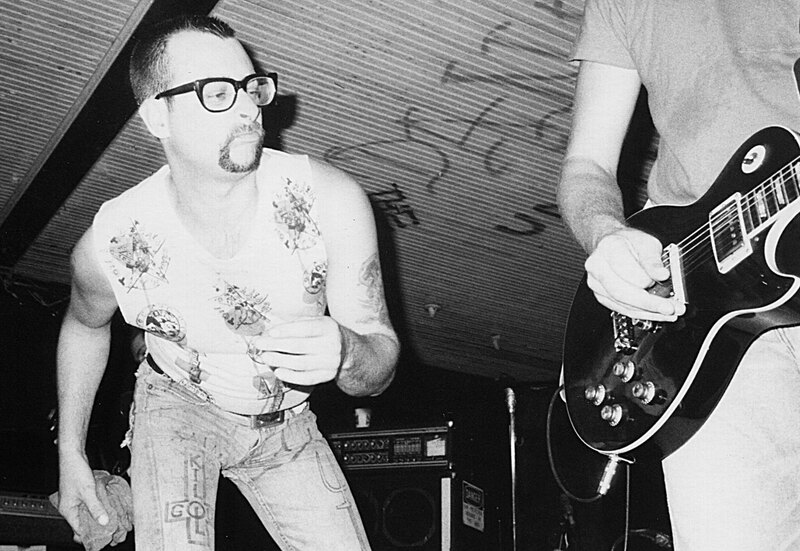 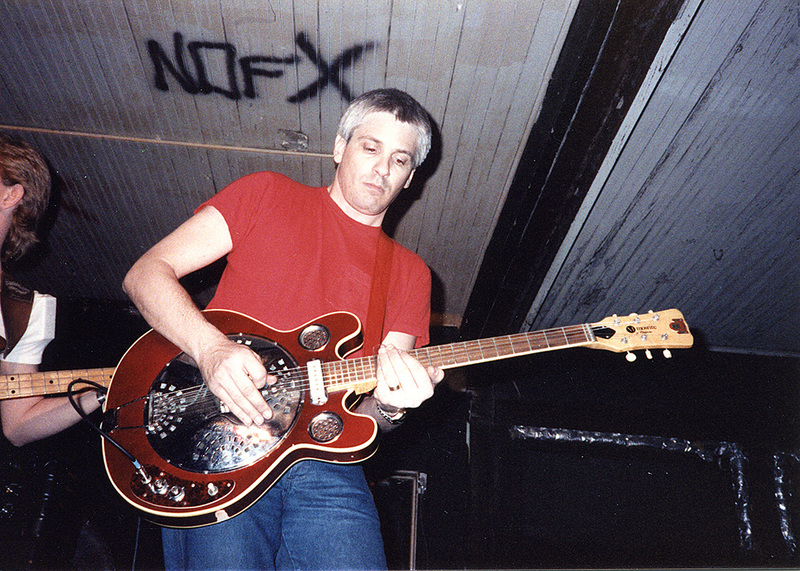 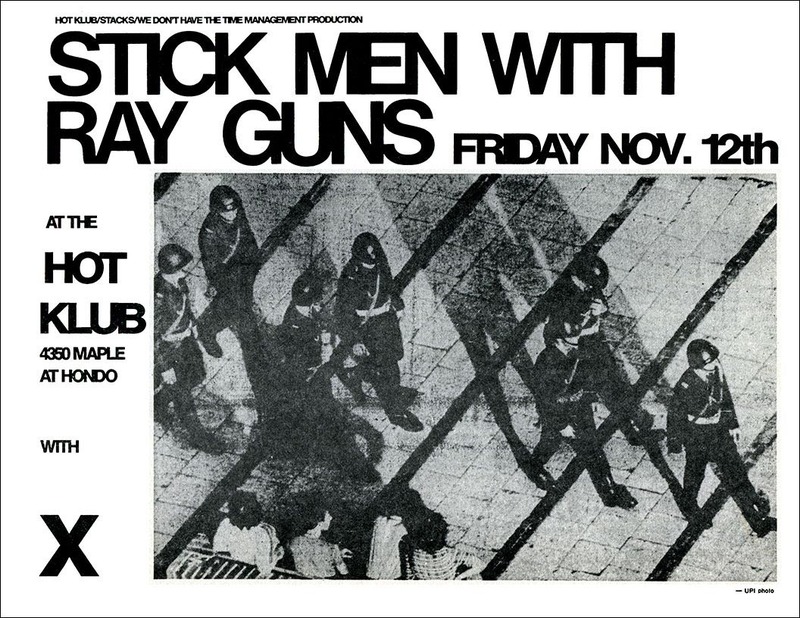 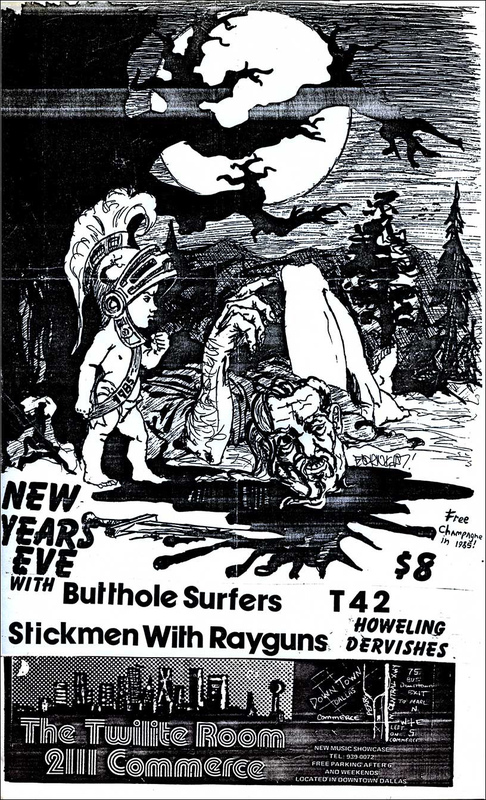 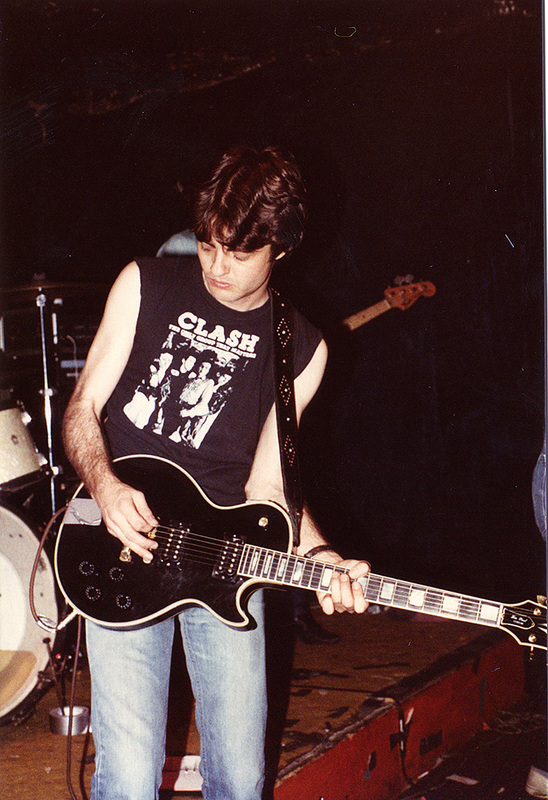 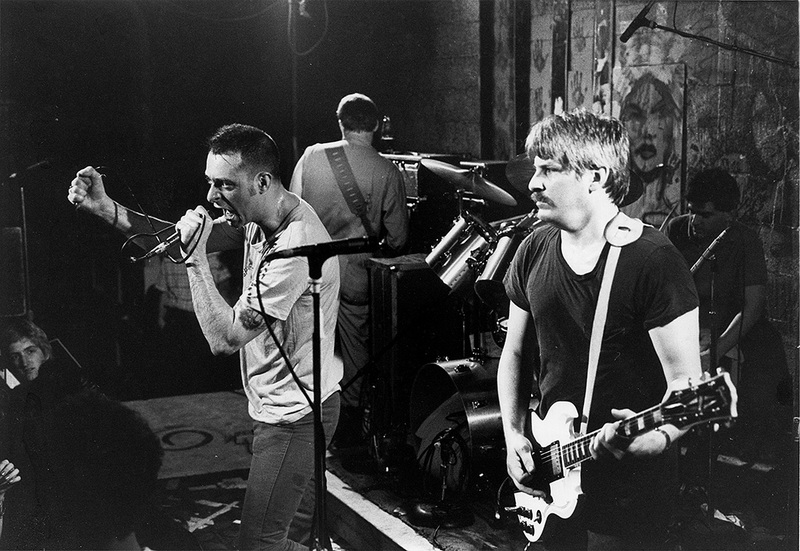 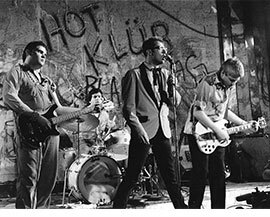 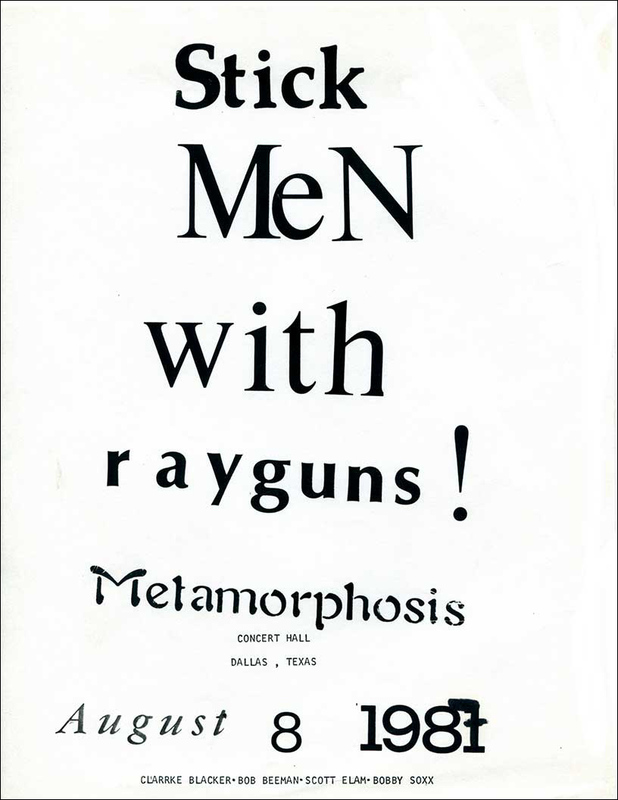 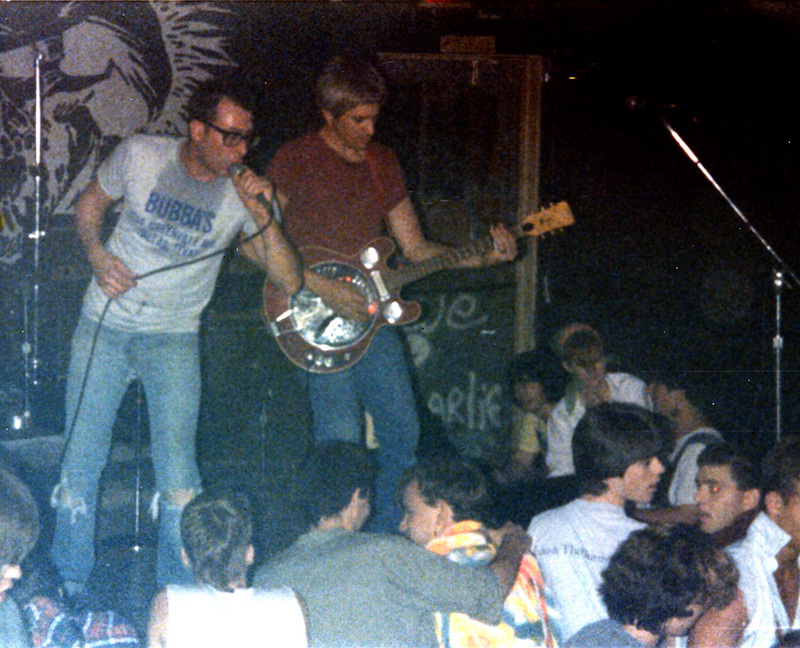 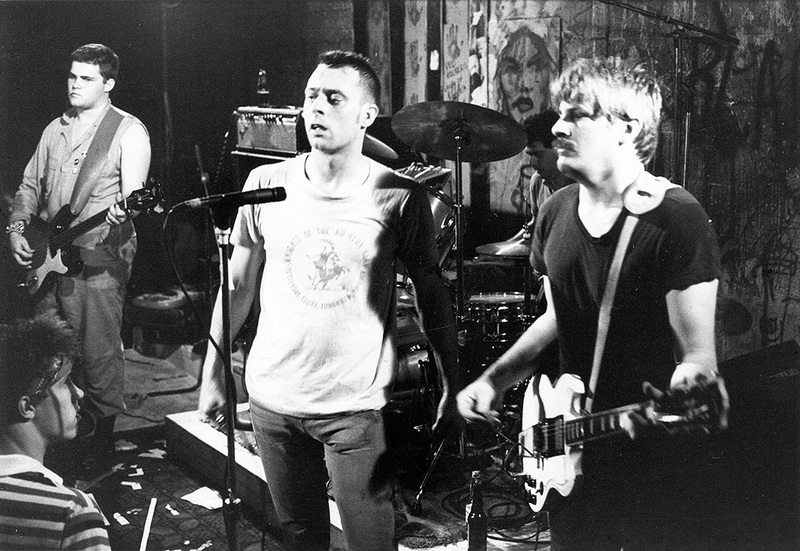 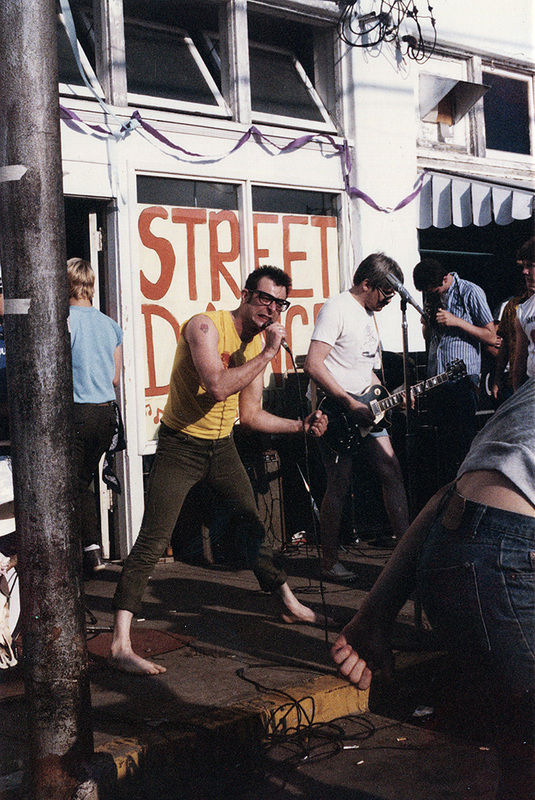 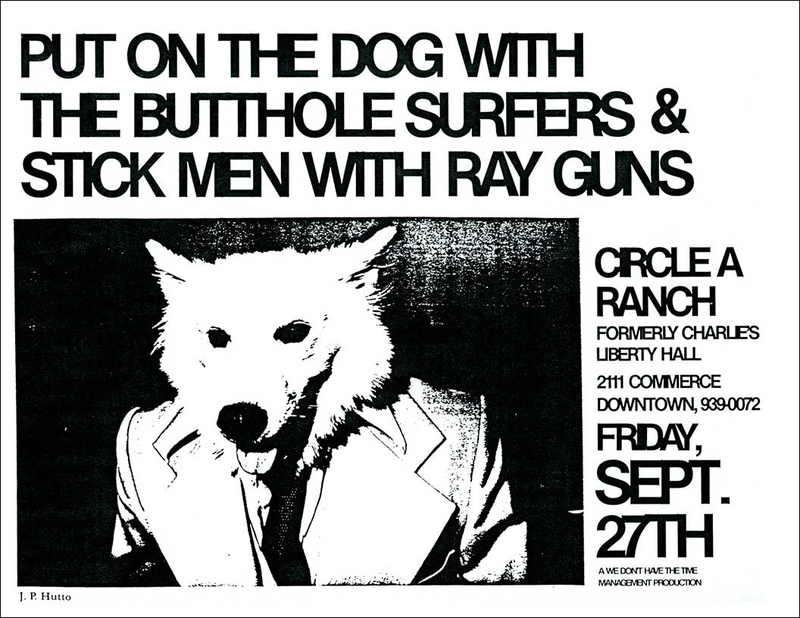 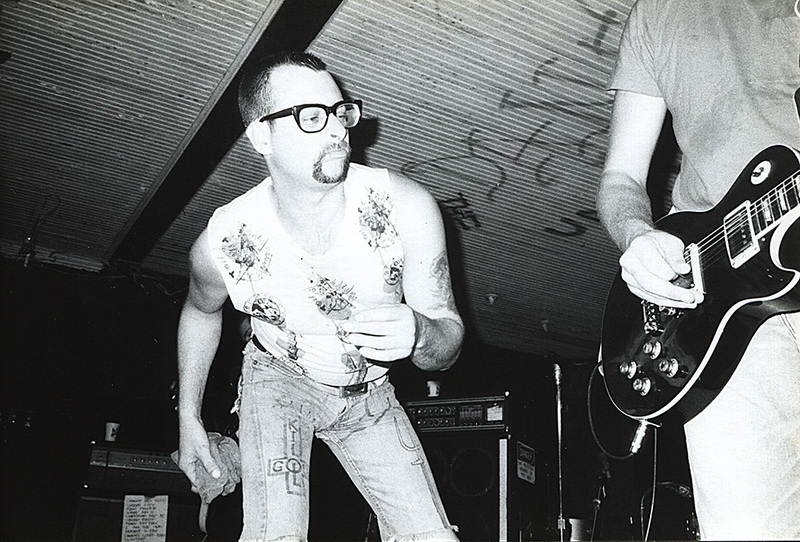 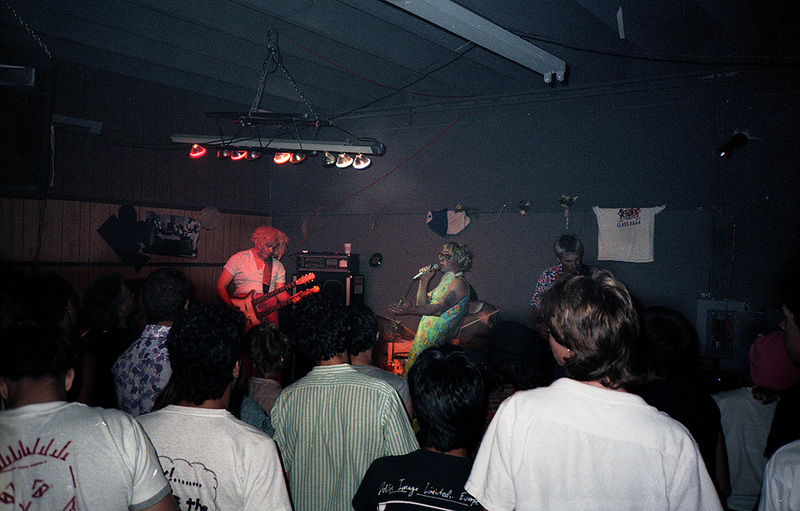 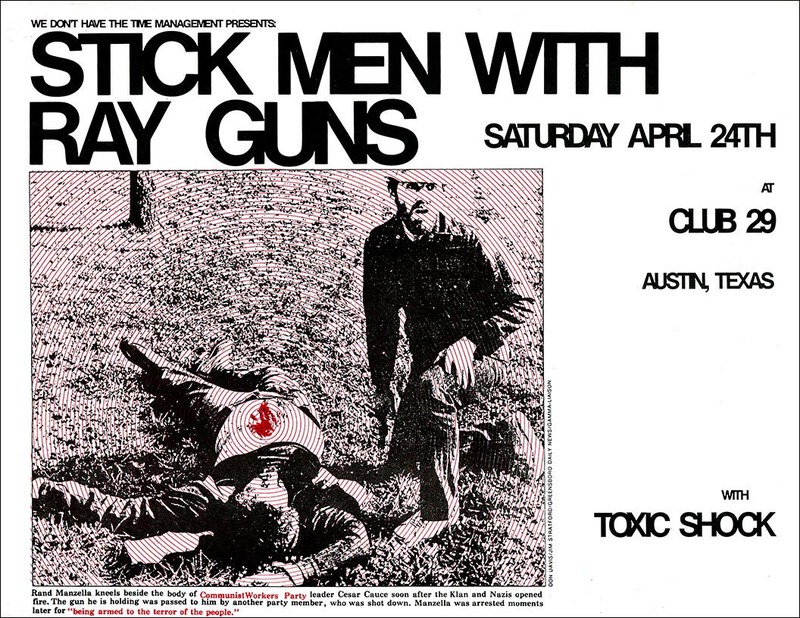 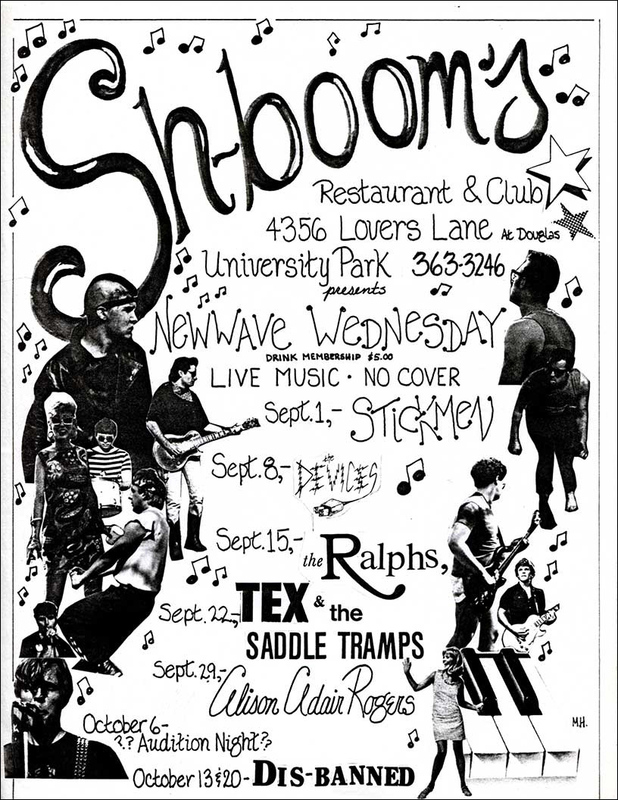 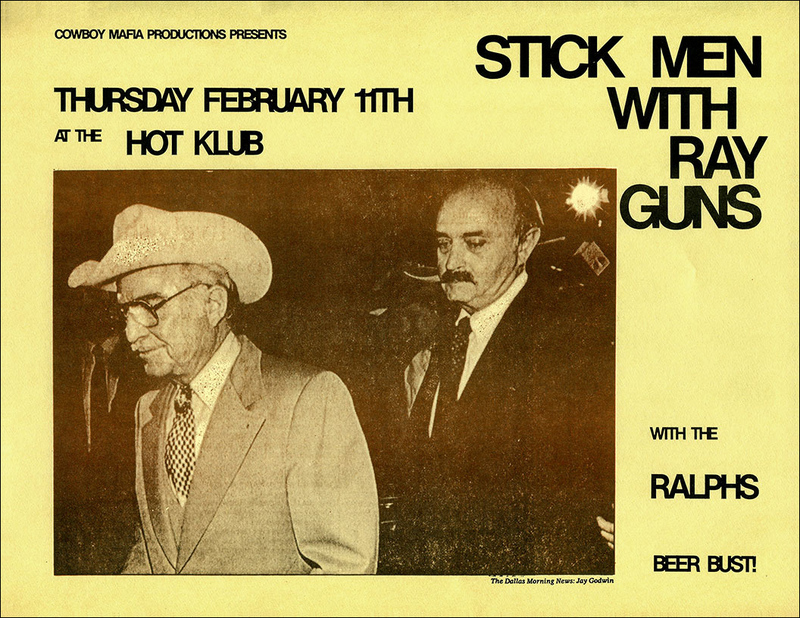 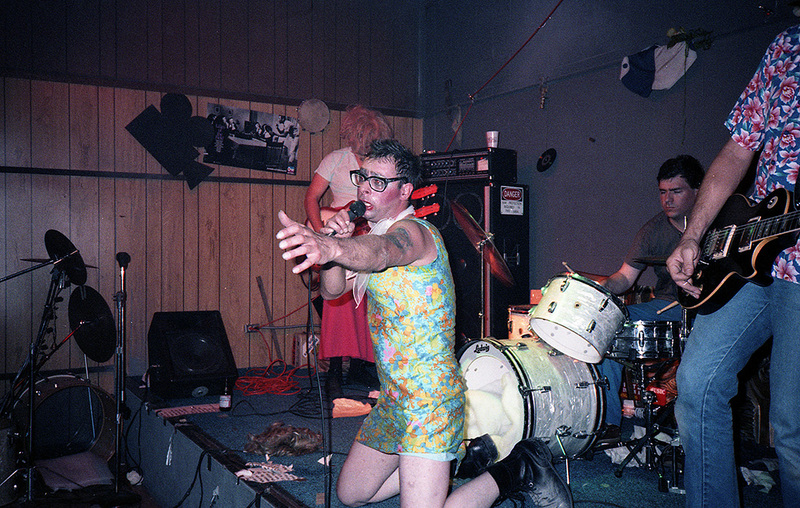 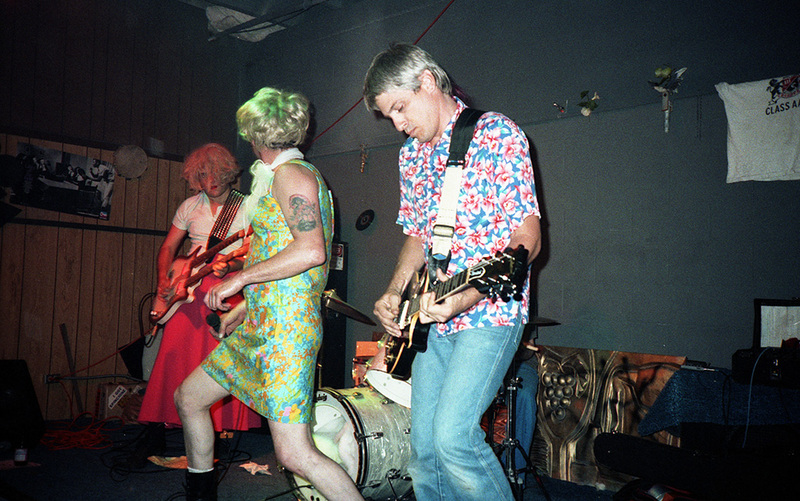 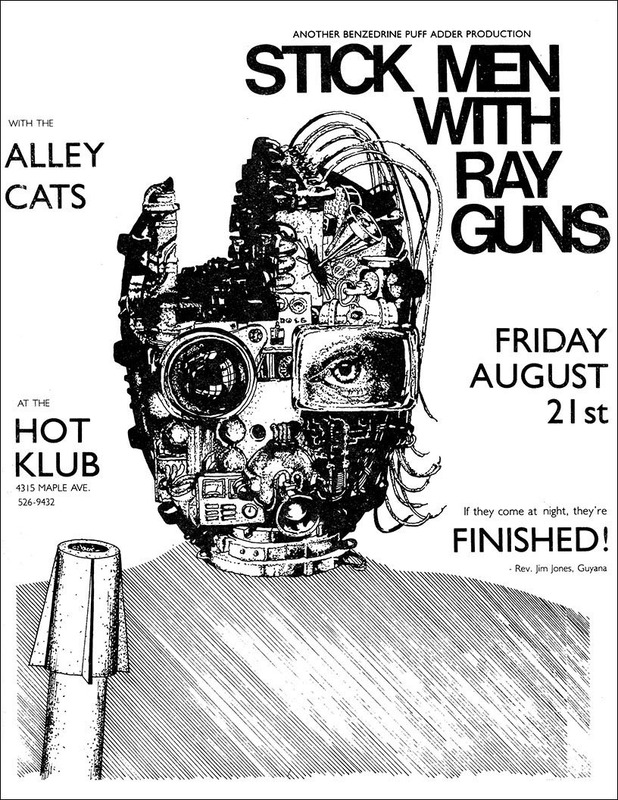 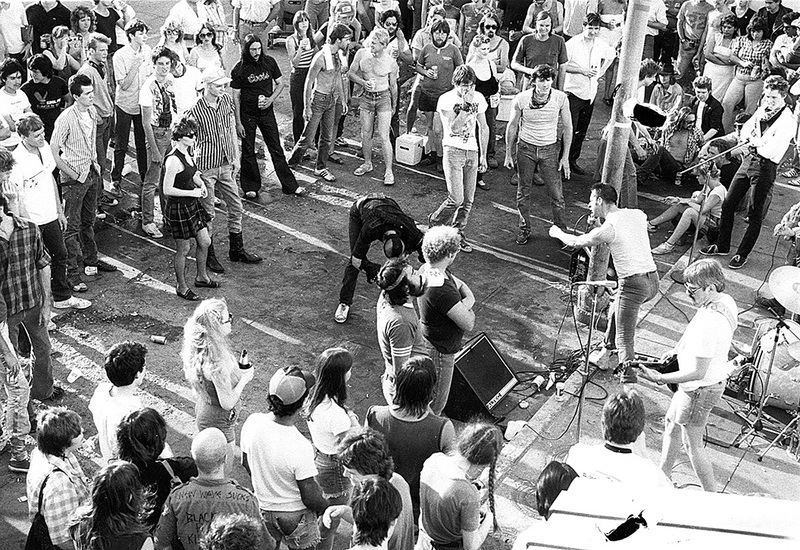 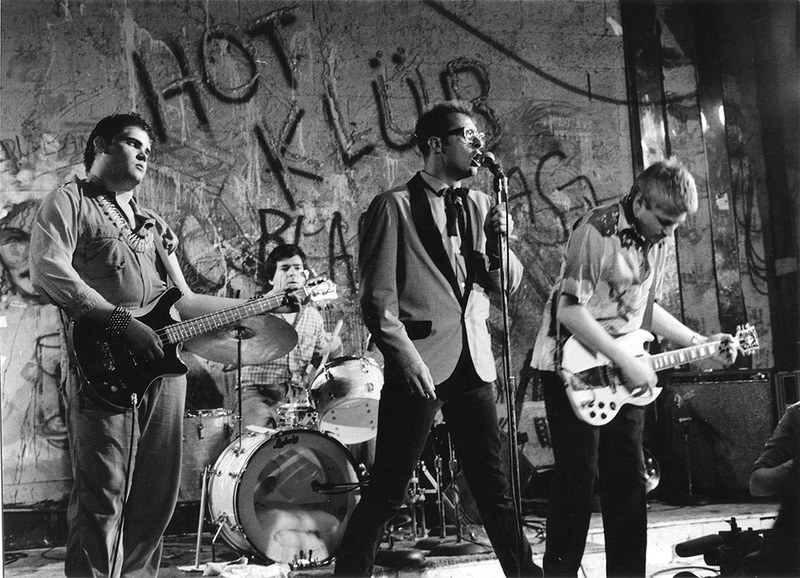 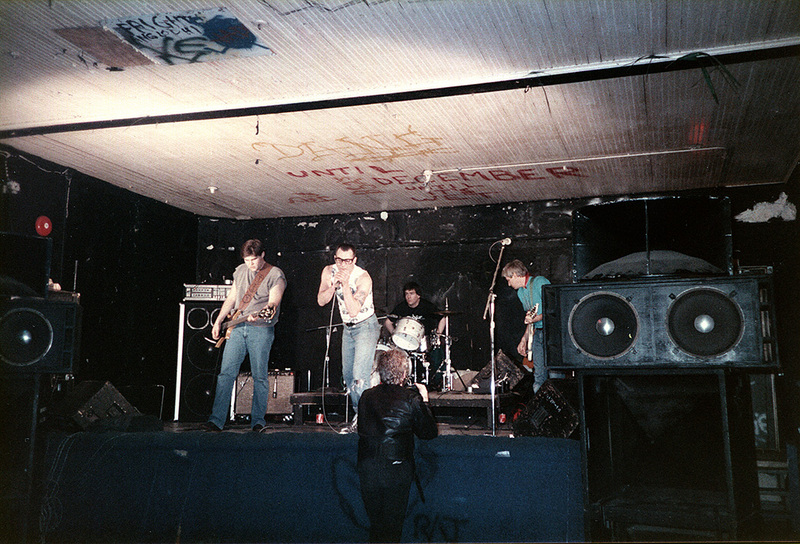 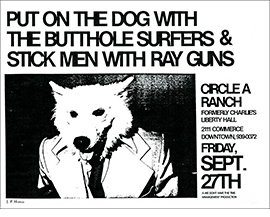 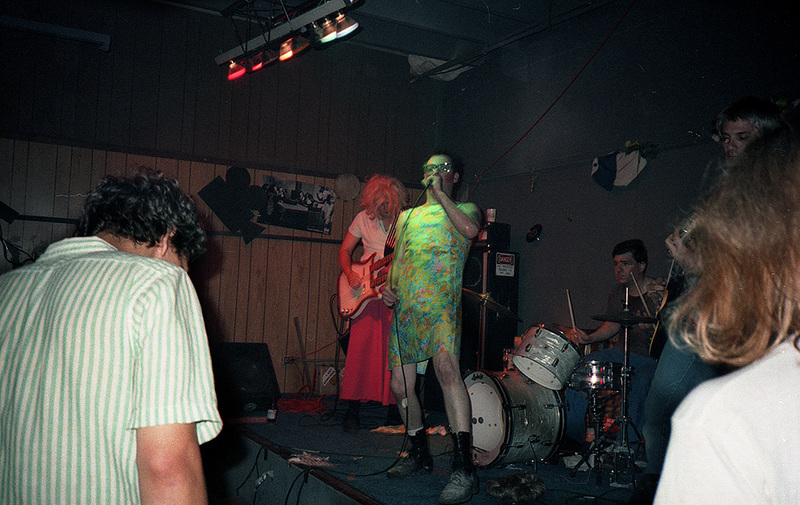 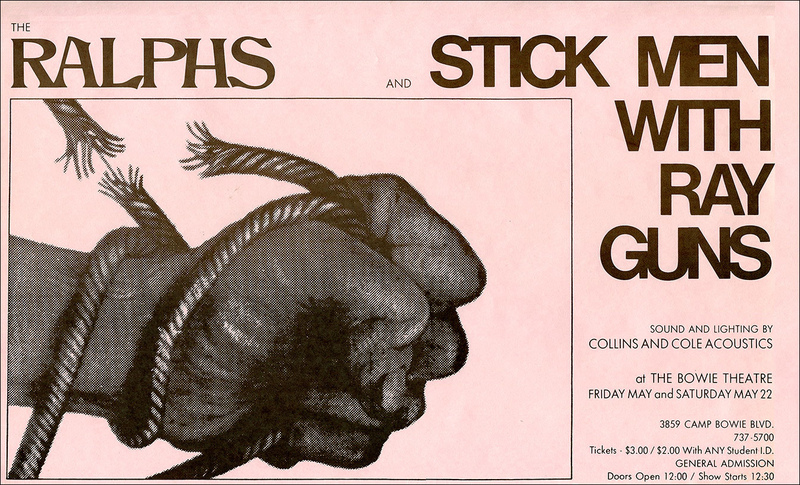 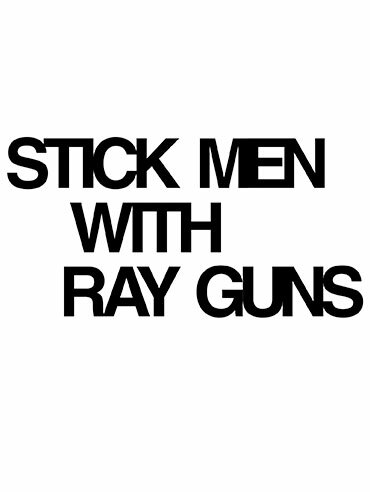 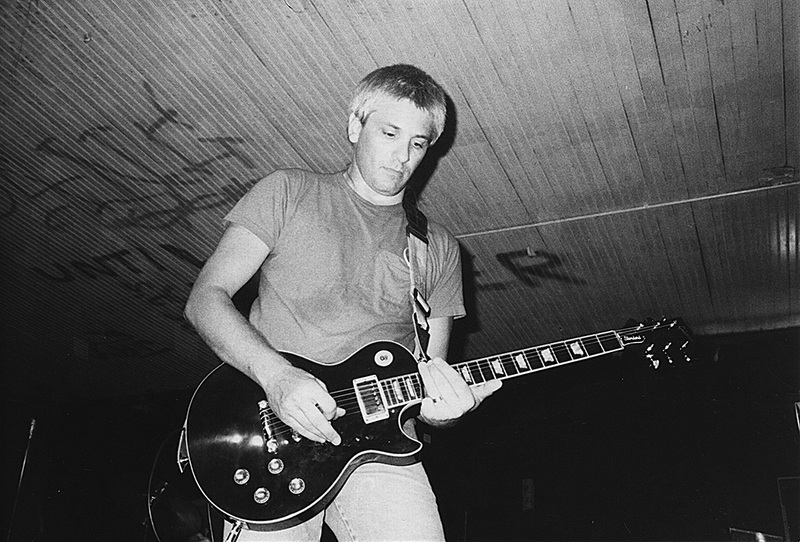 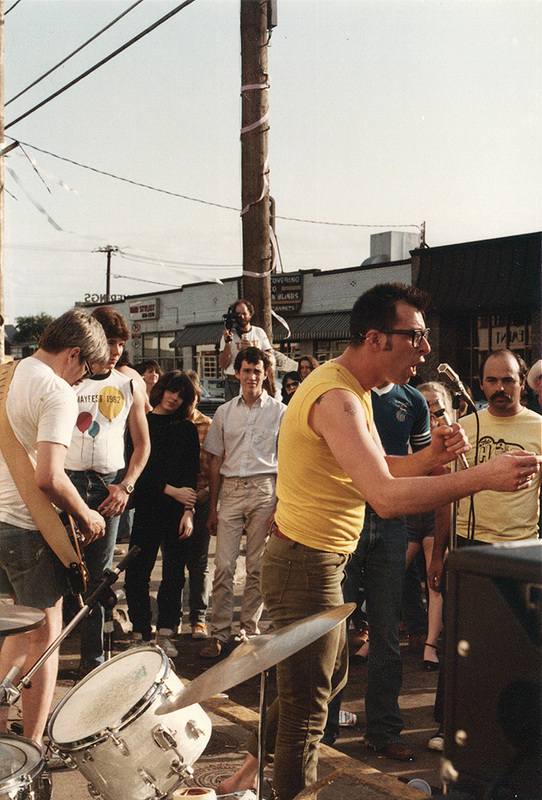 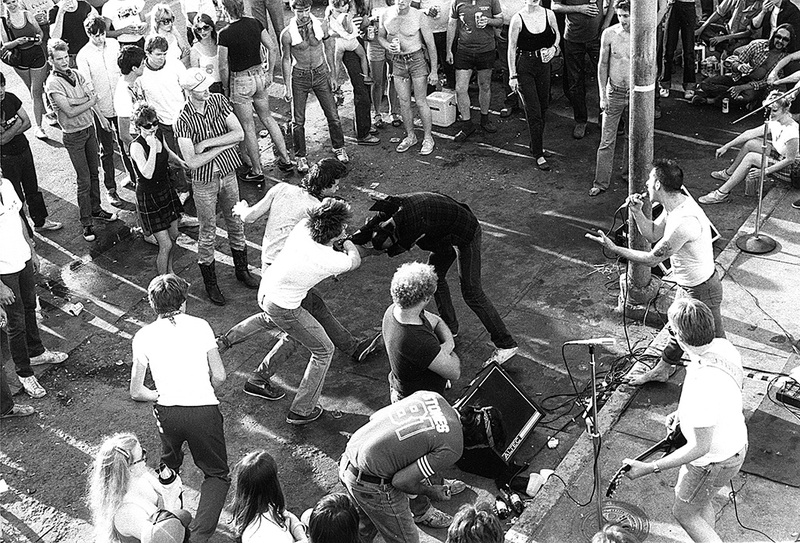 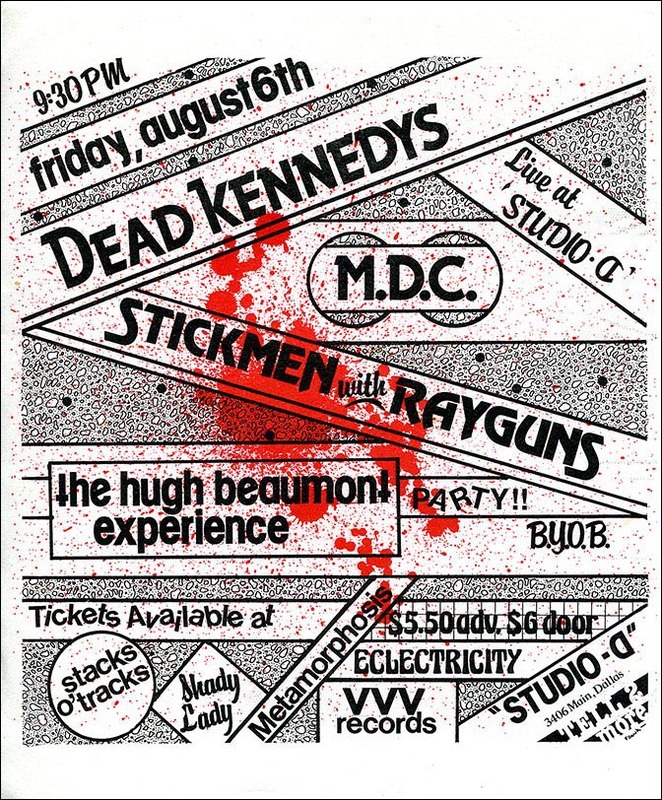 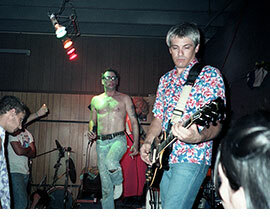 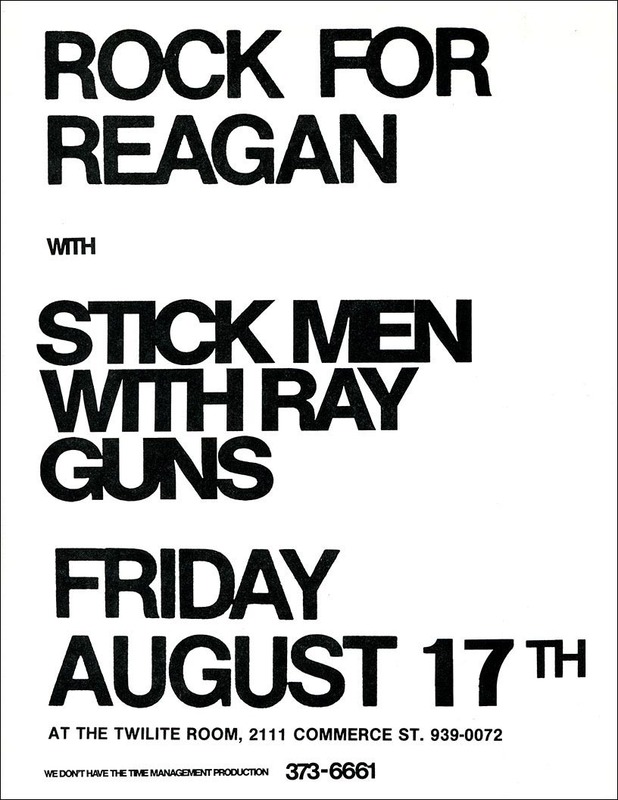 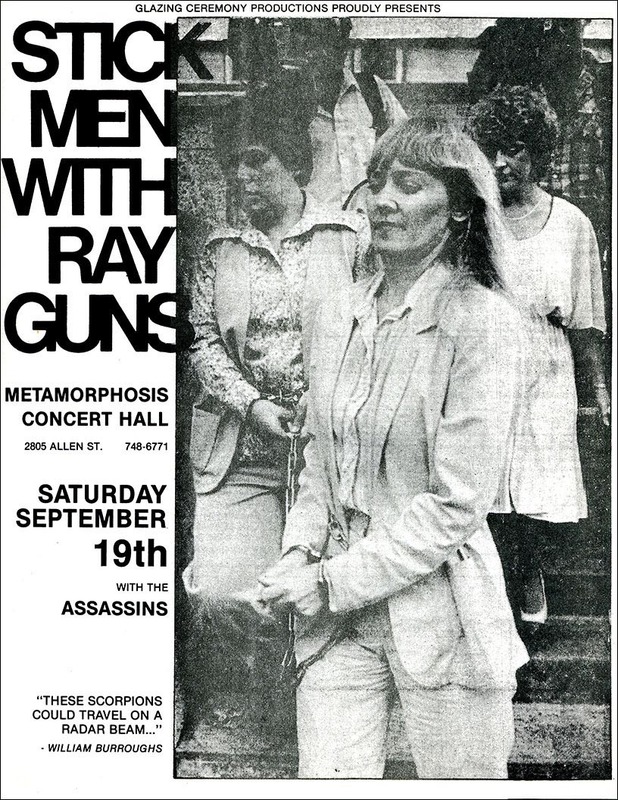 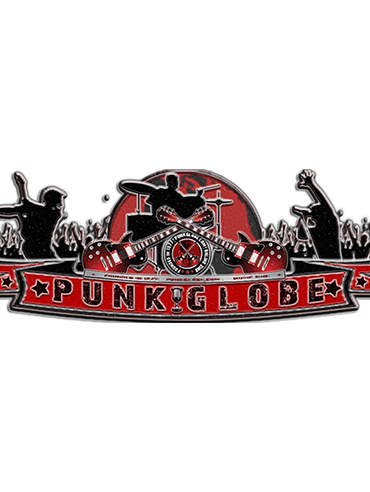 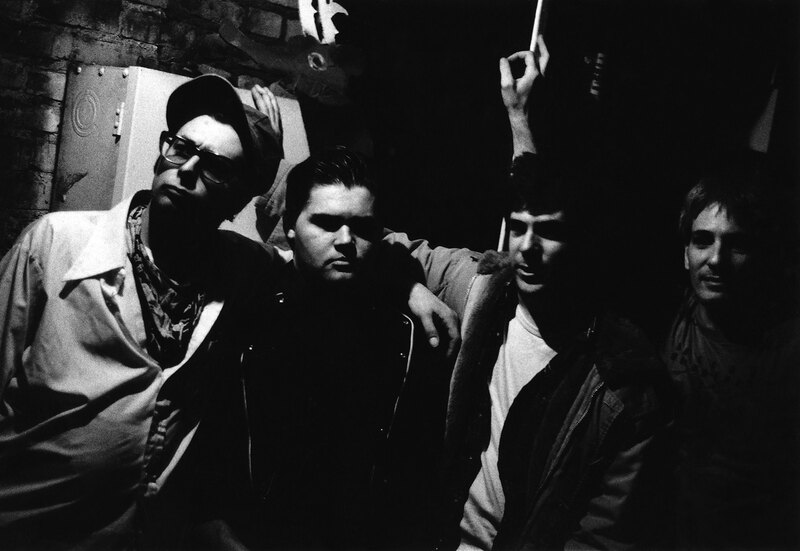 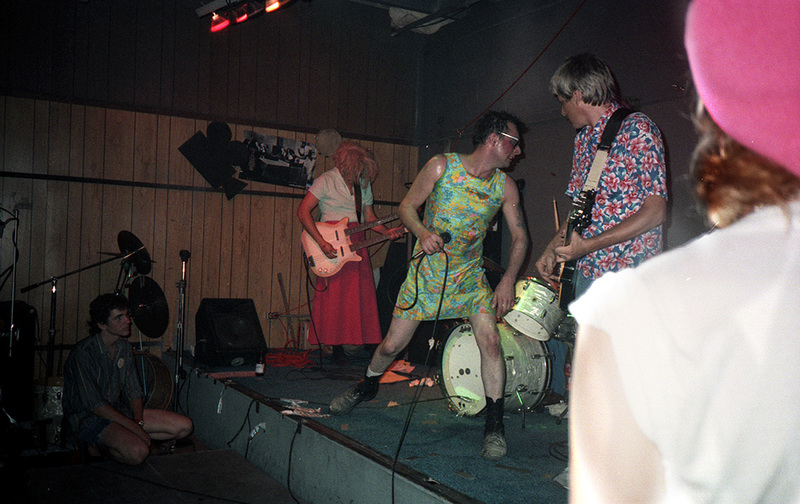 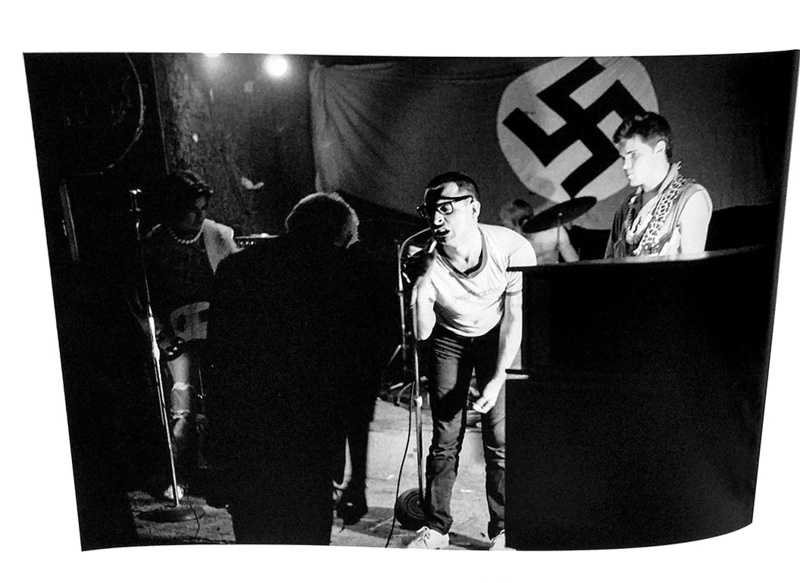 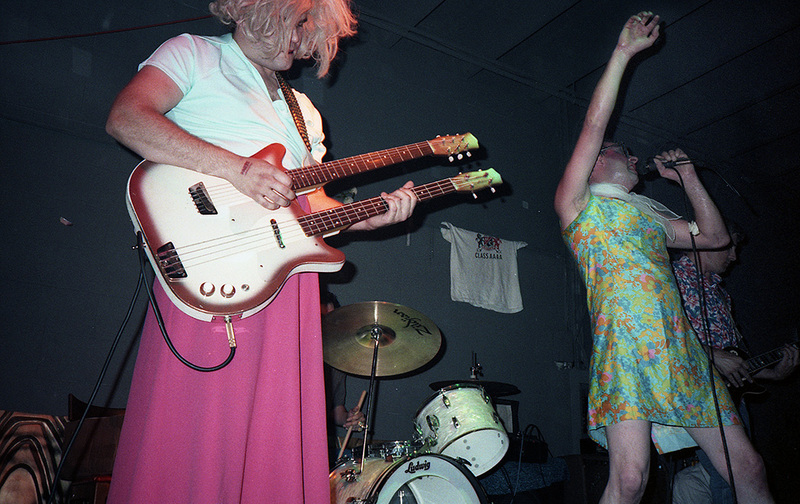 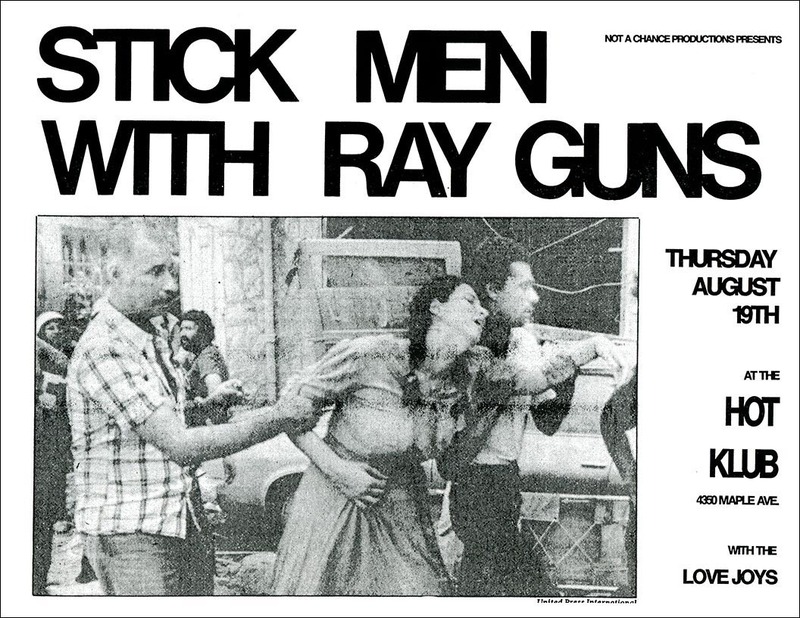 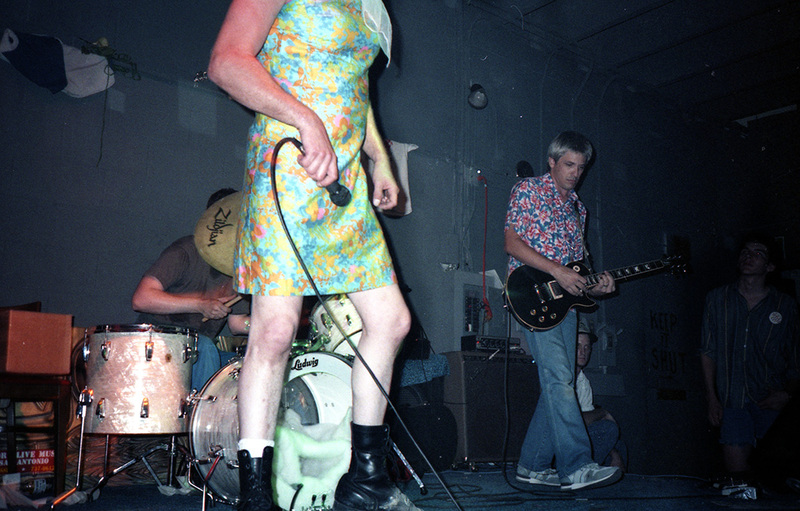 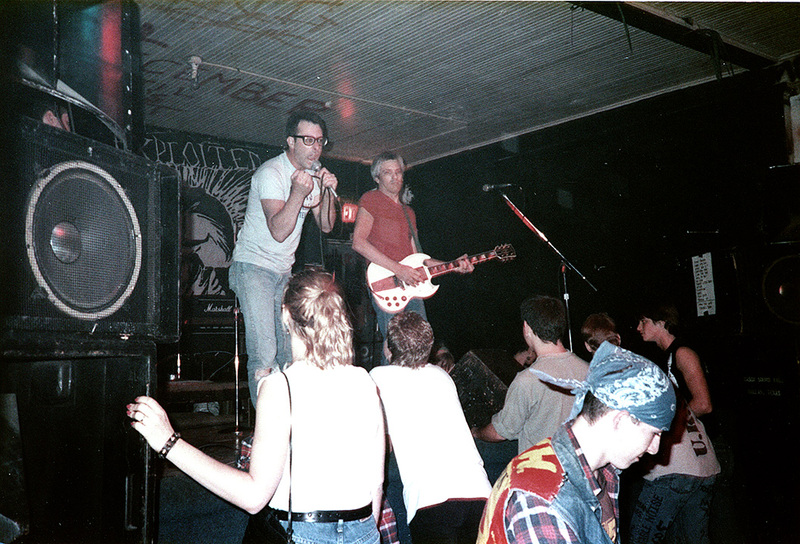 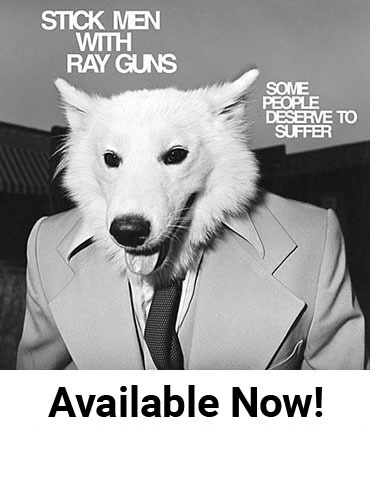 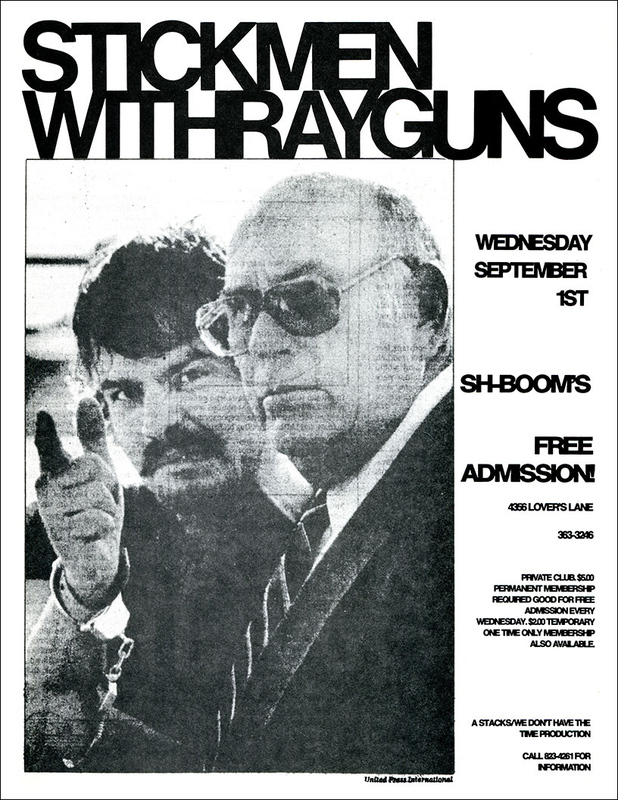 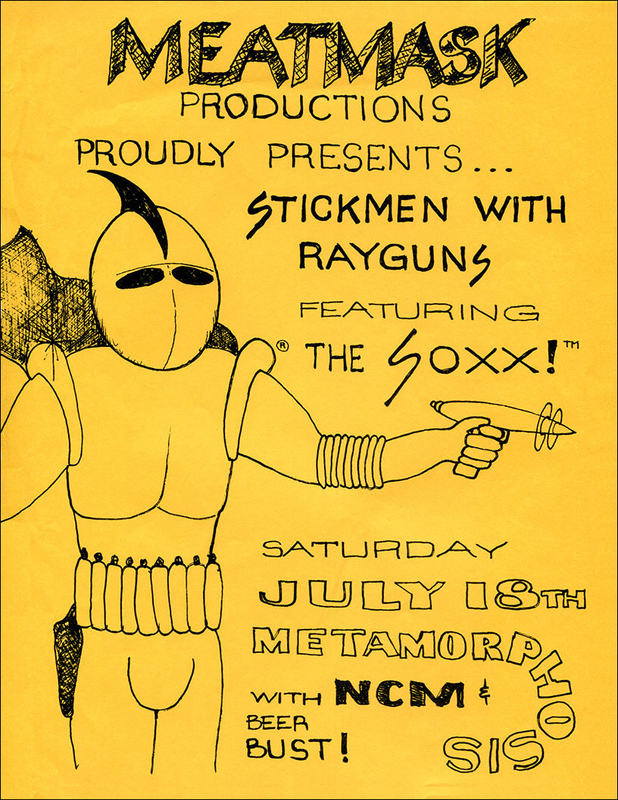 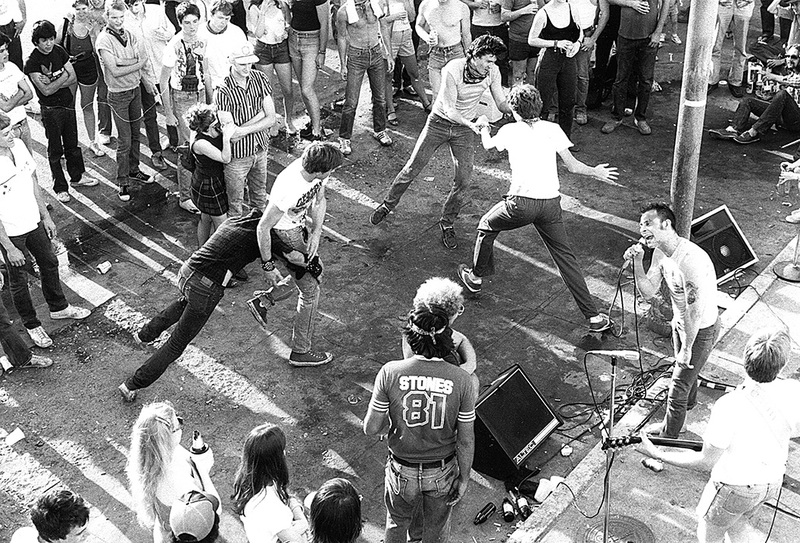 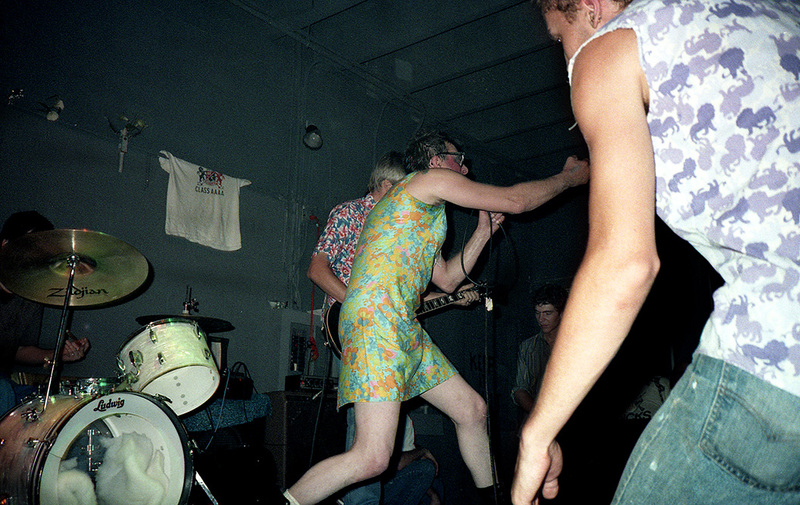 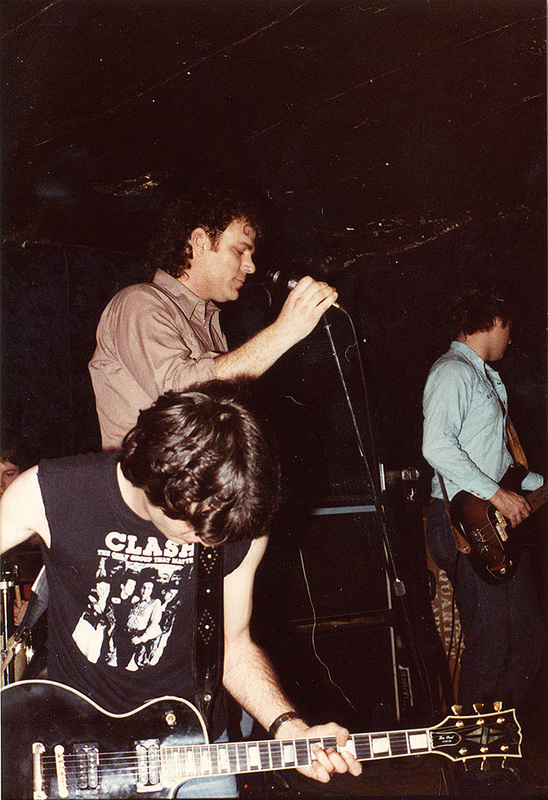 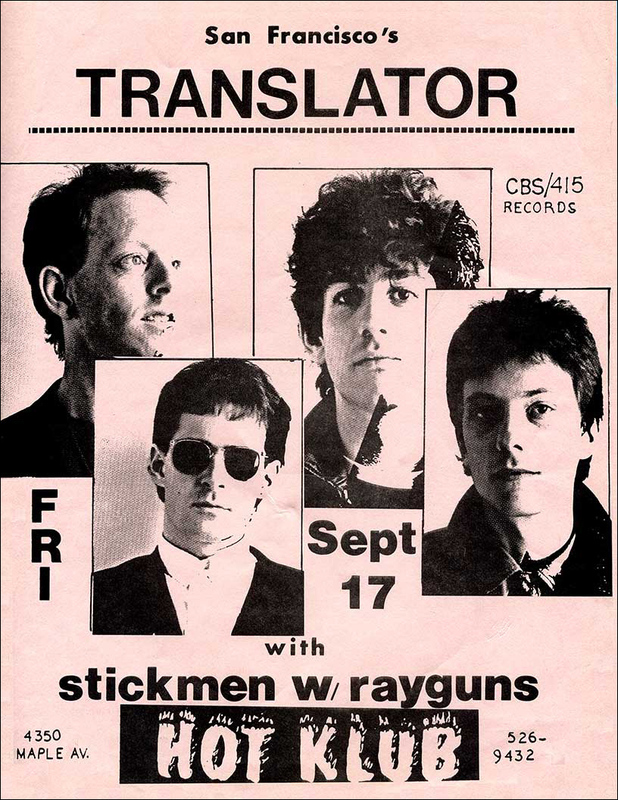 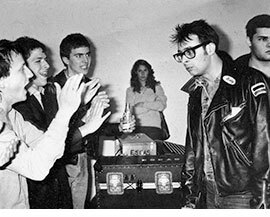 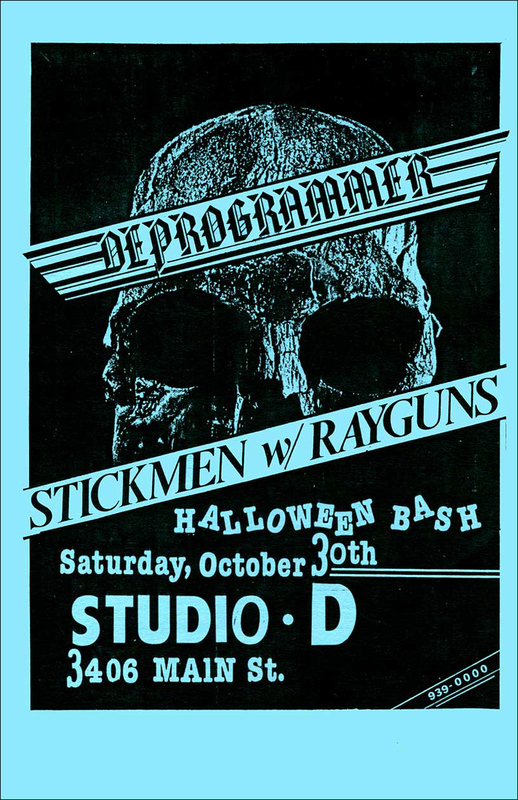 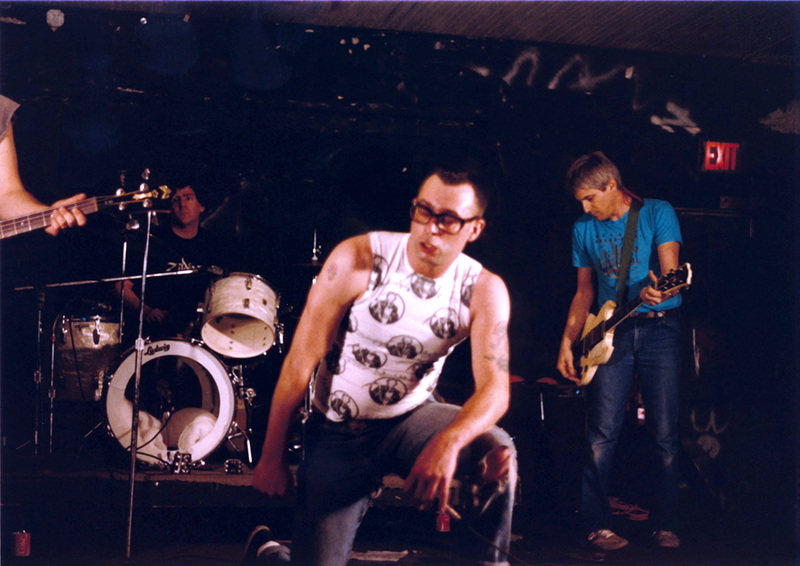 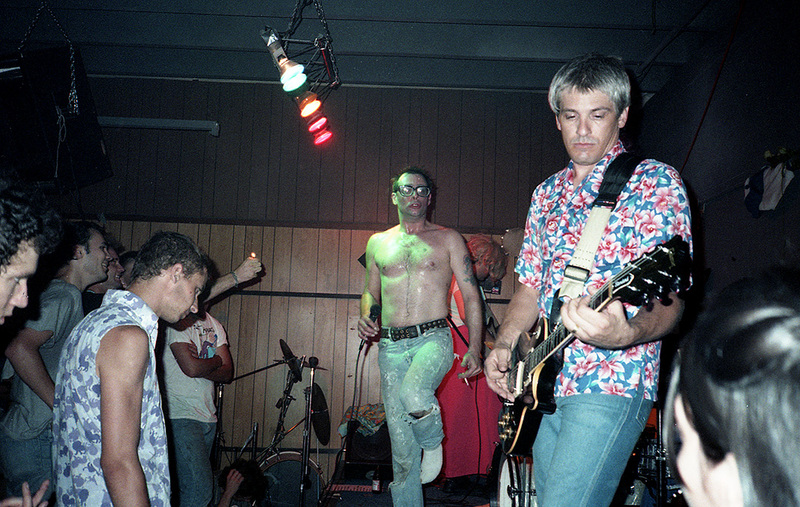 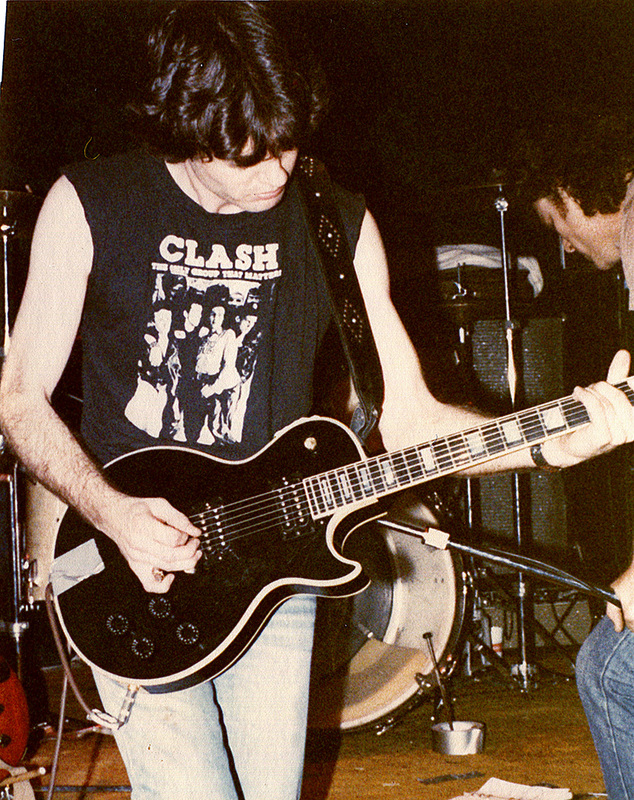 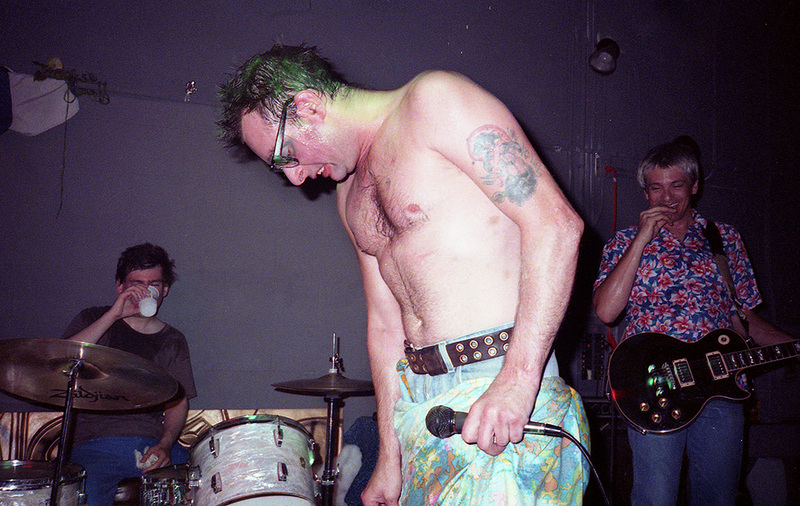 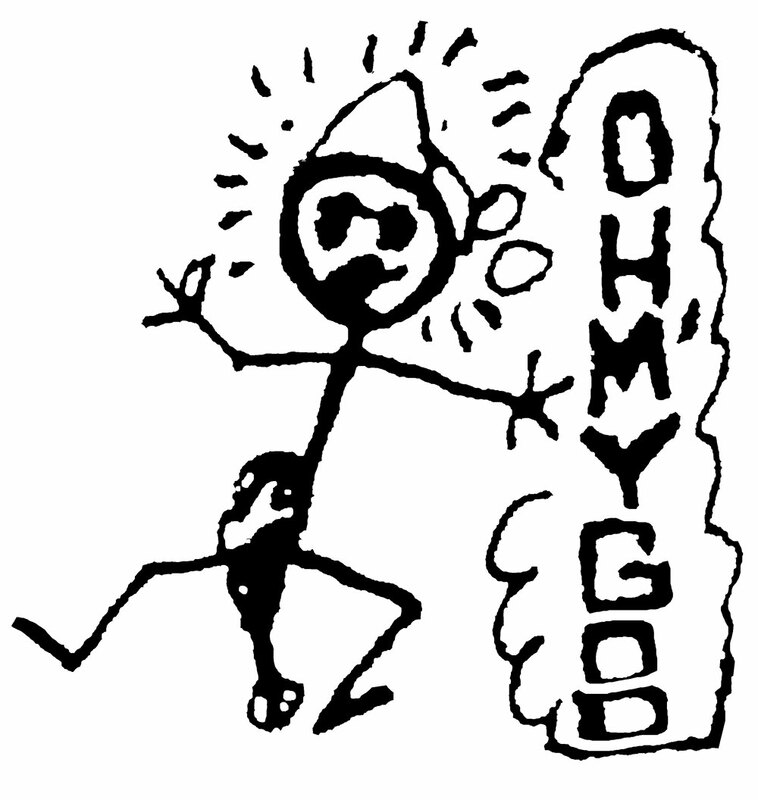 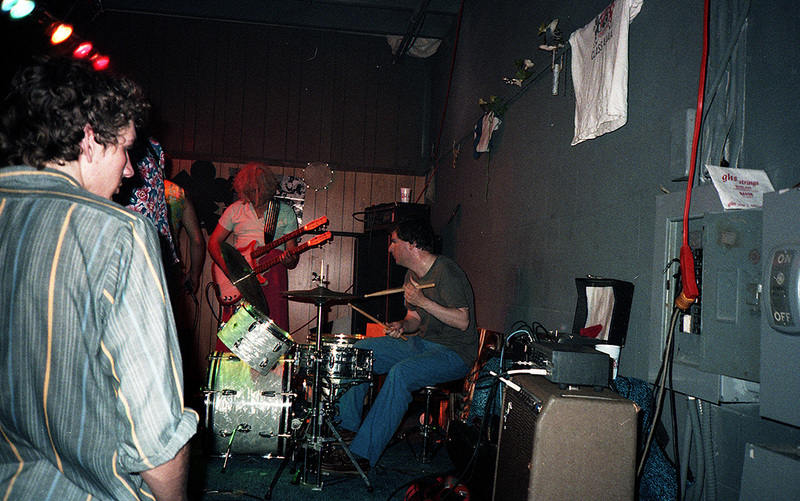 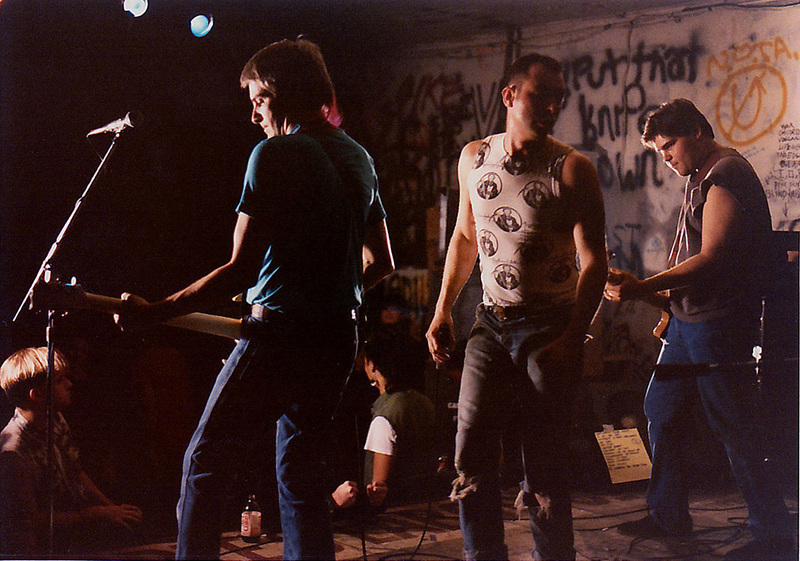 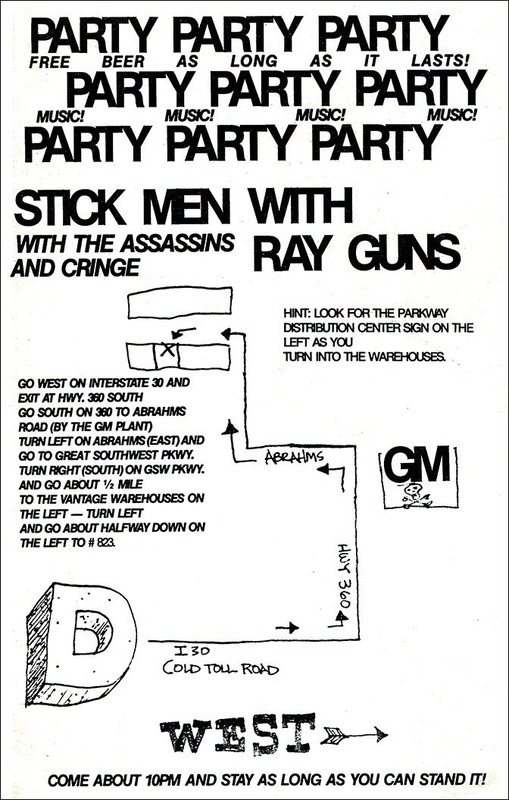 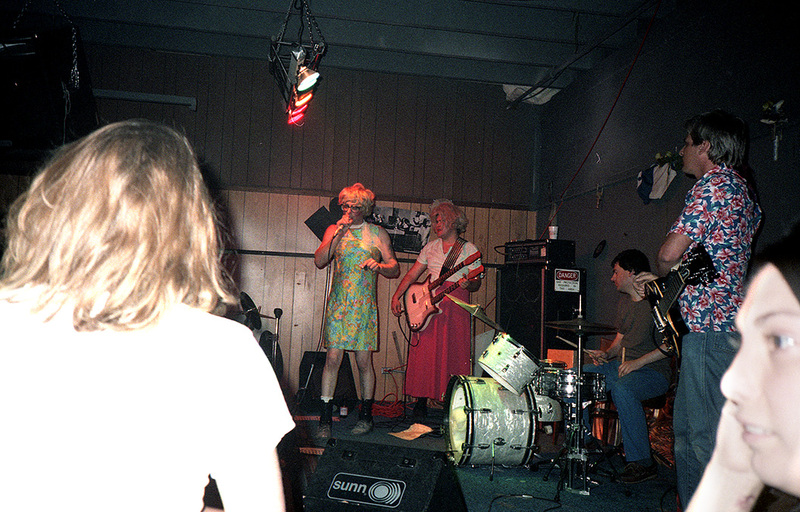 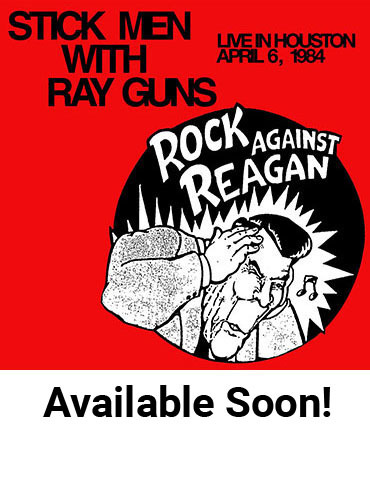 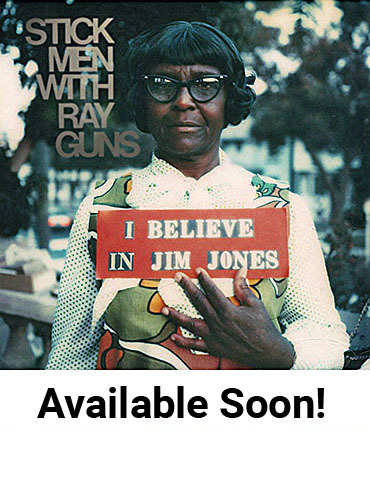 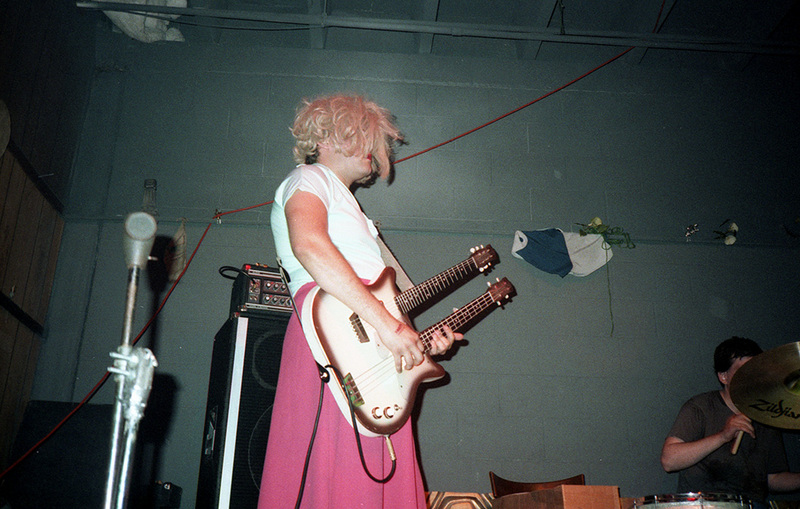 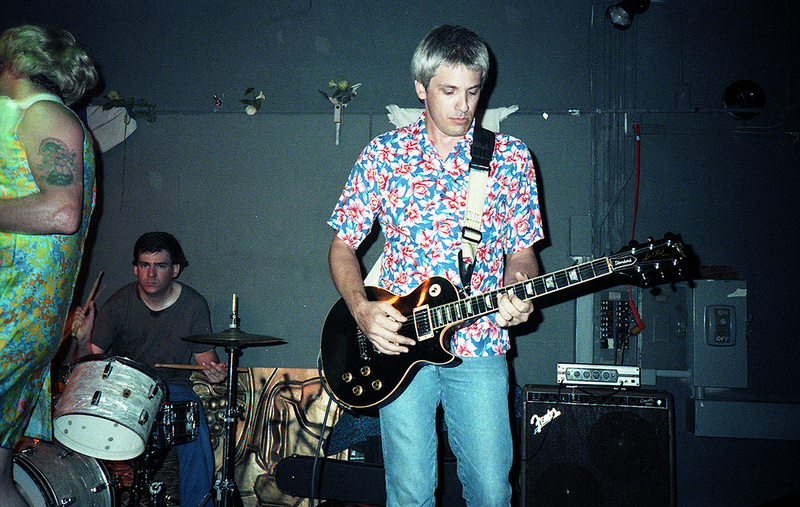 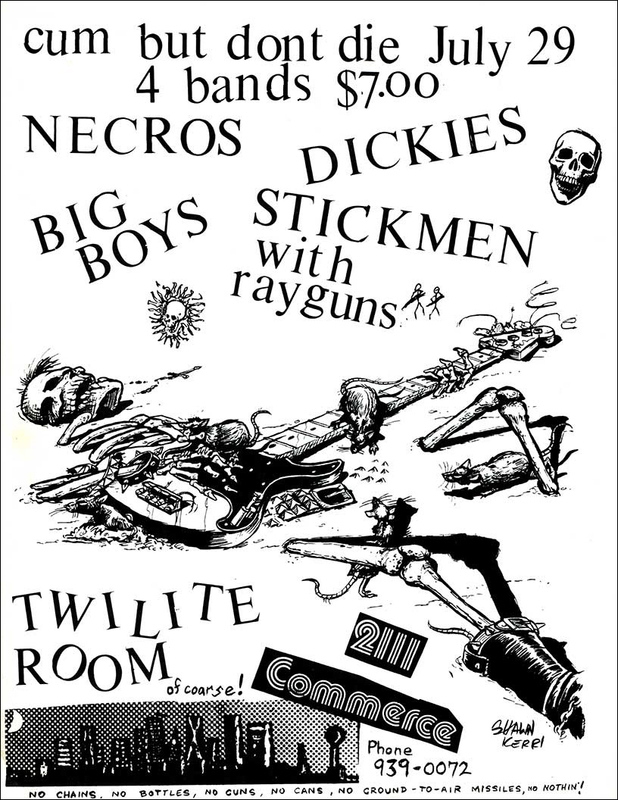 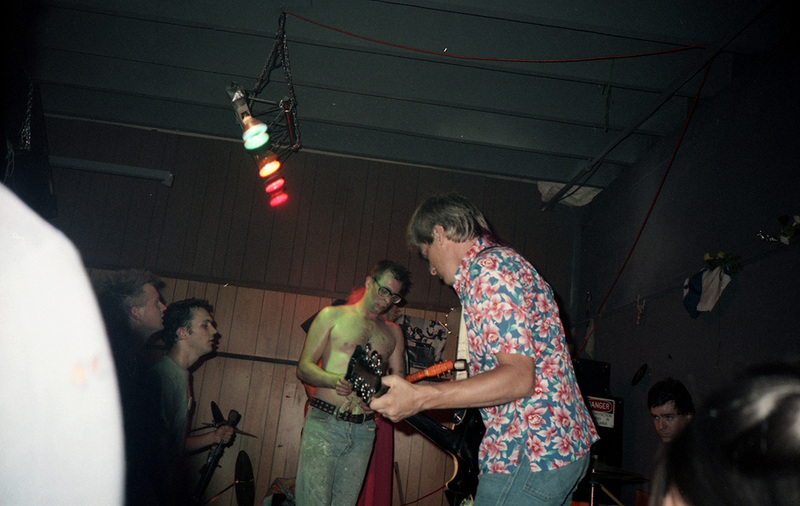 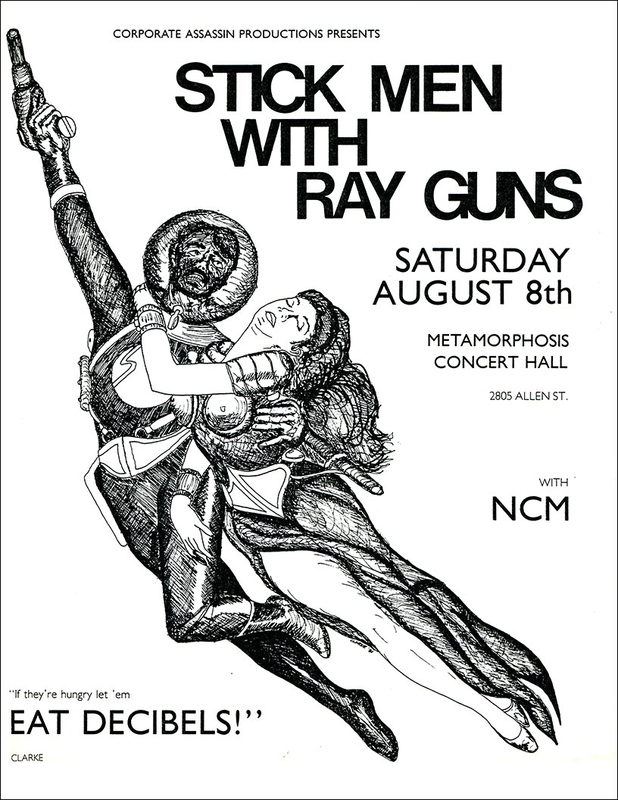 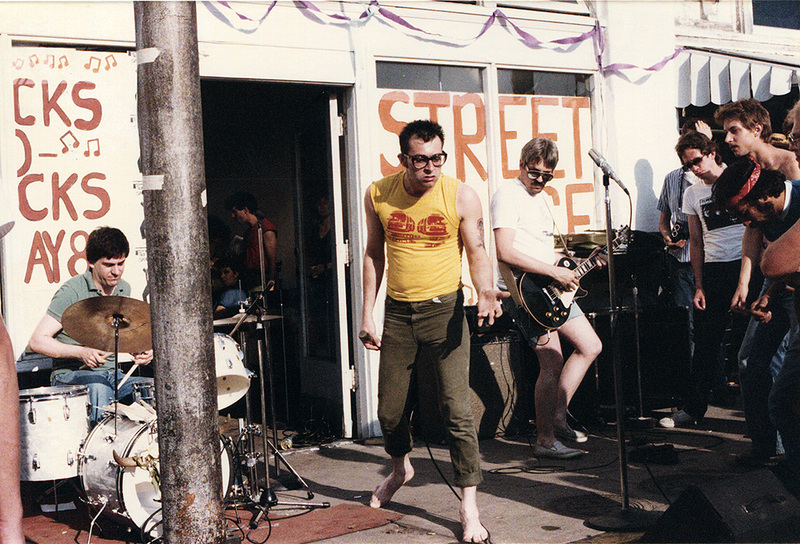 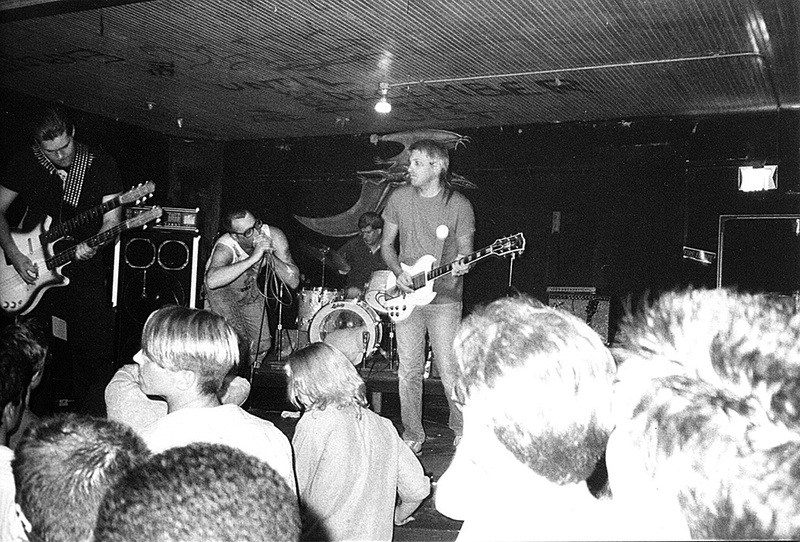 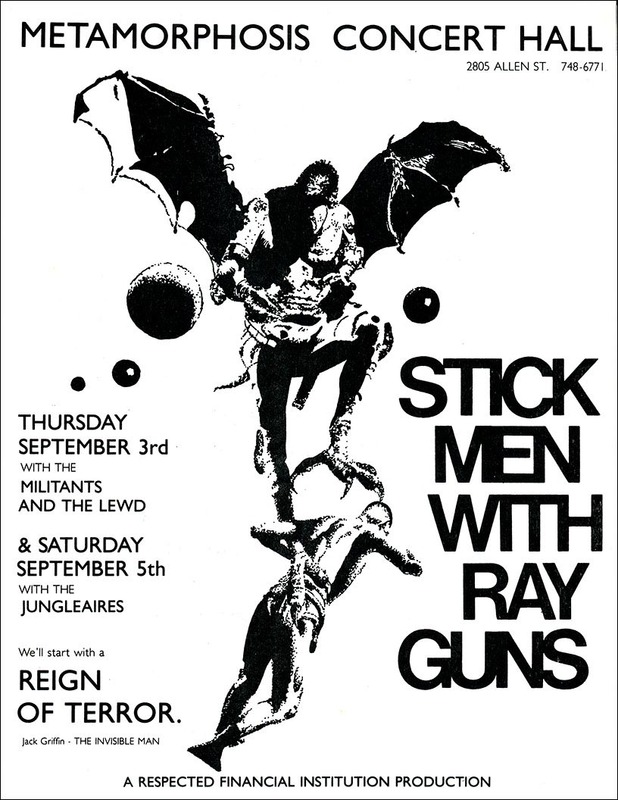 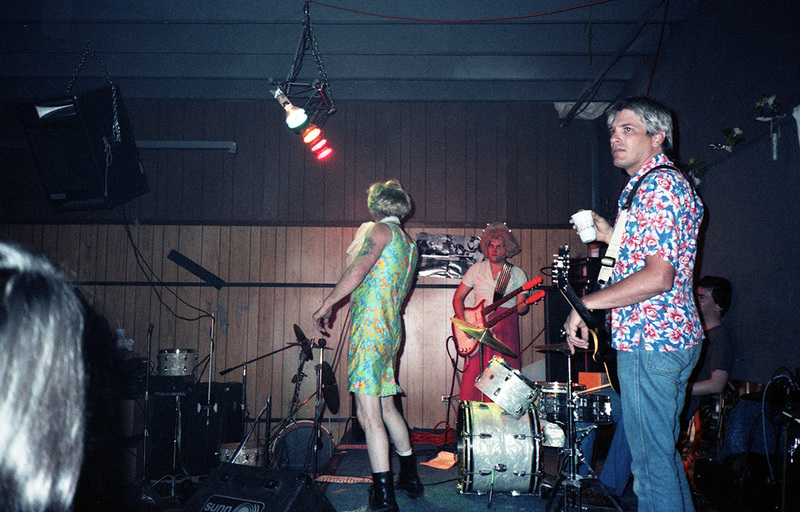 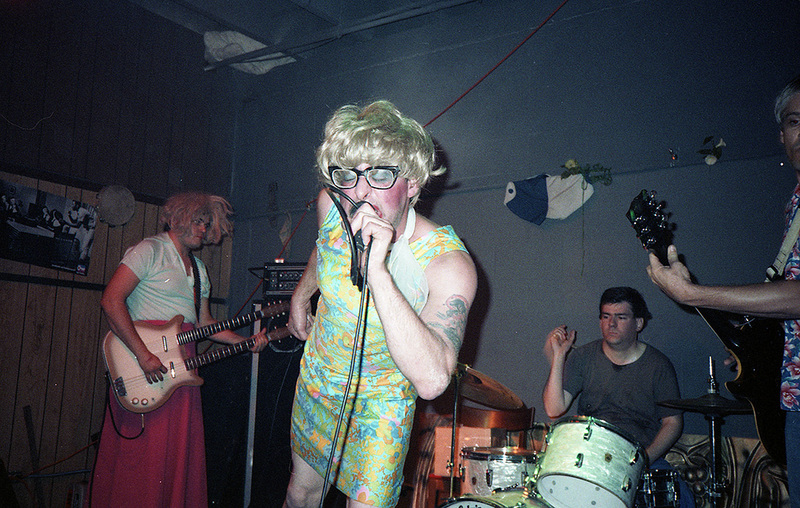 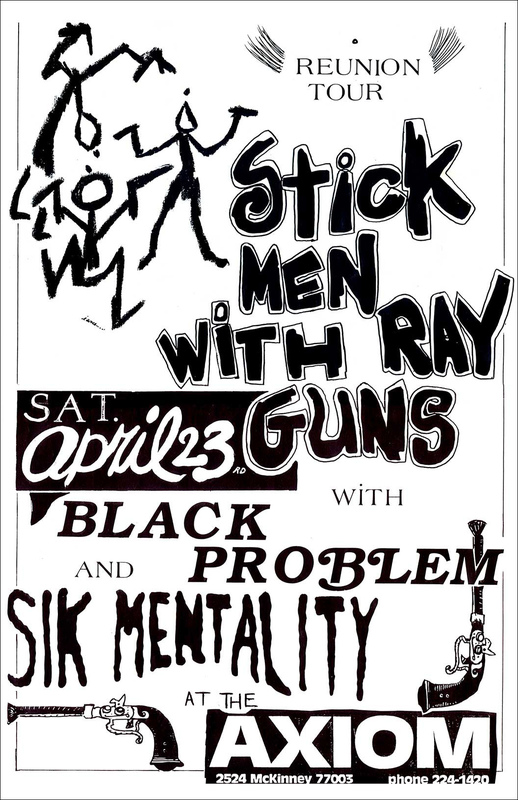 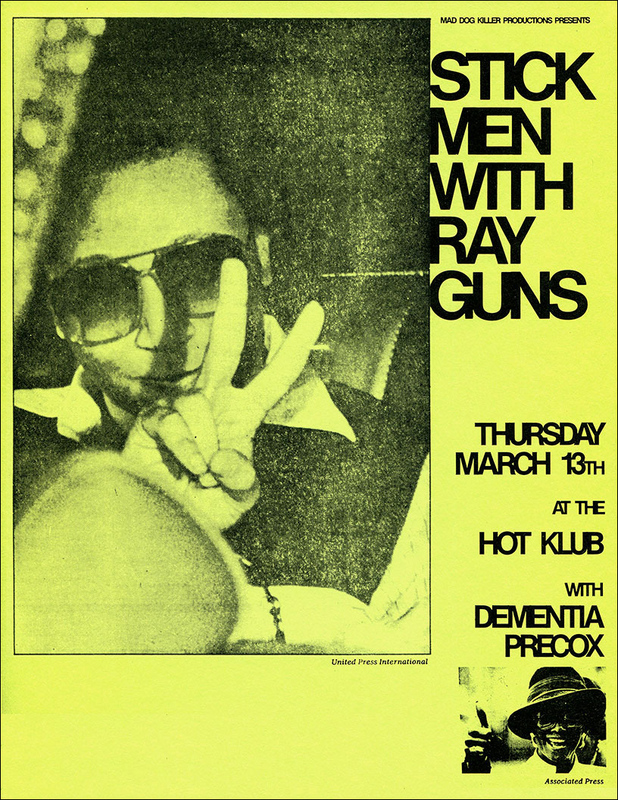 Stick Men With Ray Guns (SMWRG) formed in Dallas, Texas, in the spring of 1981 with Clarke Blacker on guitar (ex-Nervebreakers & Bag of Wire), Bobby Soxx on vocals (ex-Teenage Queers & the Enemy) and Ft. Worth drummer Scott Elam. 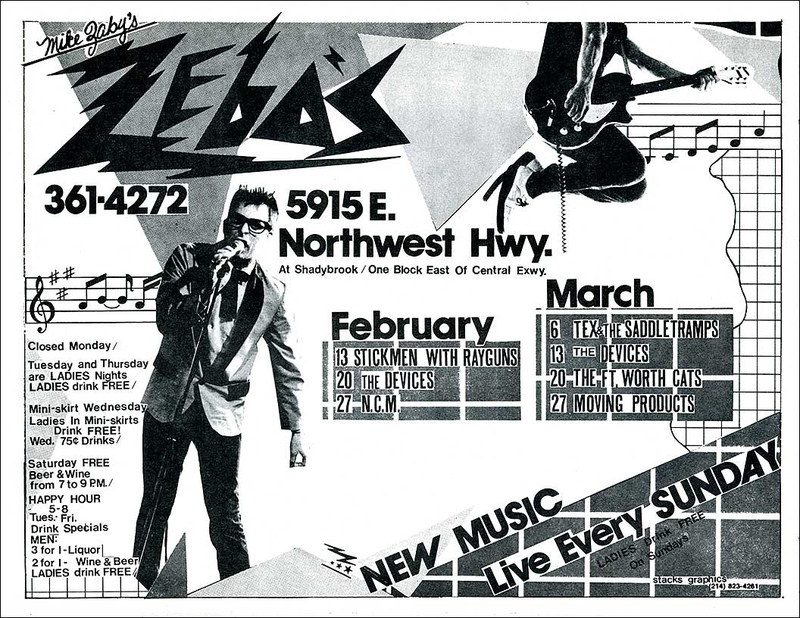 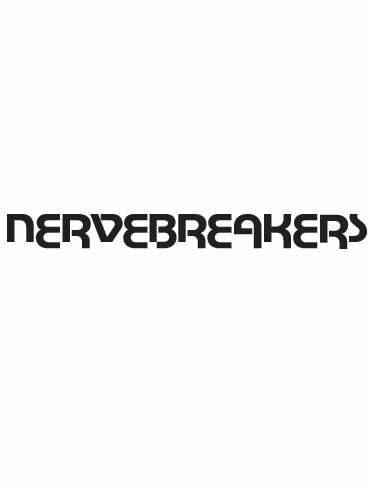 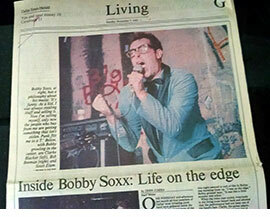 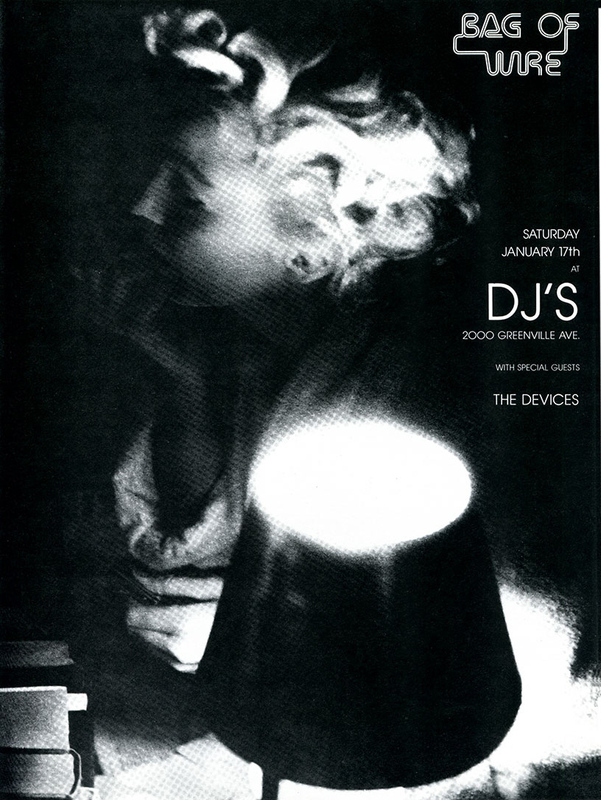 We were active through January, 1987 when we took a break to work on other things. 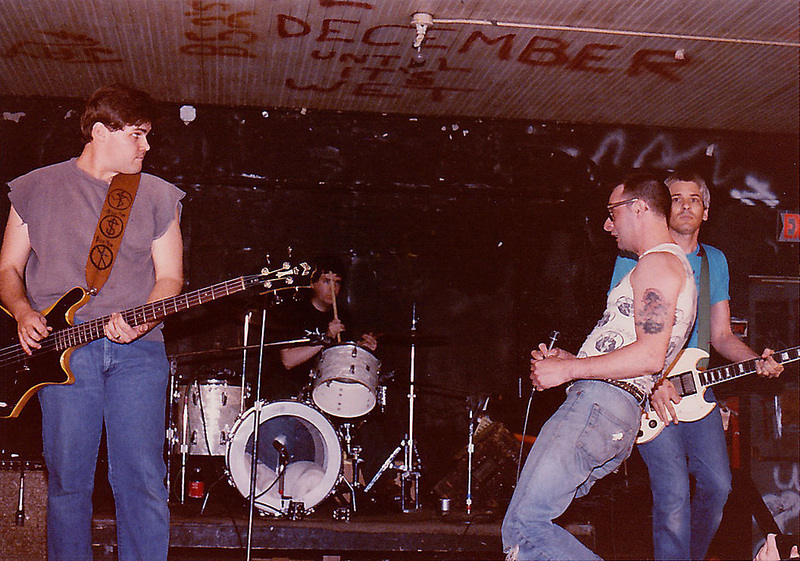 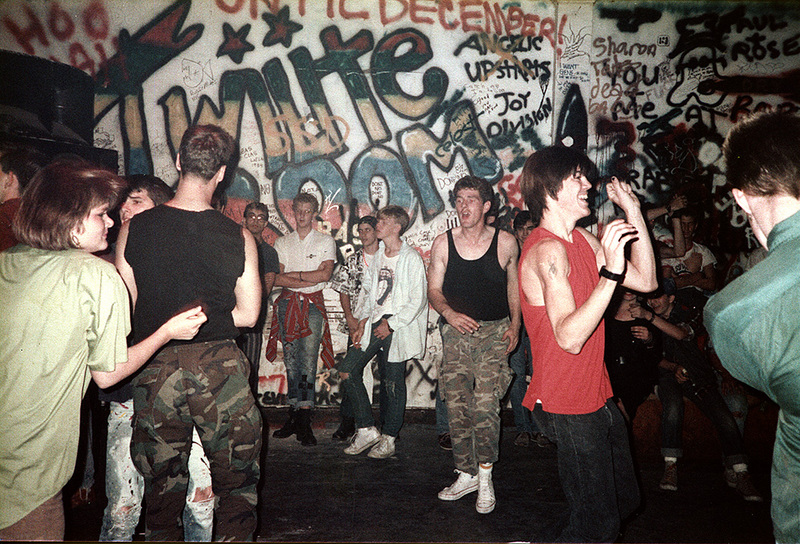 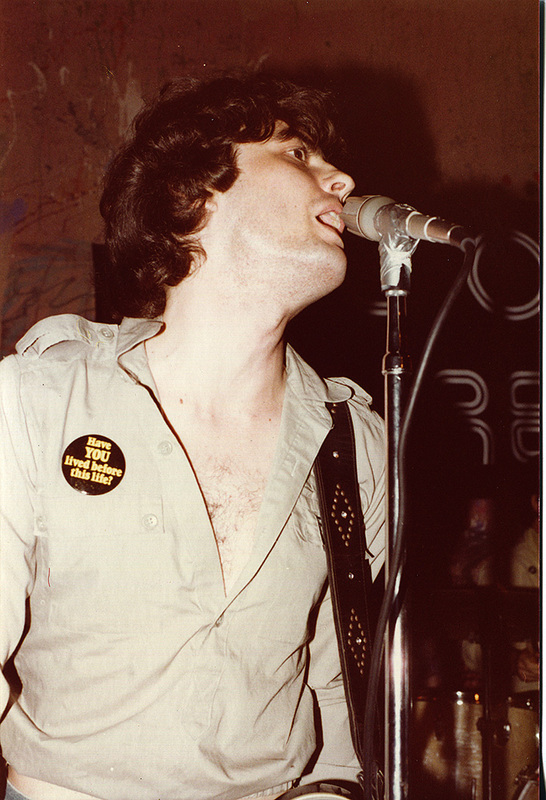 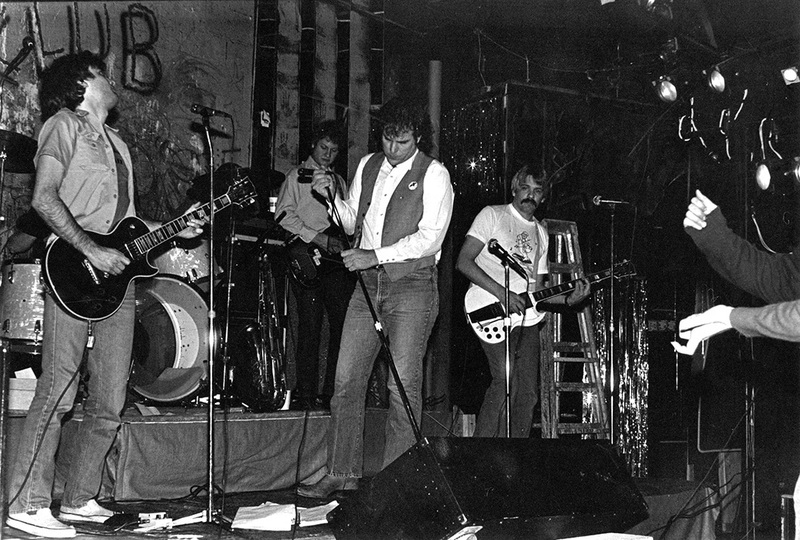 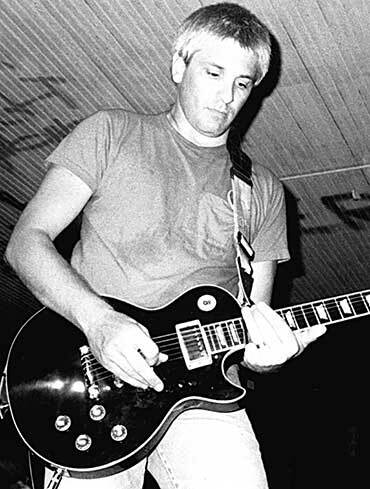 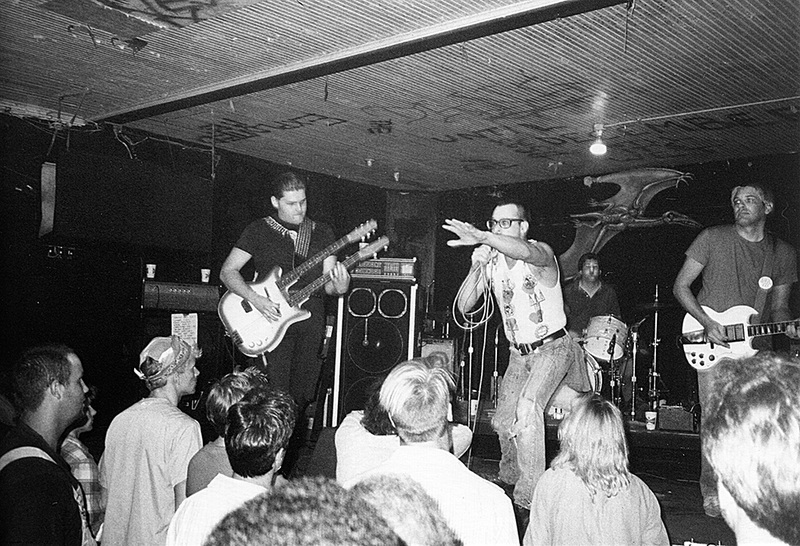 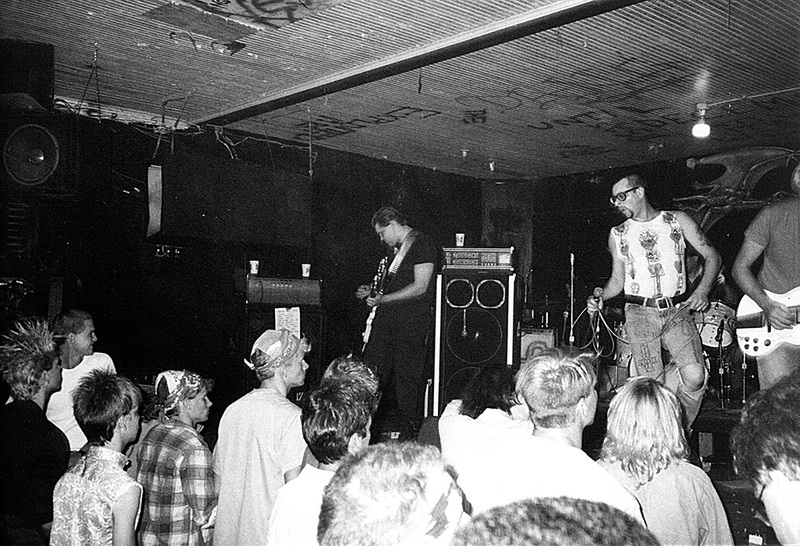 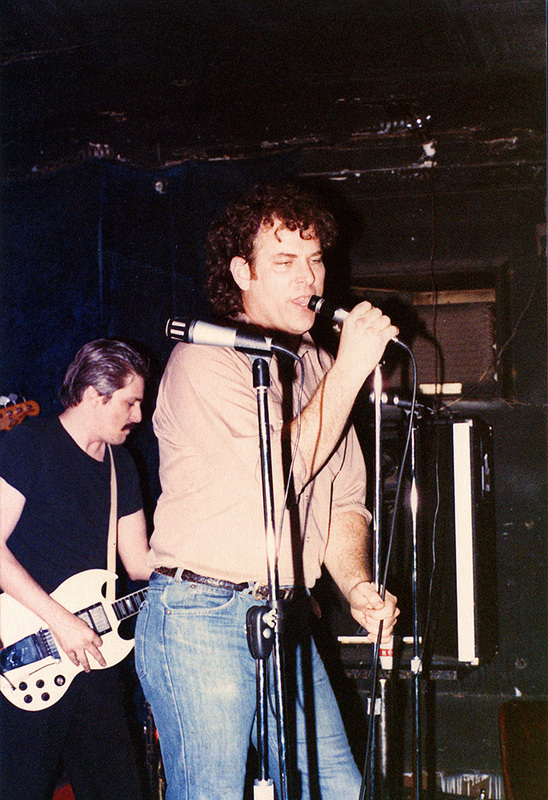 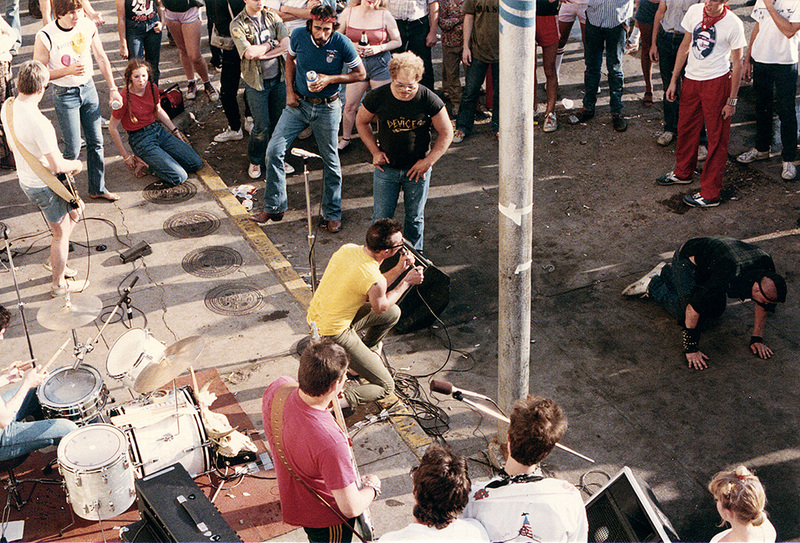 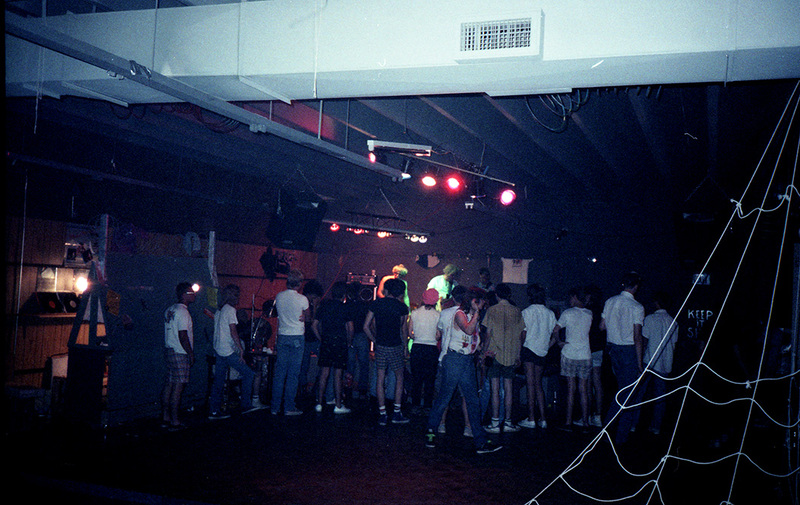 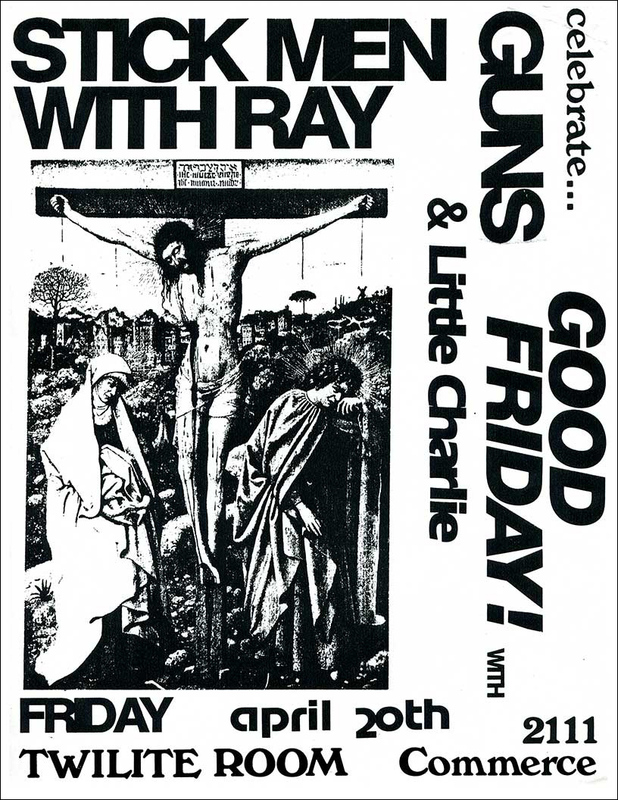 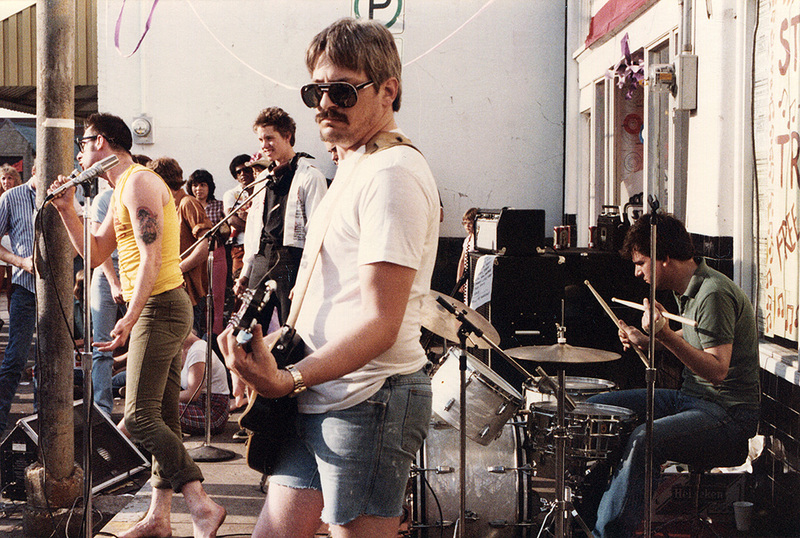 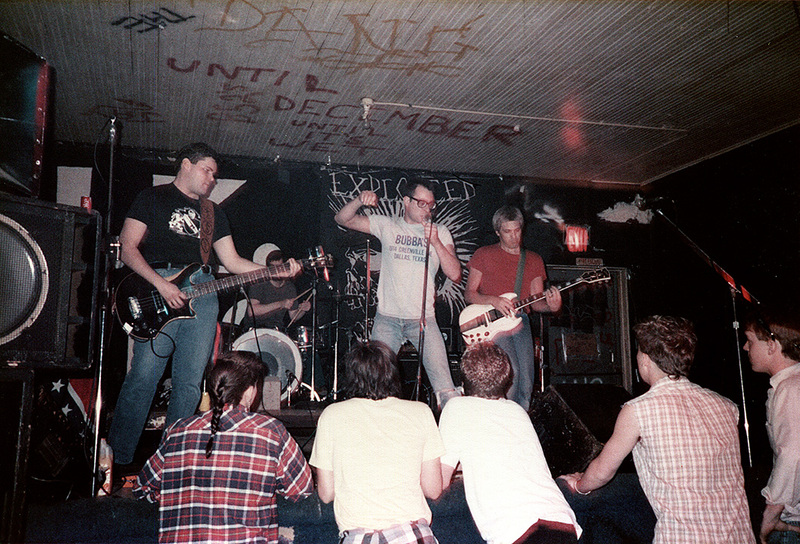 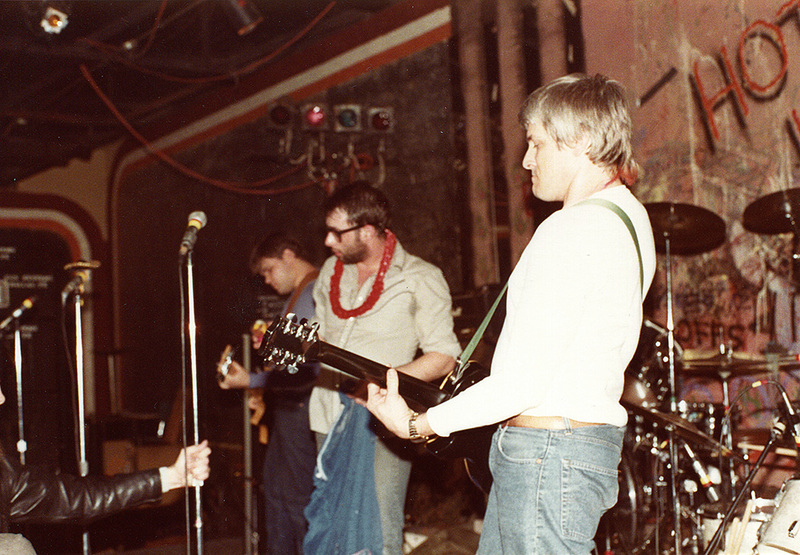 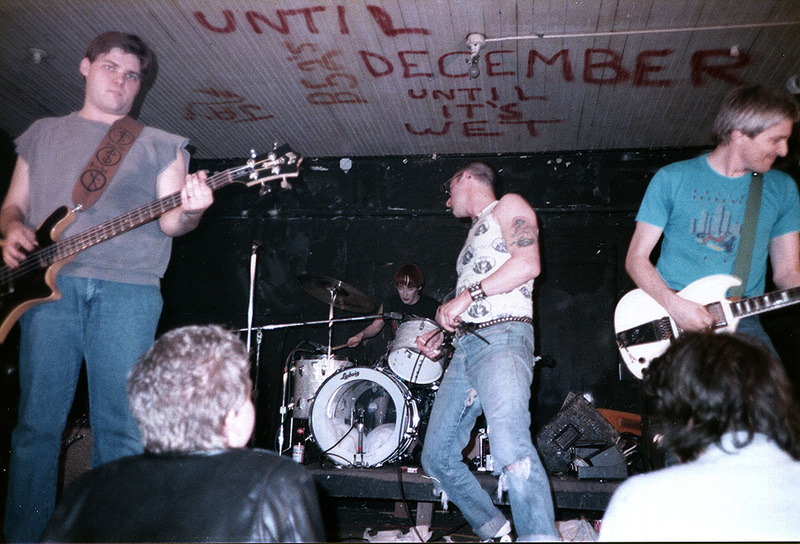 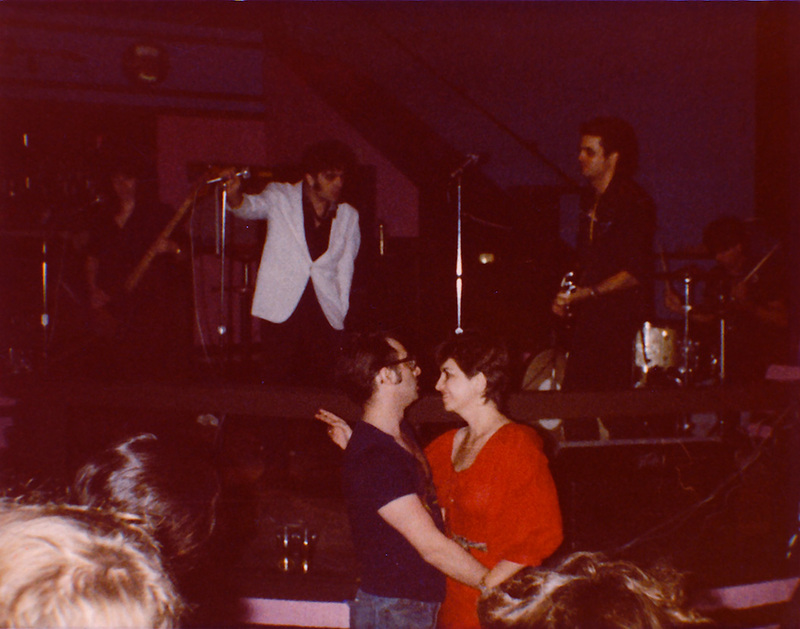 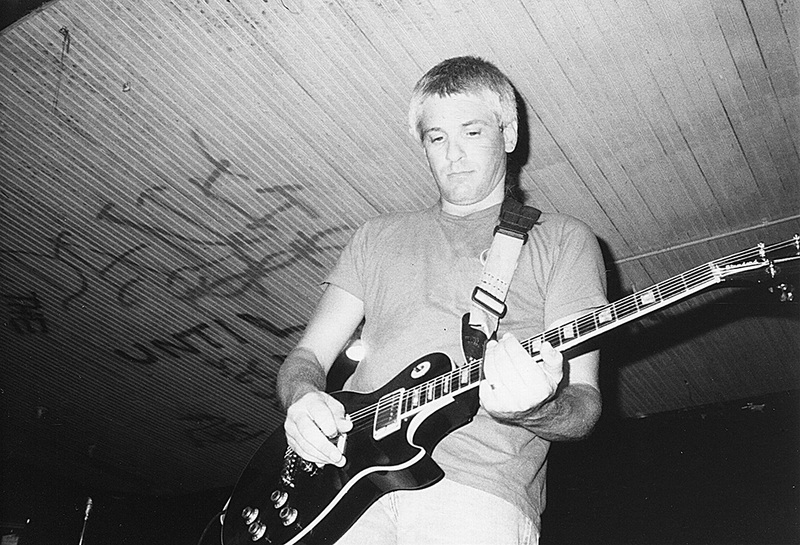 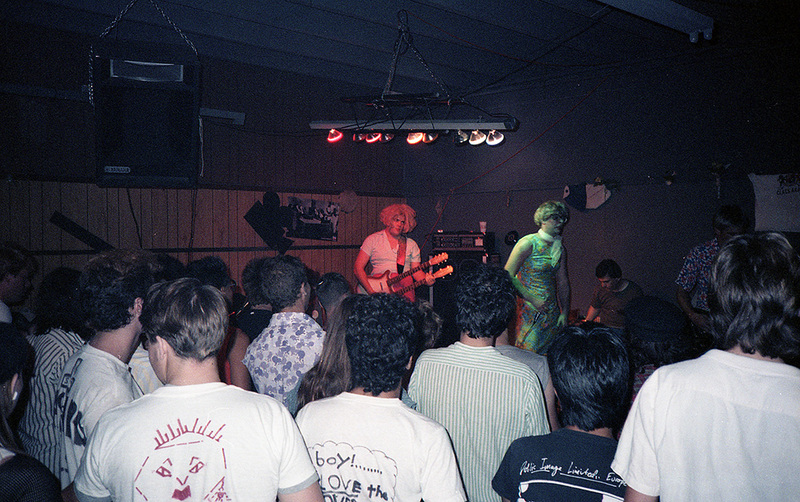 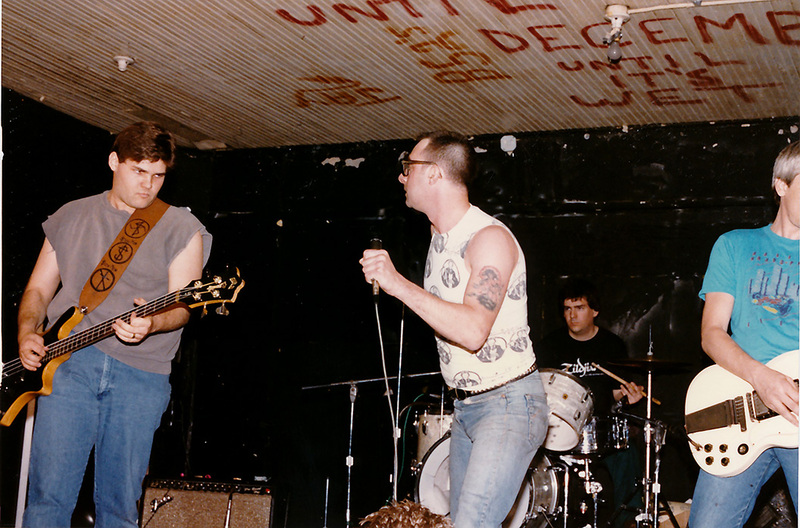 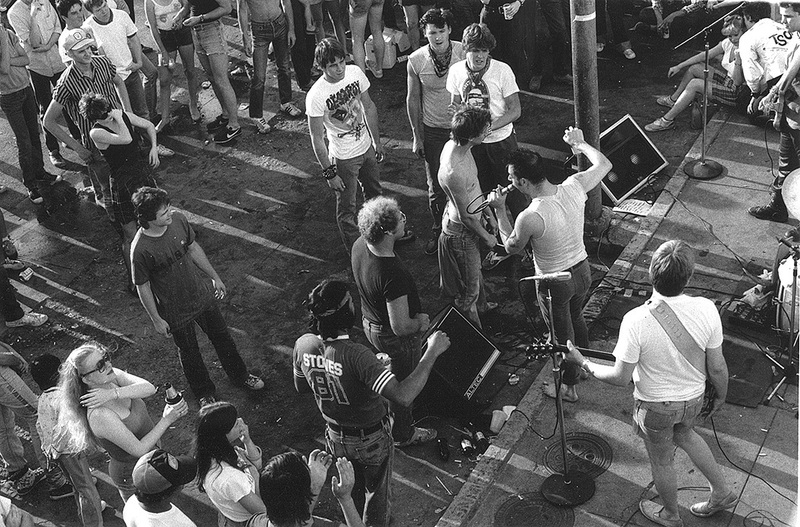 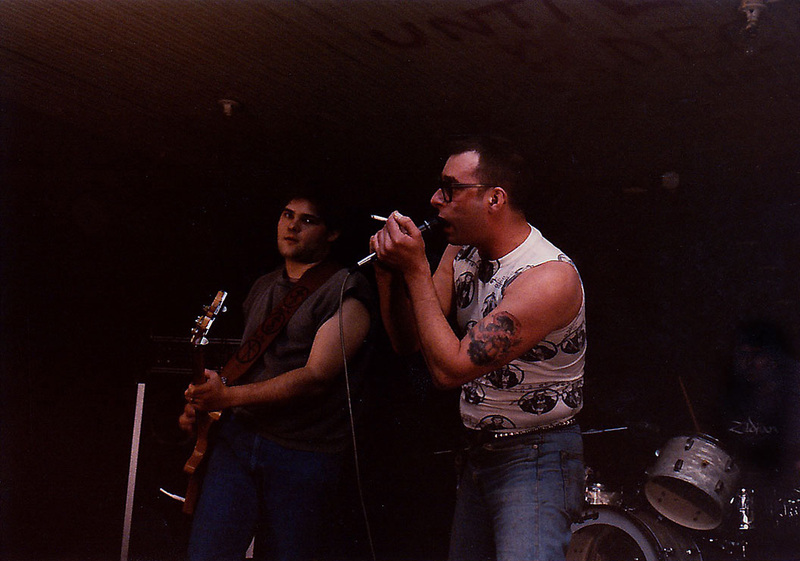 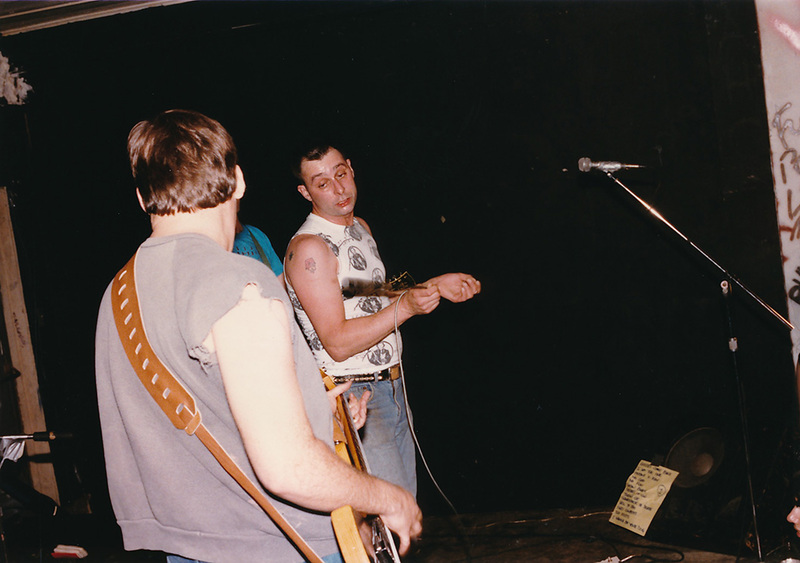 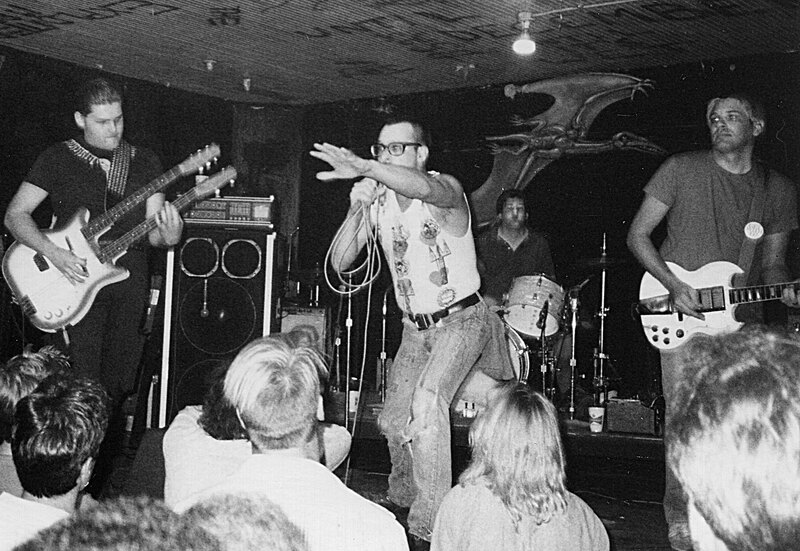 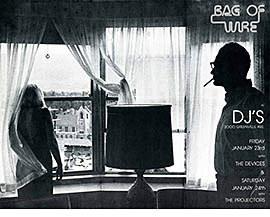 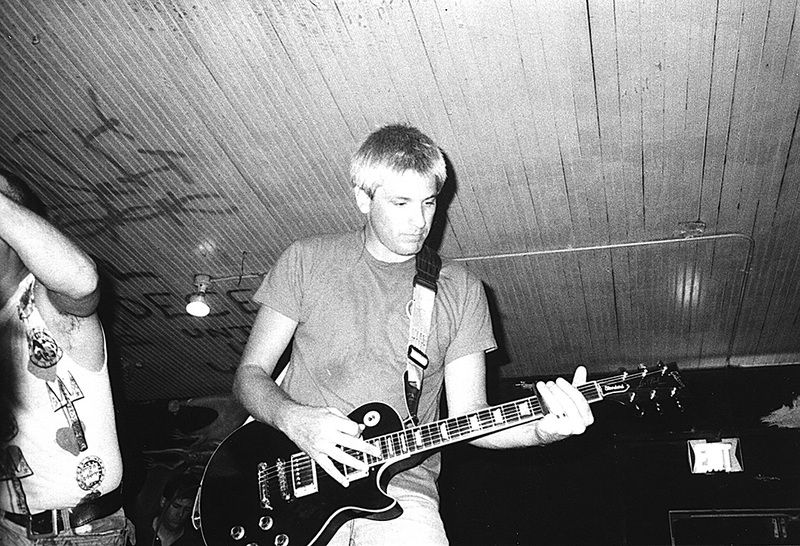 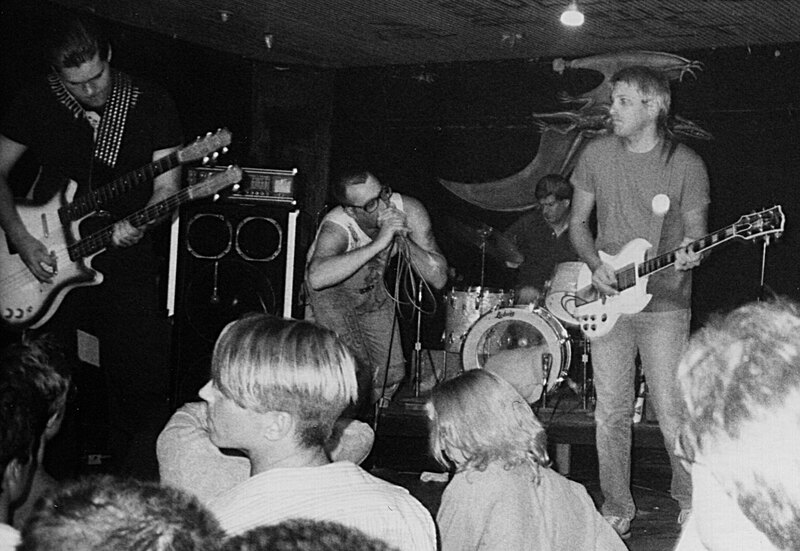 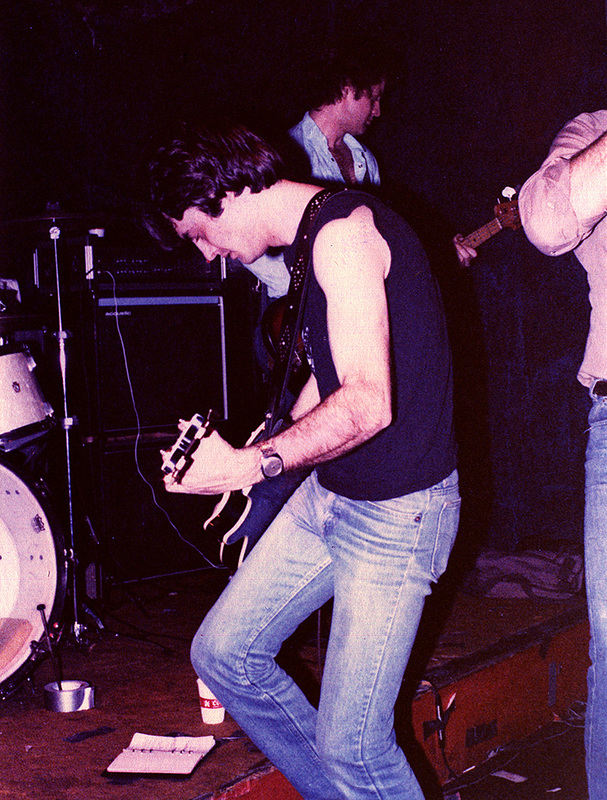 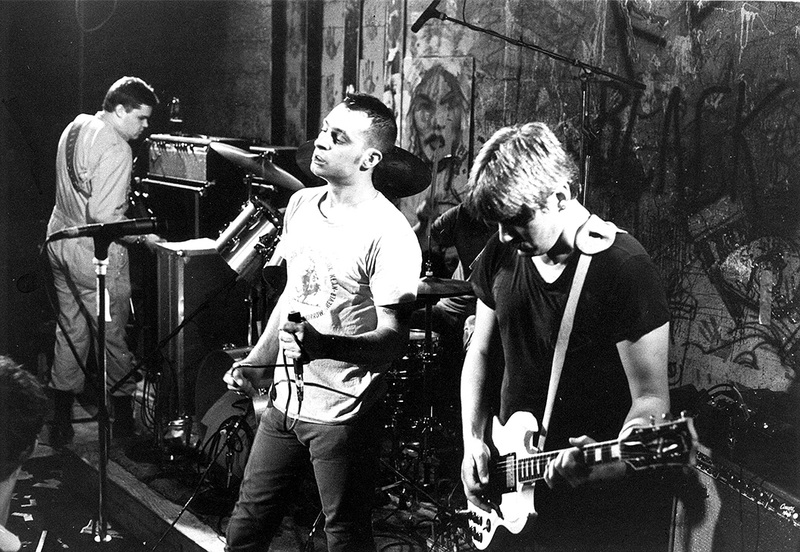 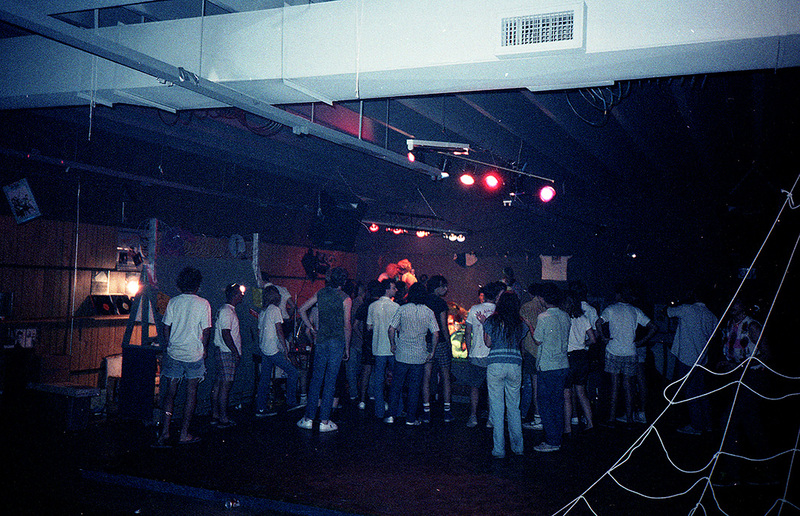 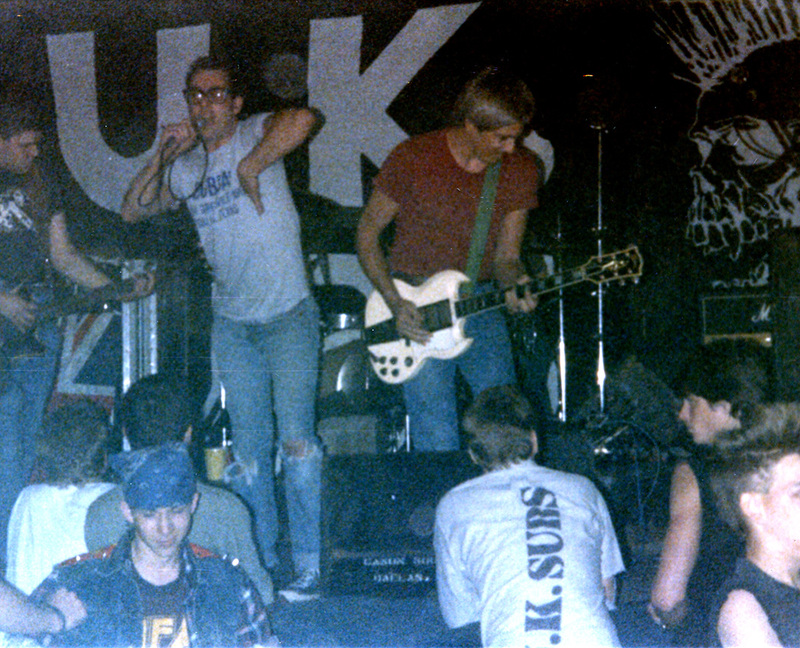 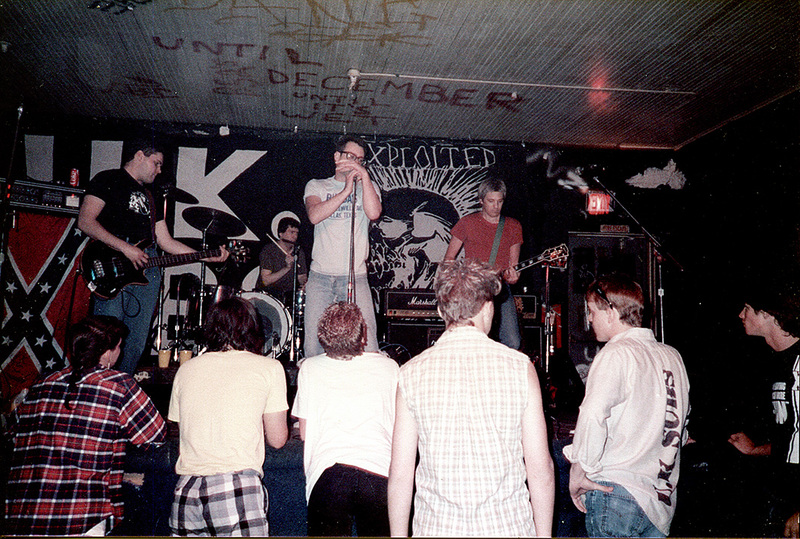 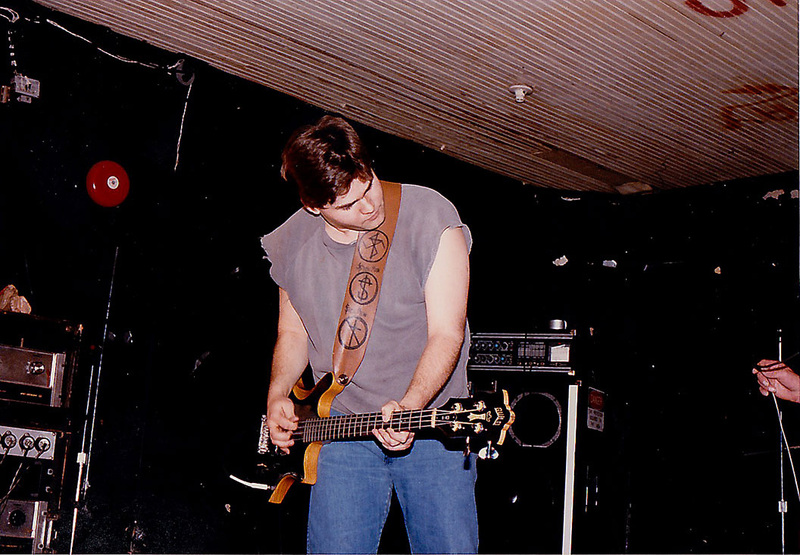 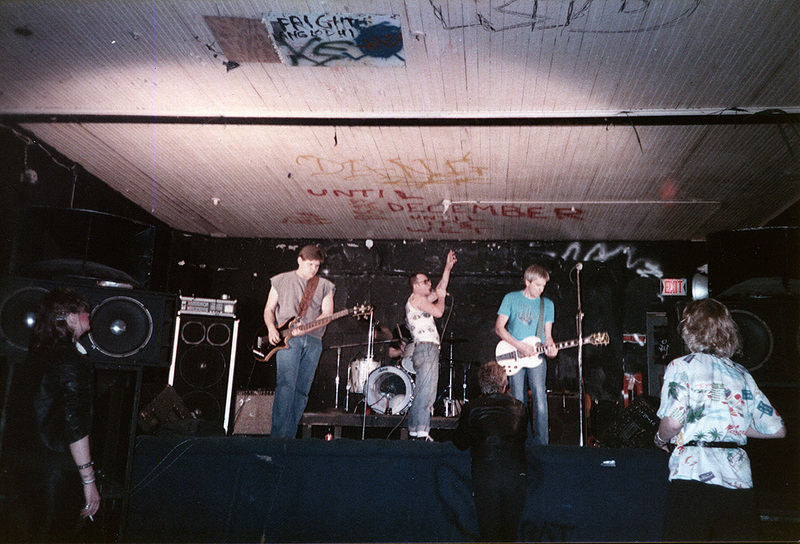 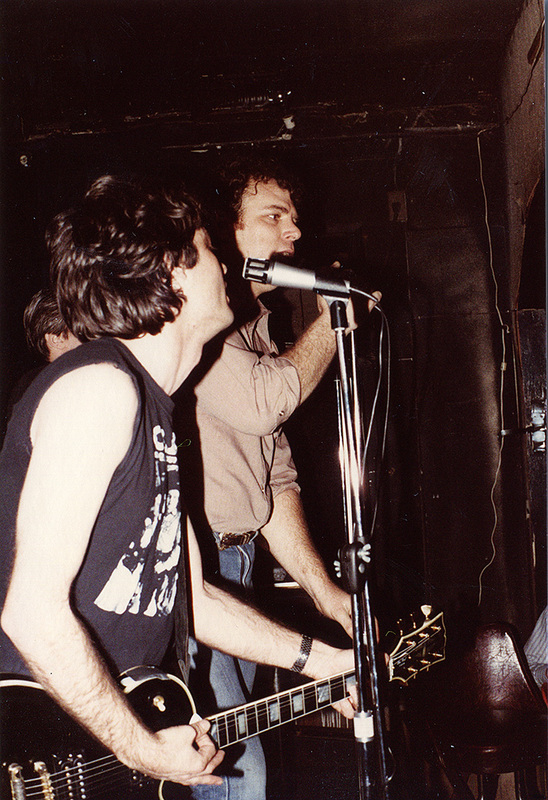 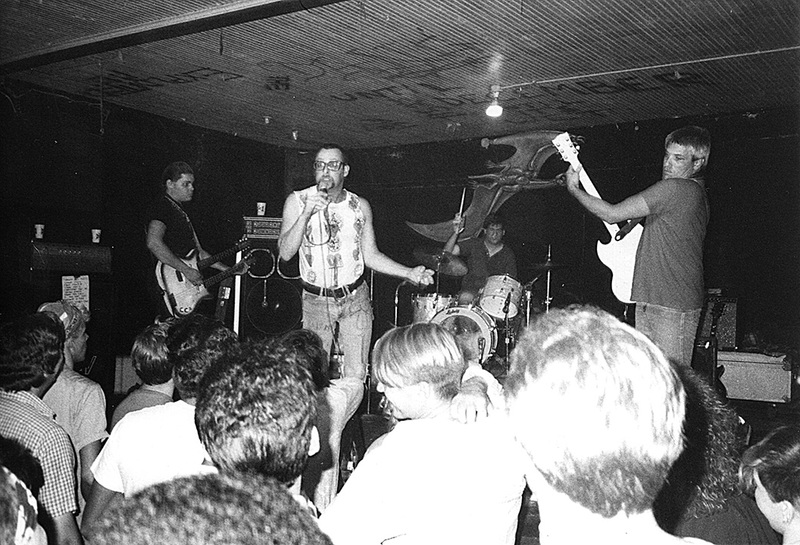 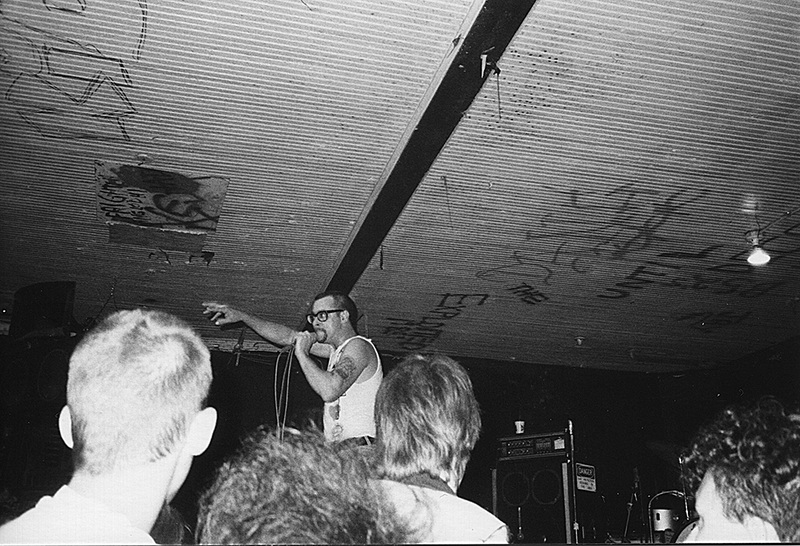 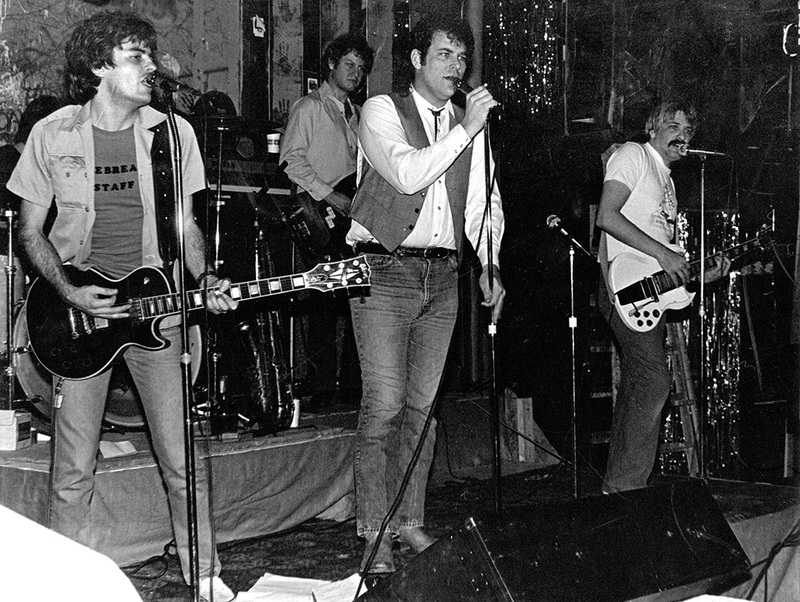 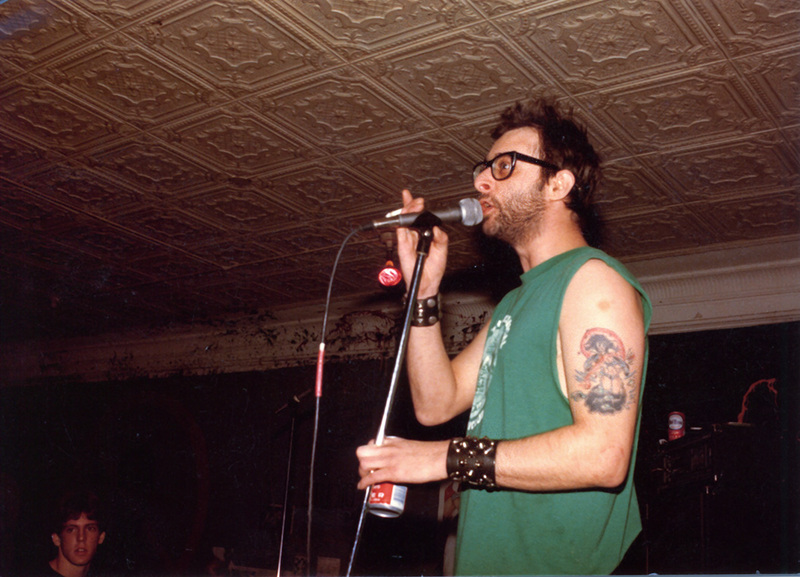 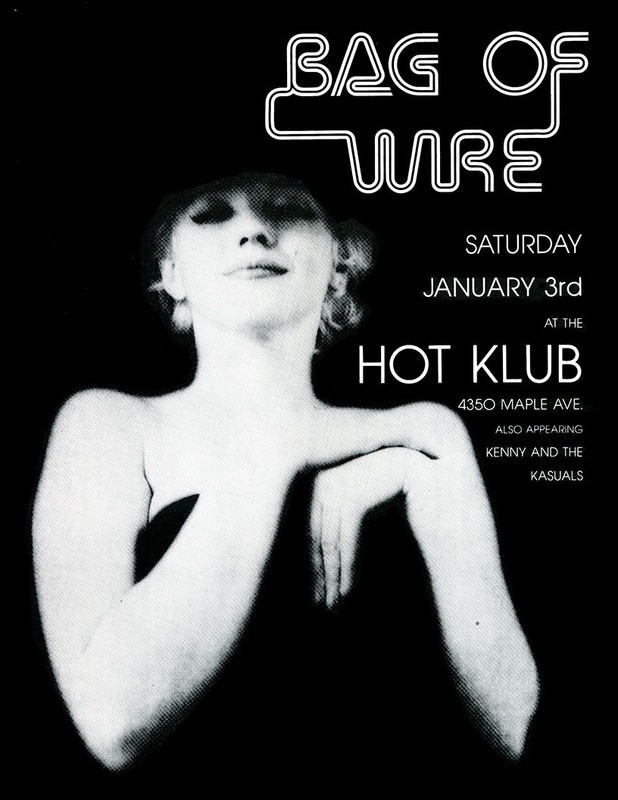 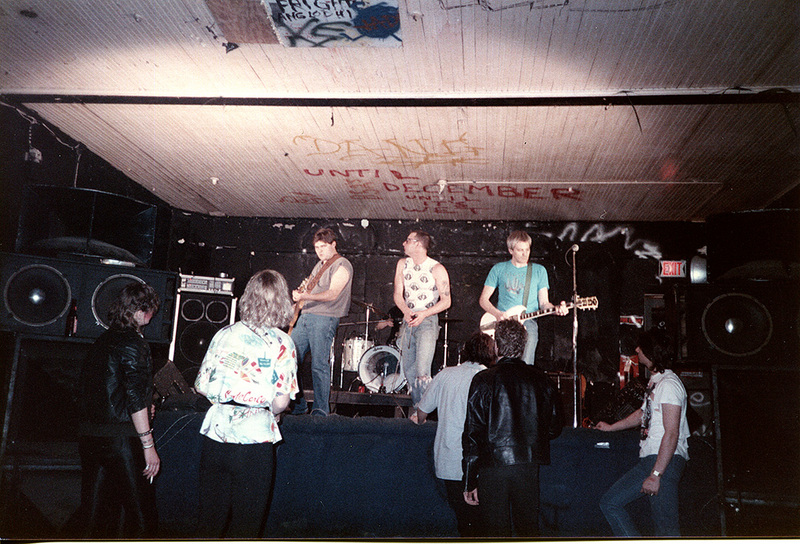 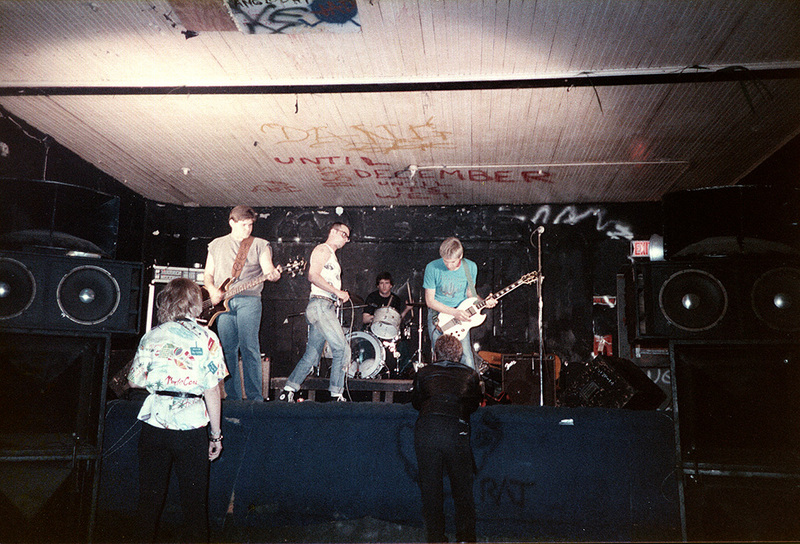 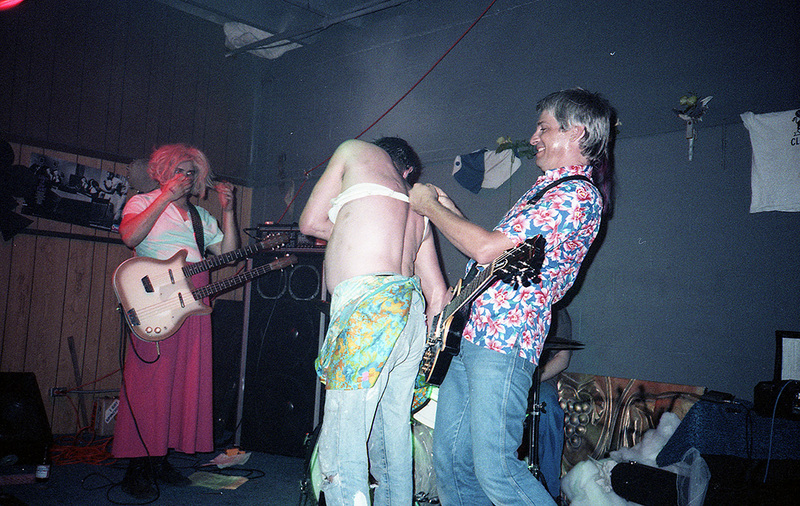 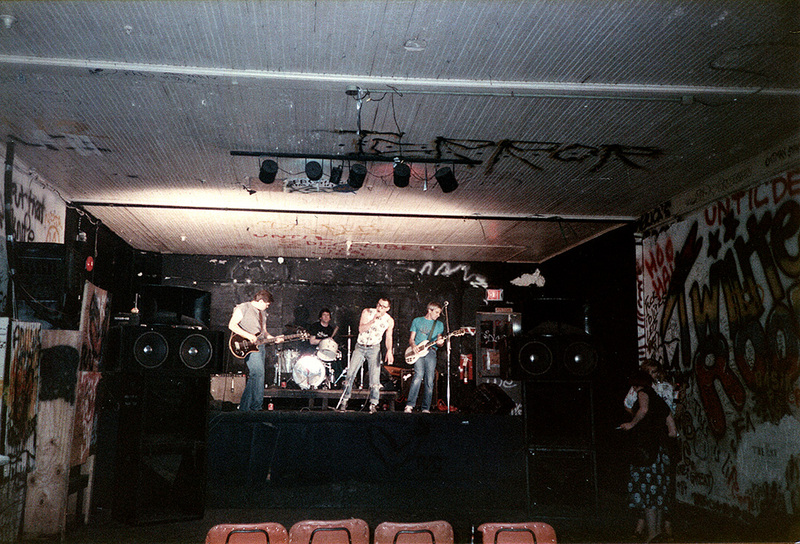 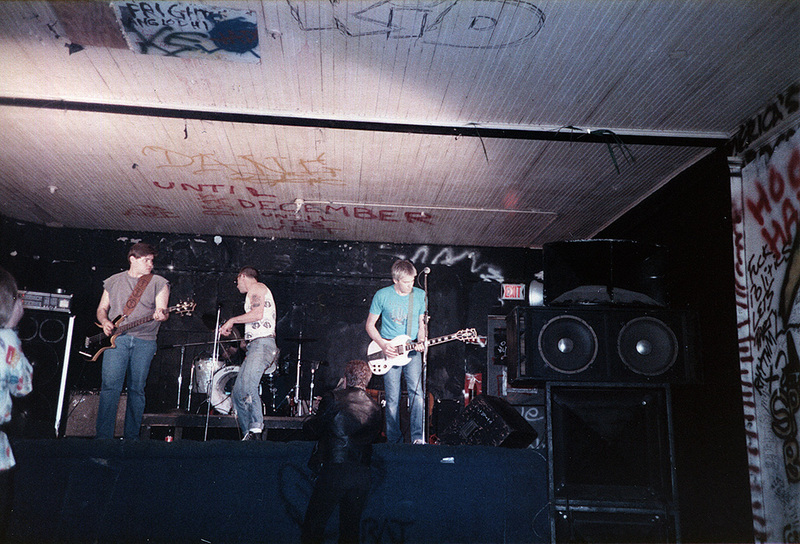 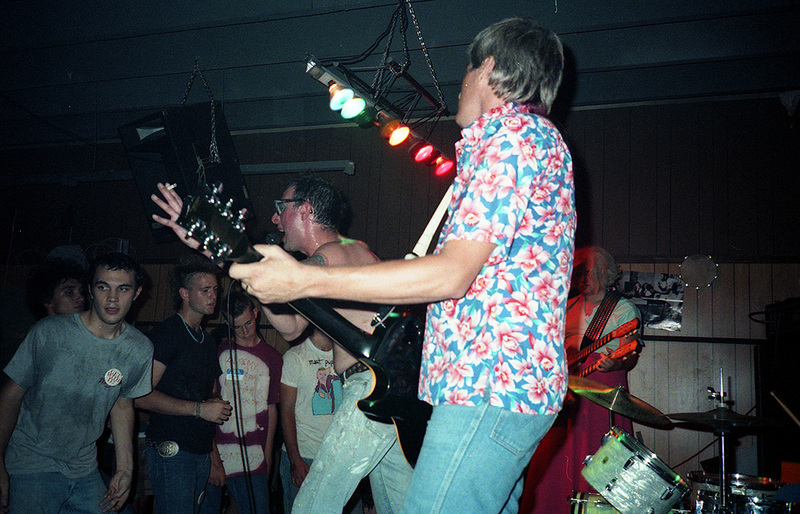 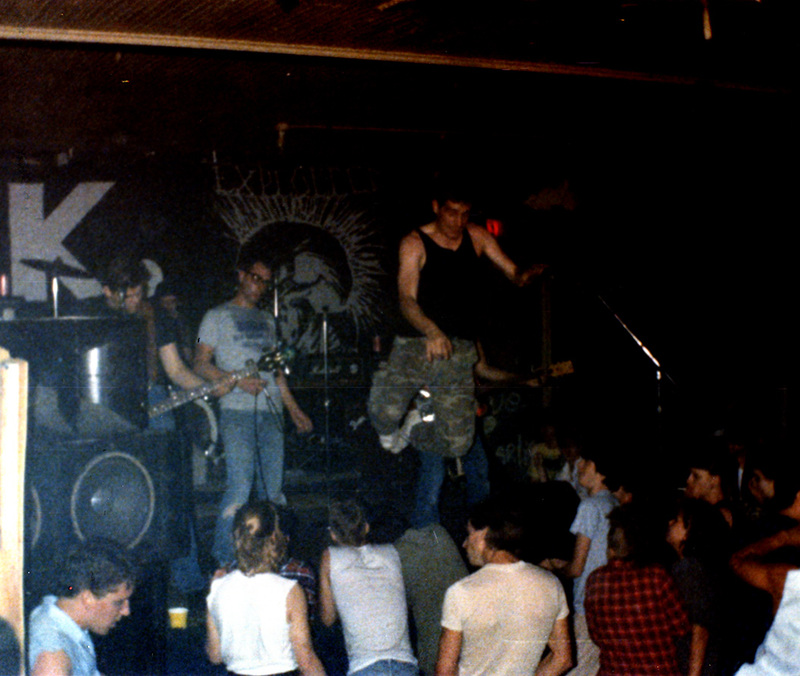 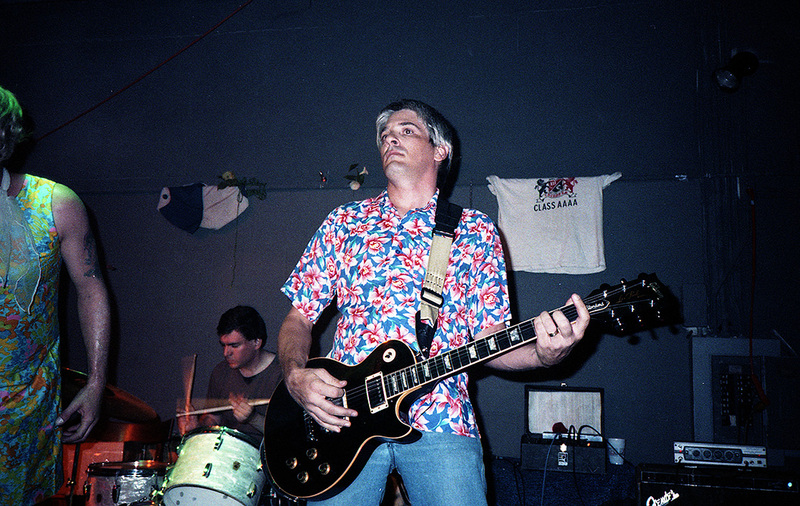 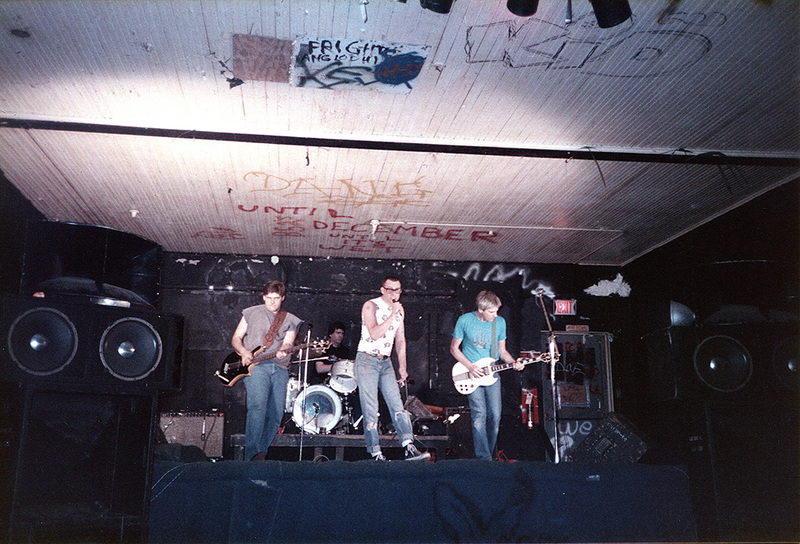 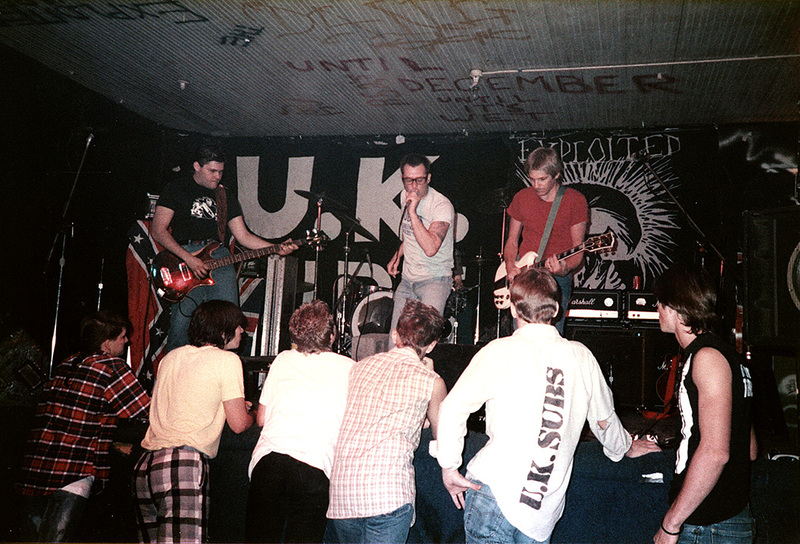 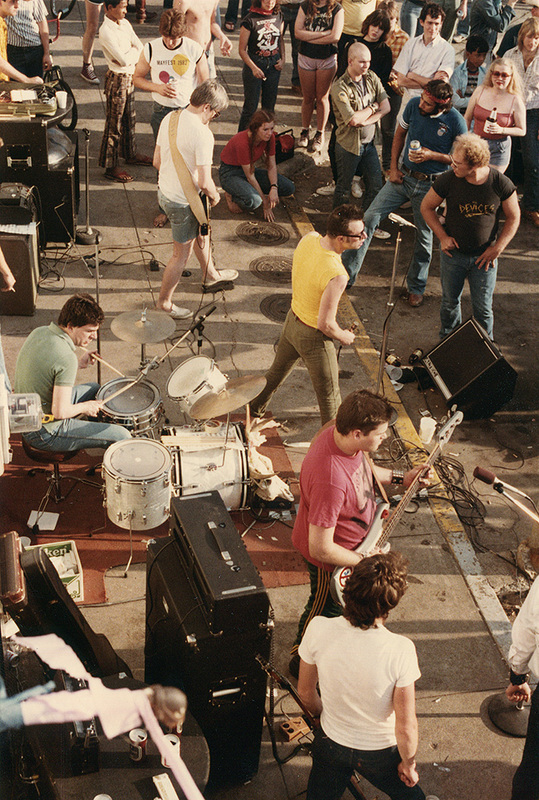 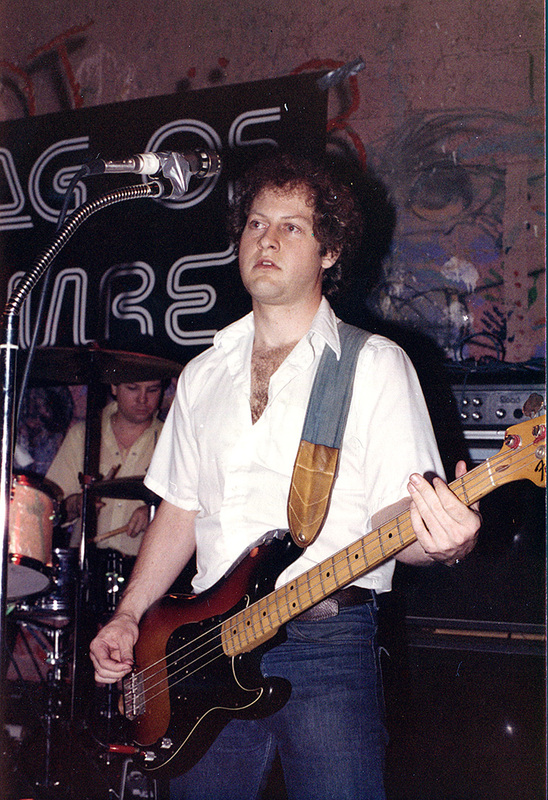 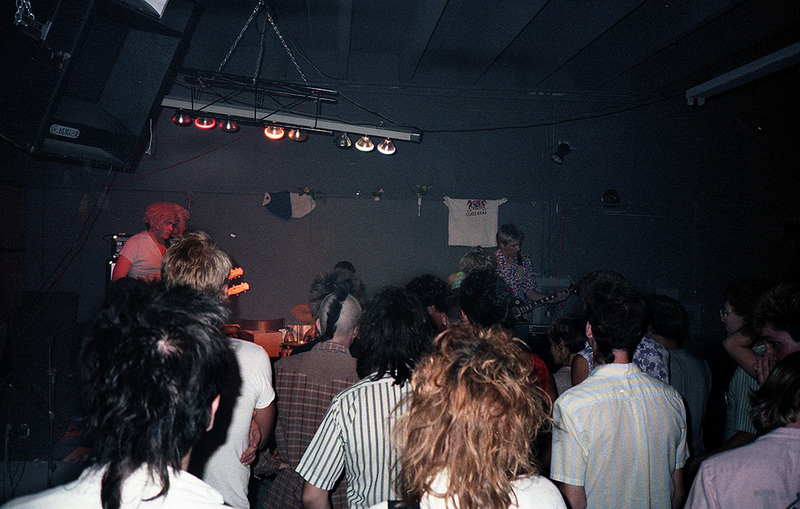 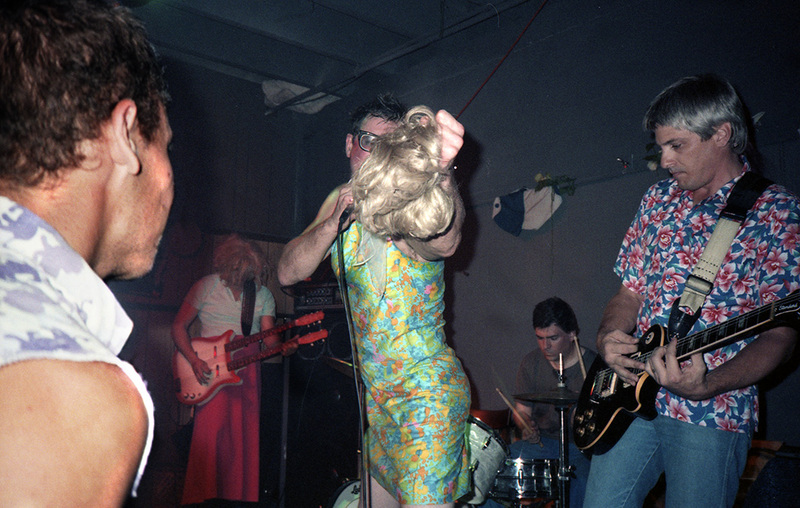 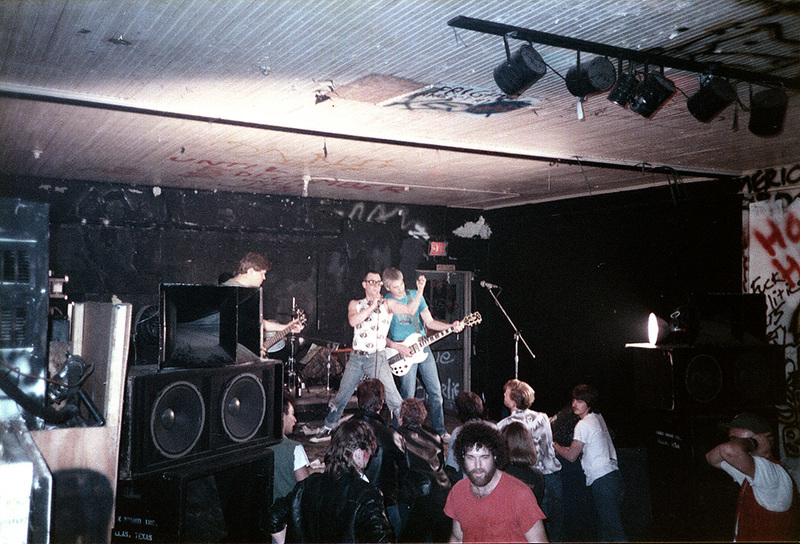 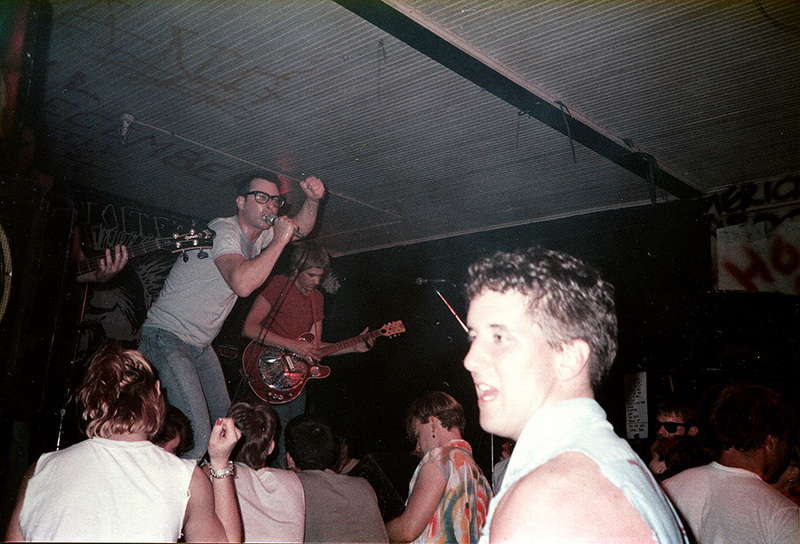 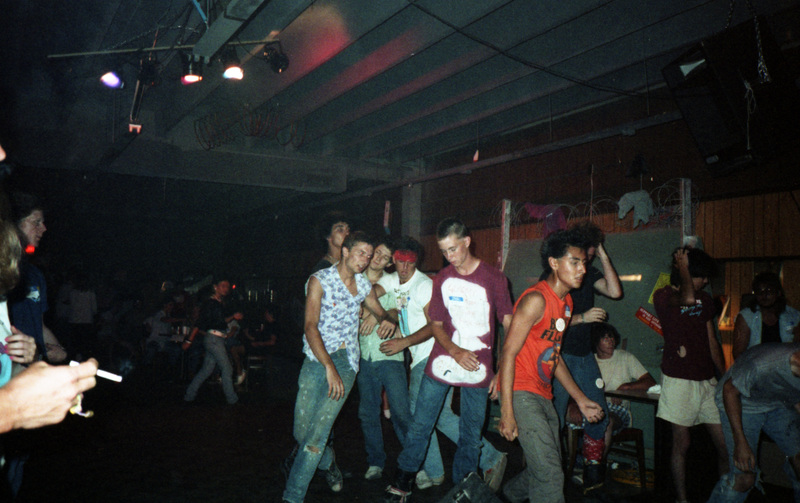 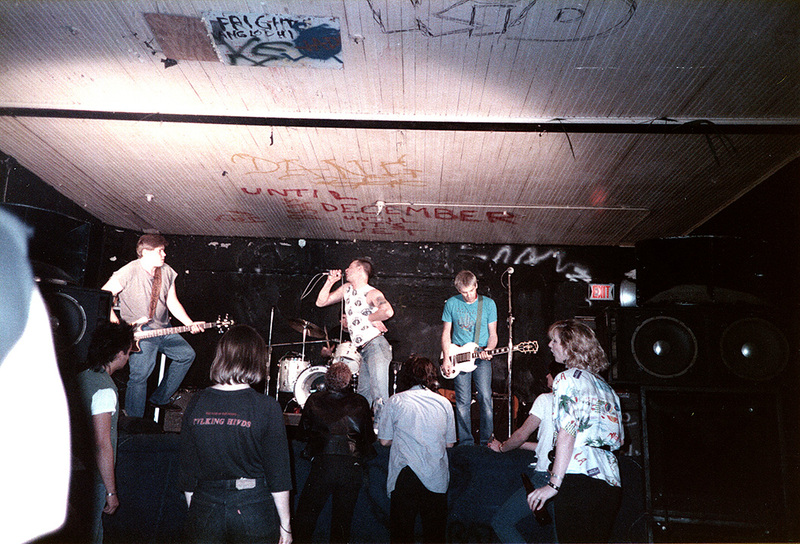 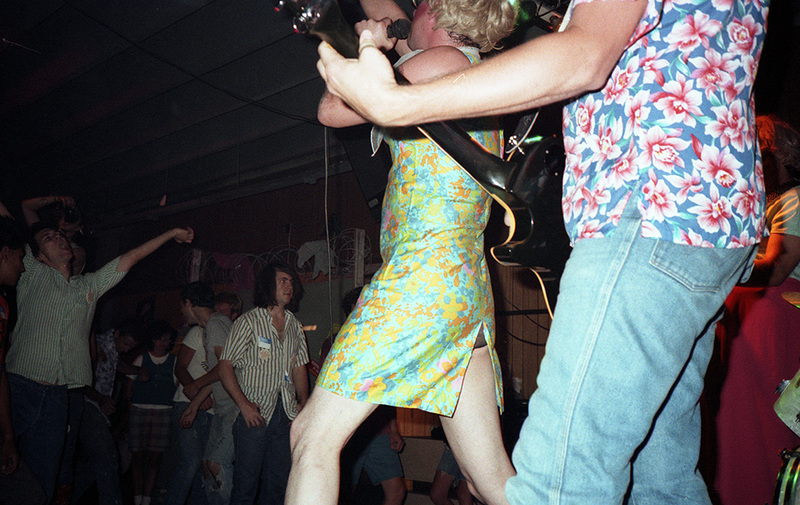 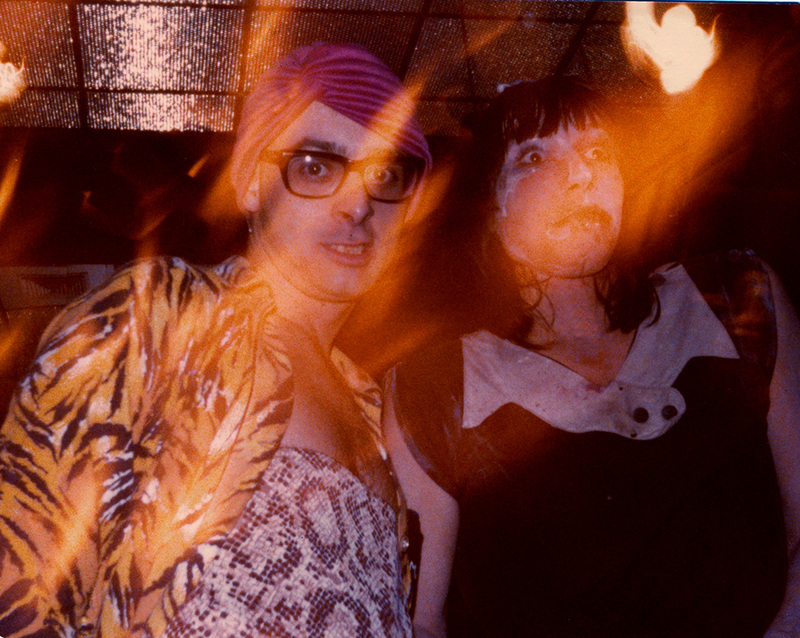 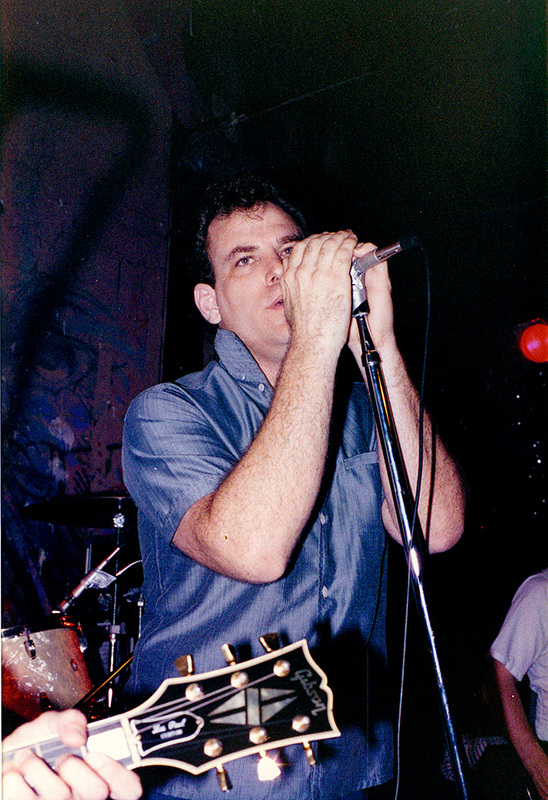 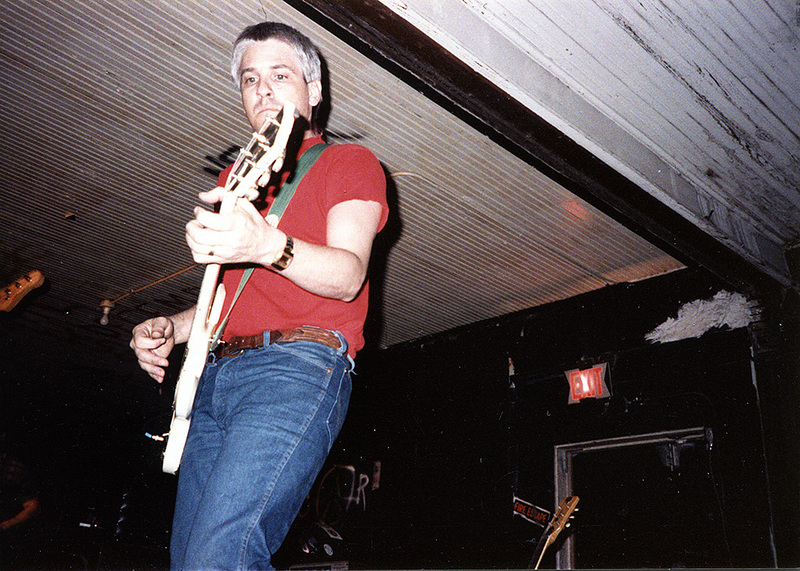 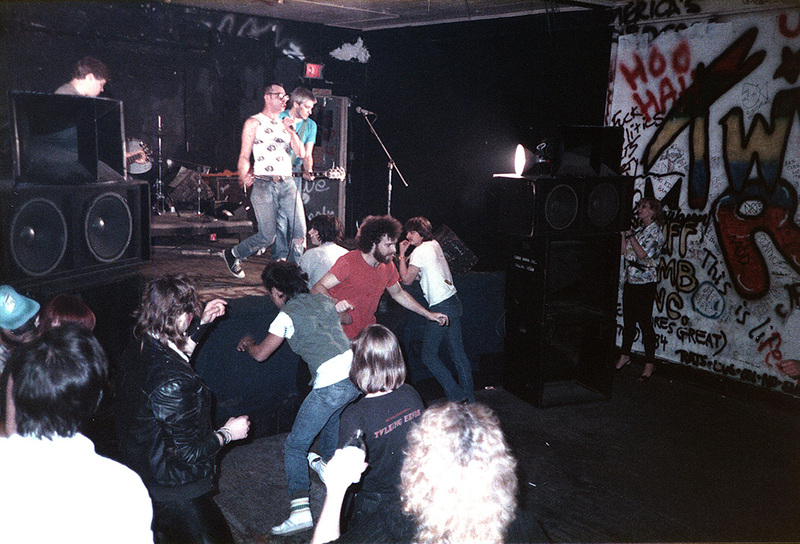 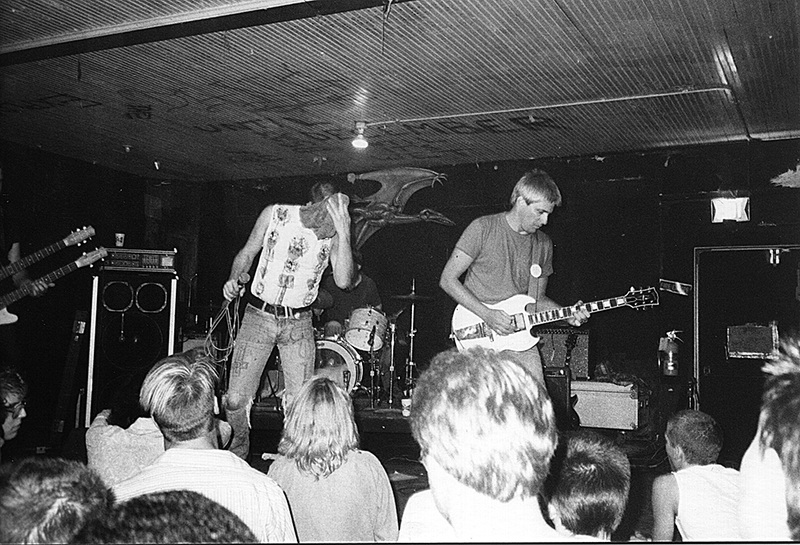 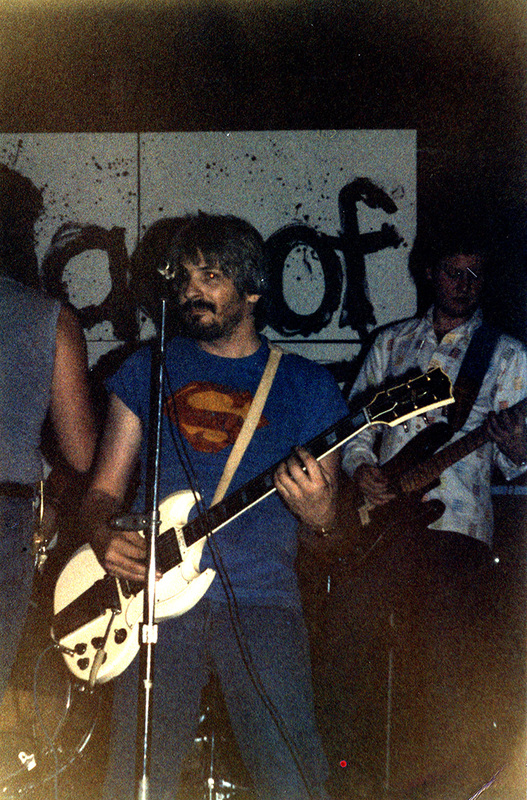 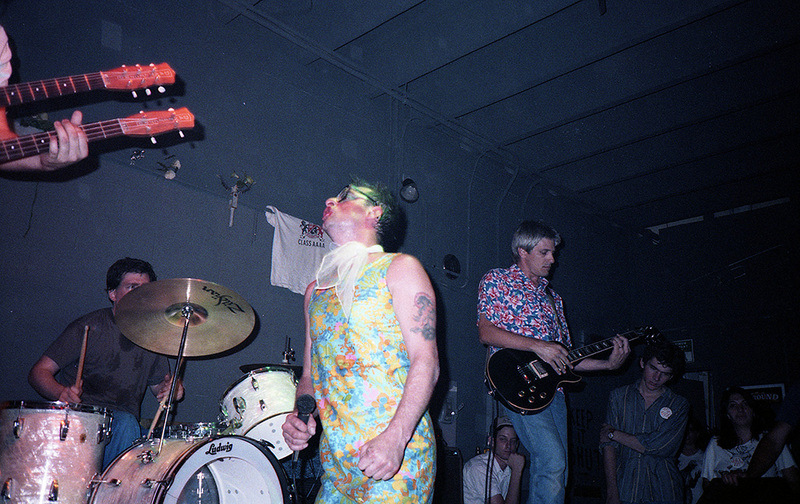 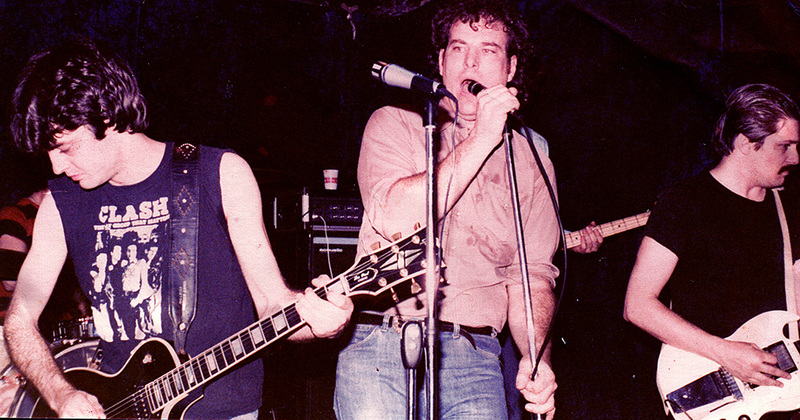 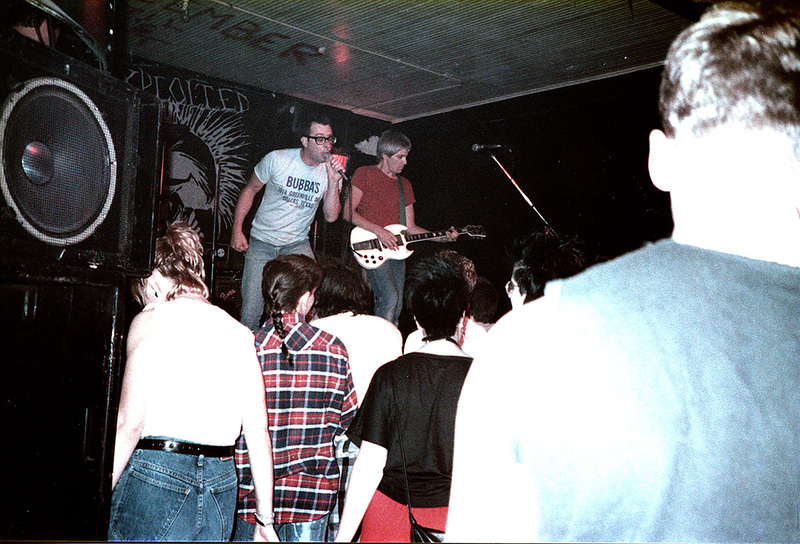 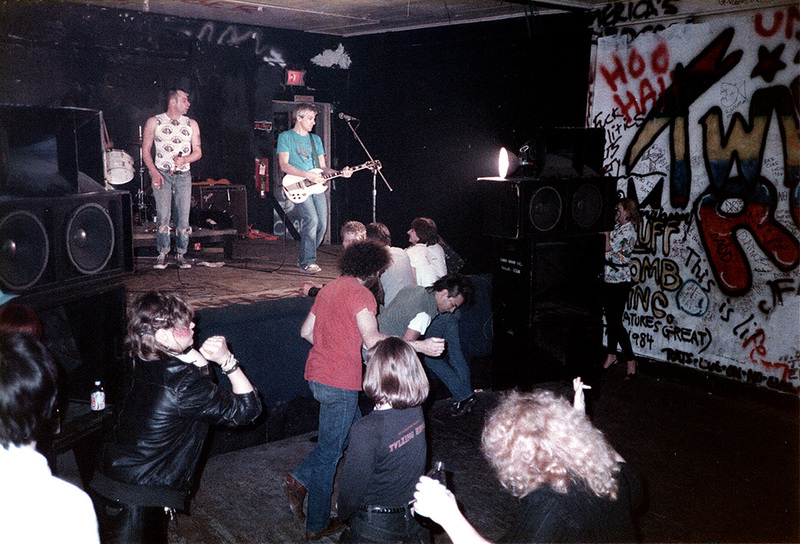 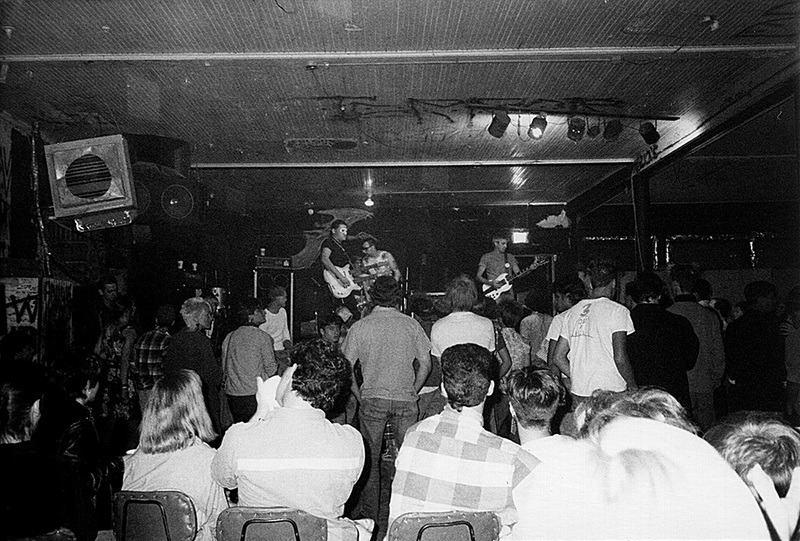 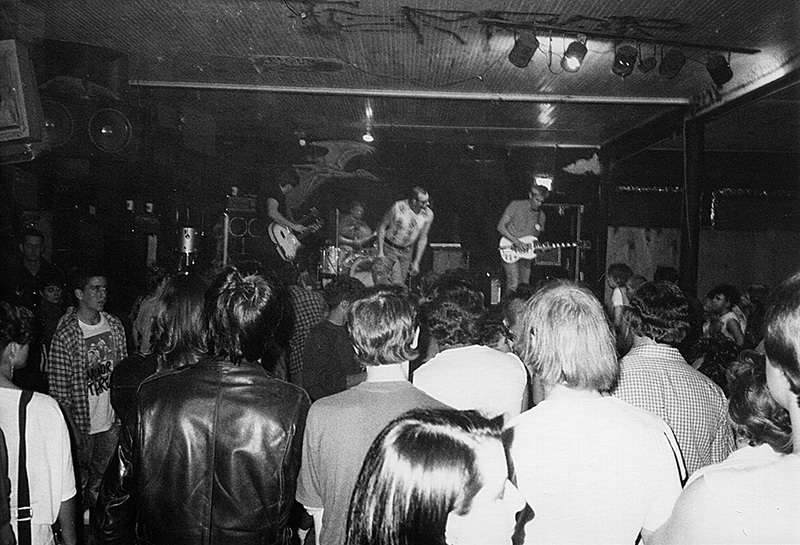 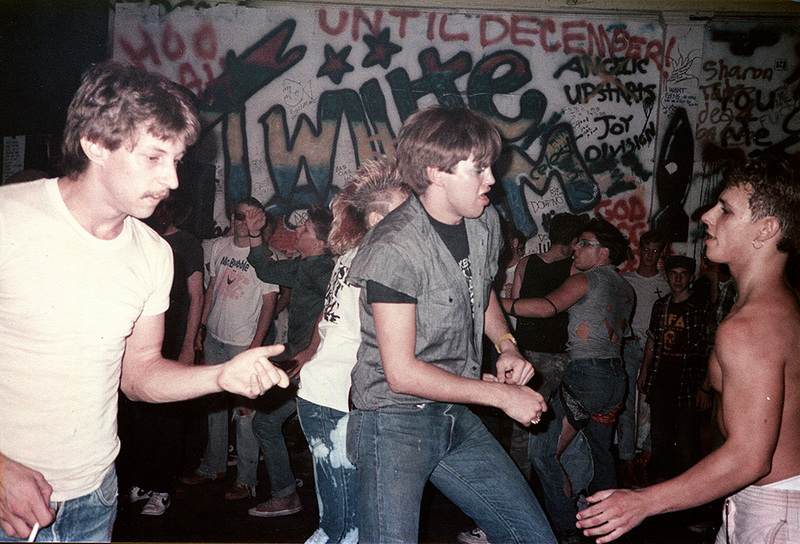 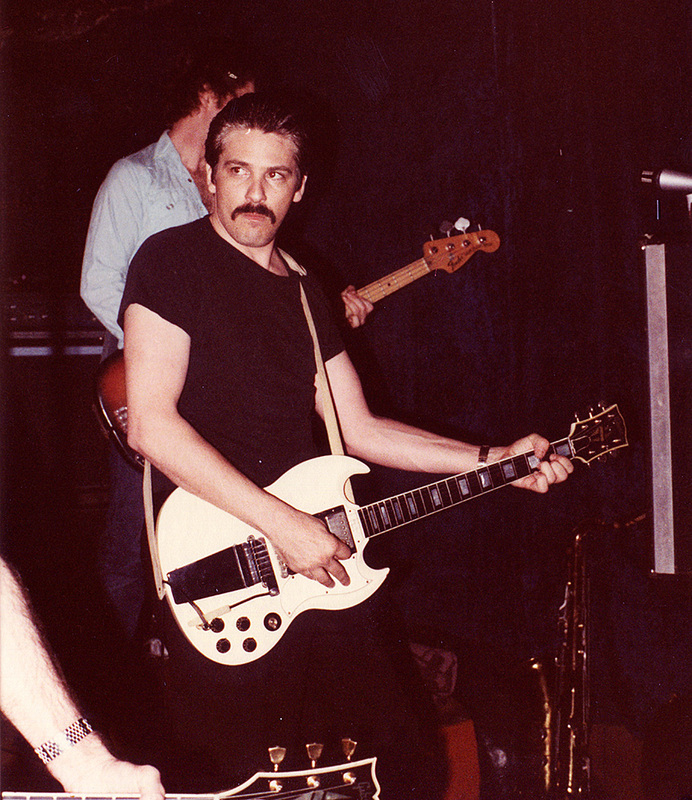 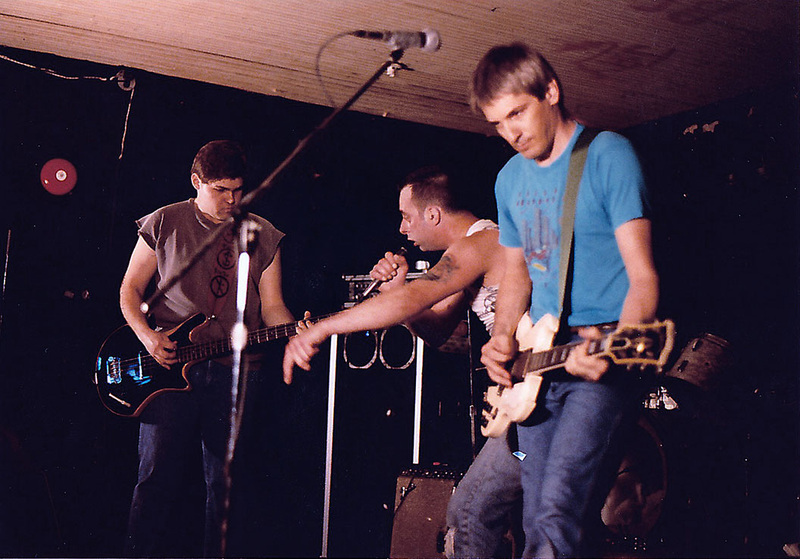 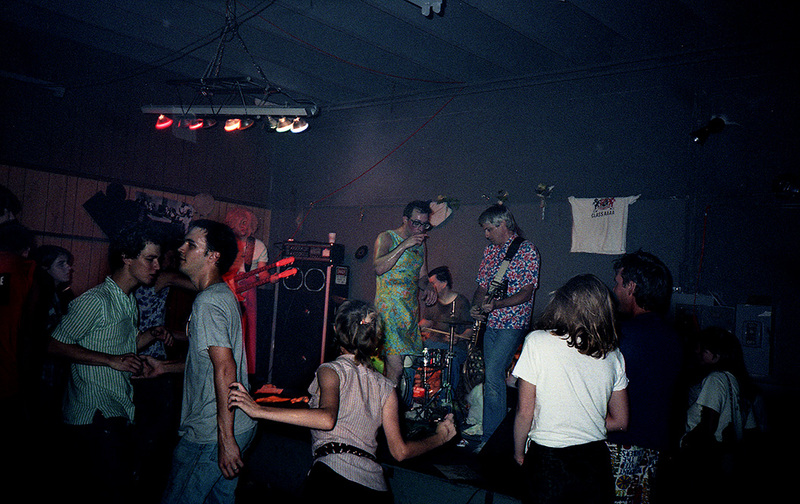 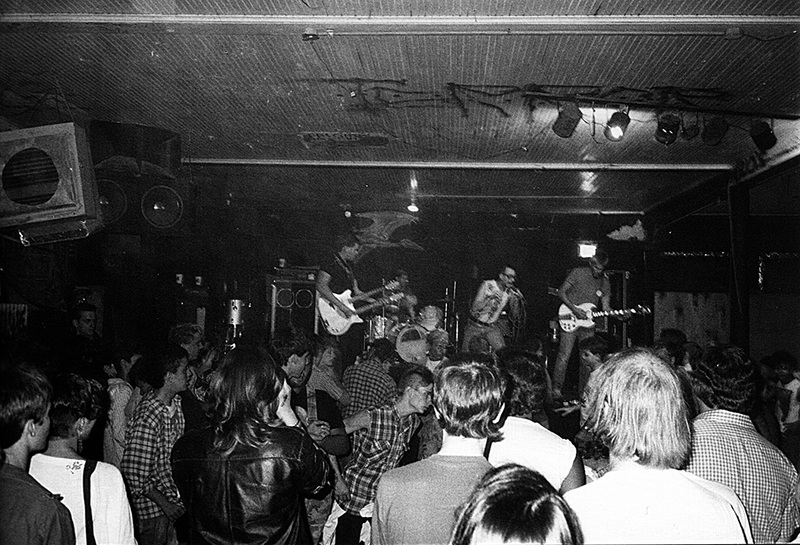 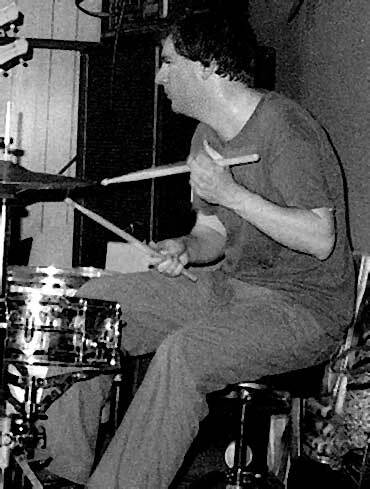 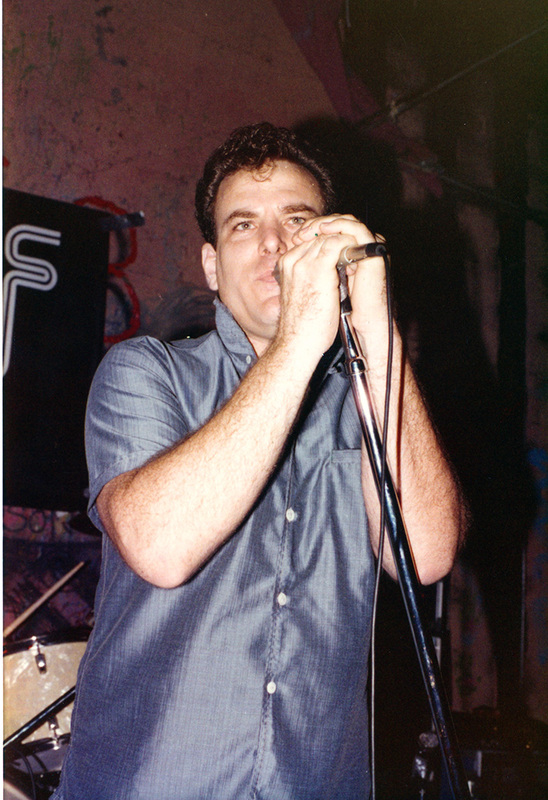 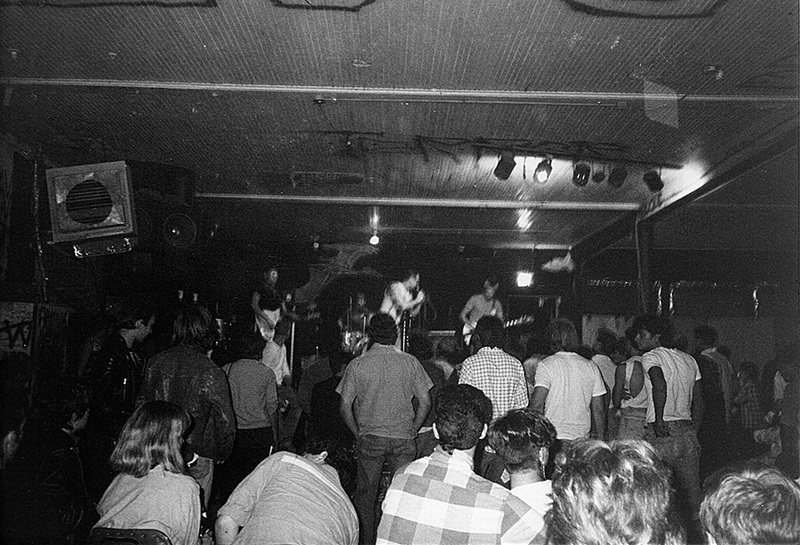 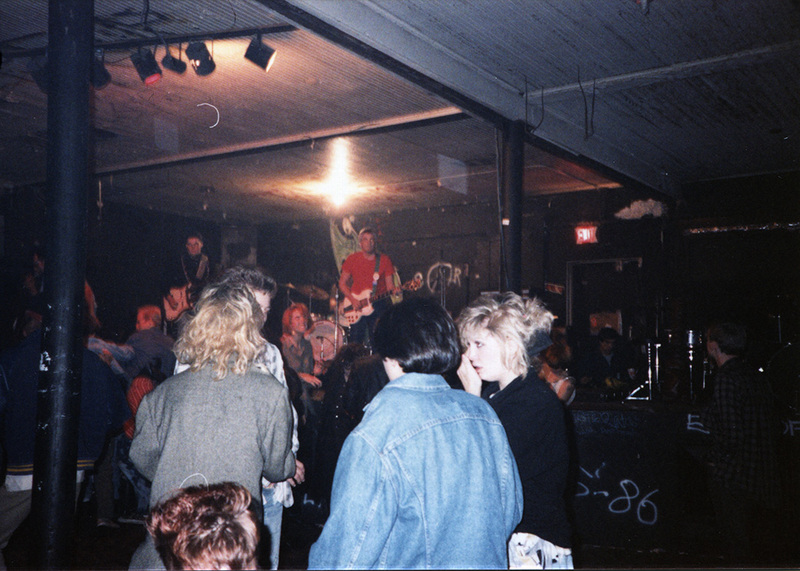 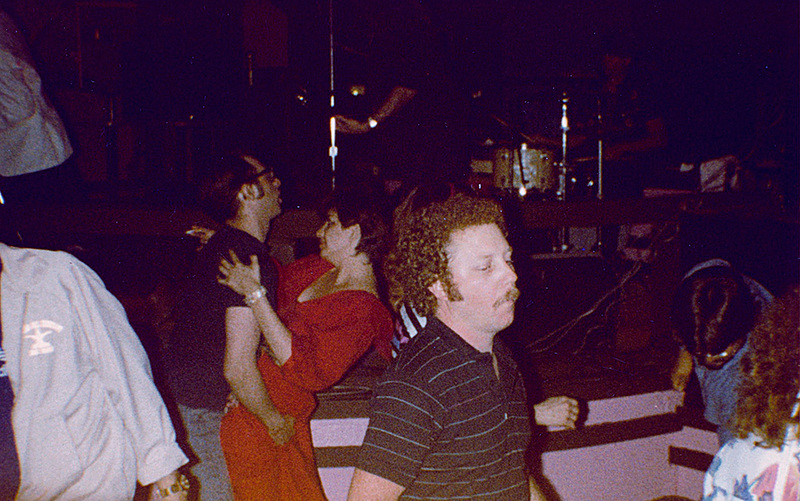 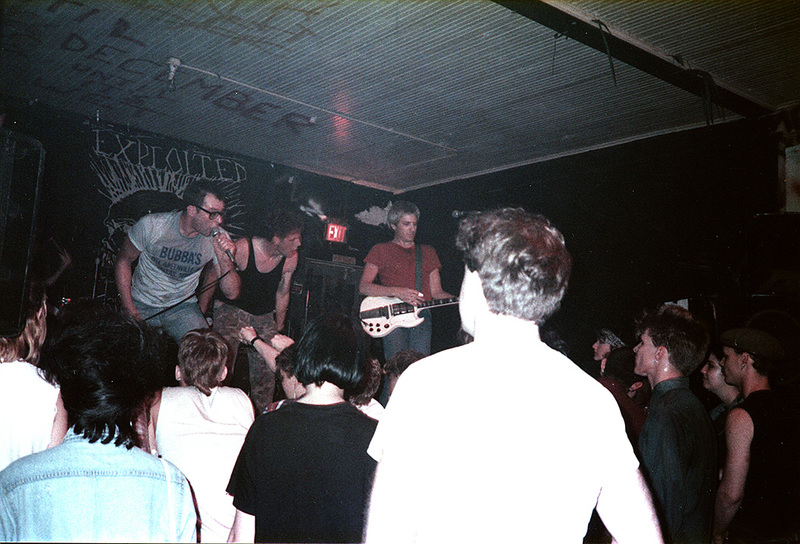 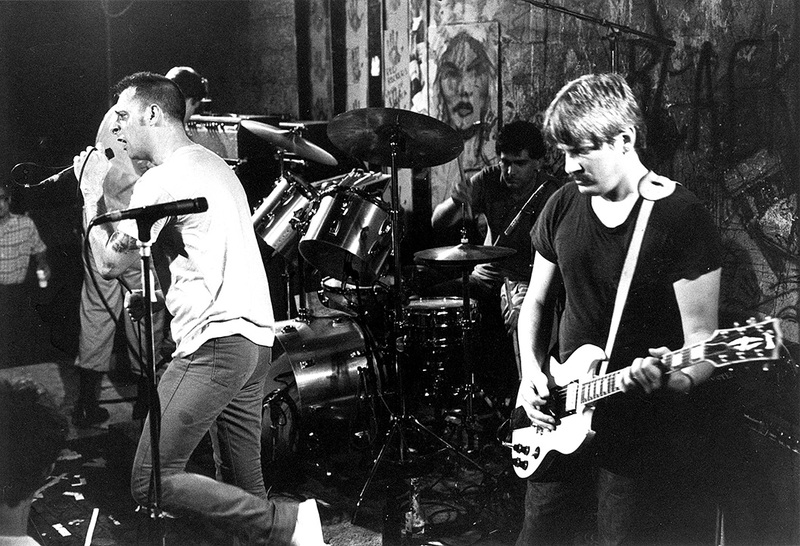 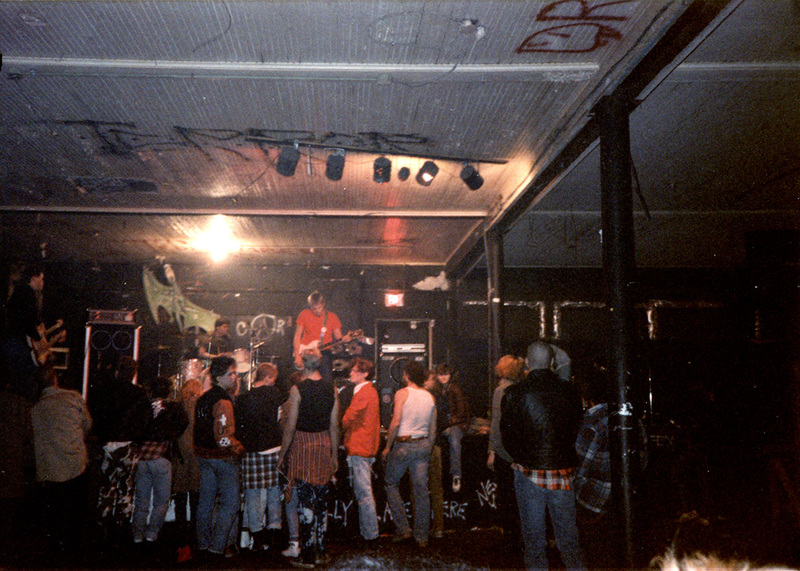 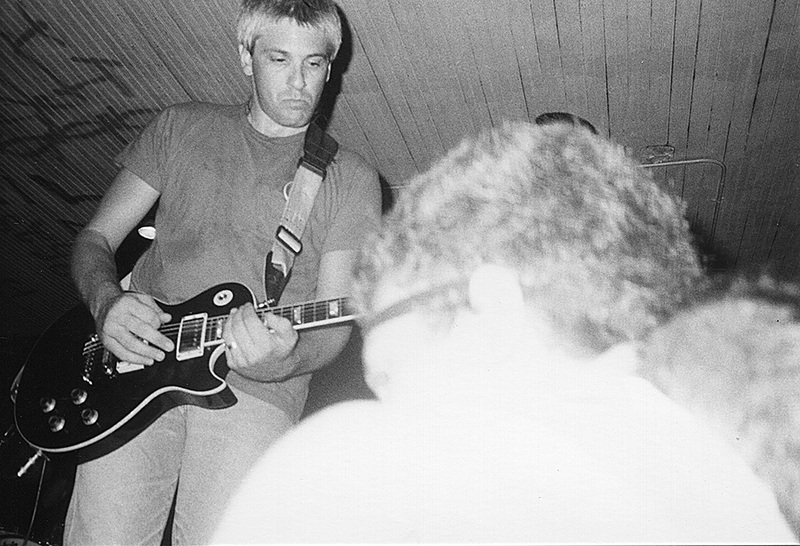 SMWRG reformed in 1988, playing a few shows in Dallas and around the state before breaking up for good in the summer of 1988. 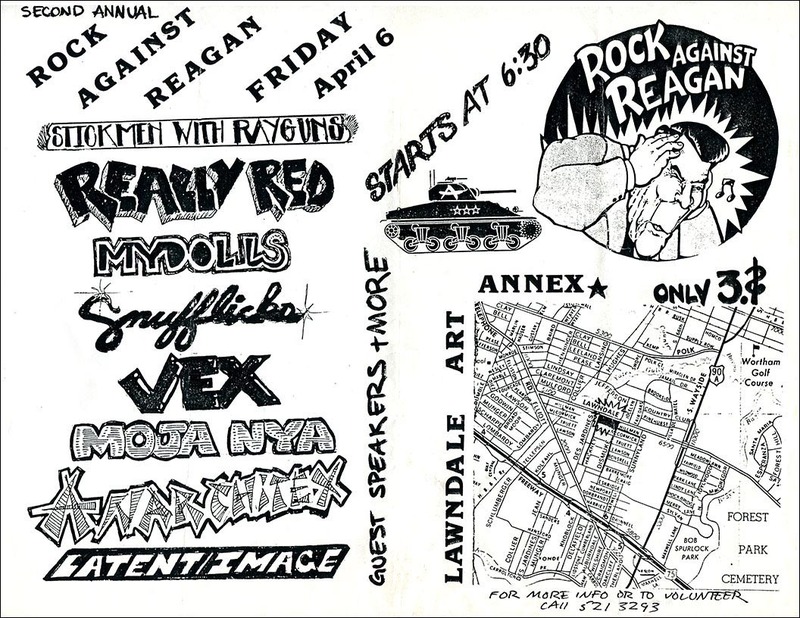 SMWRG was performance art. 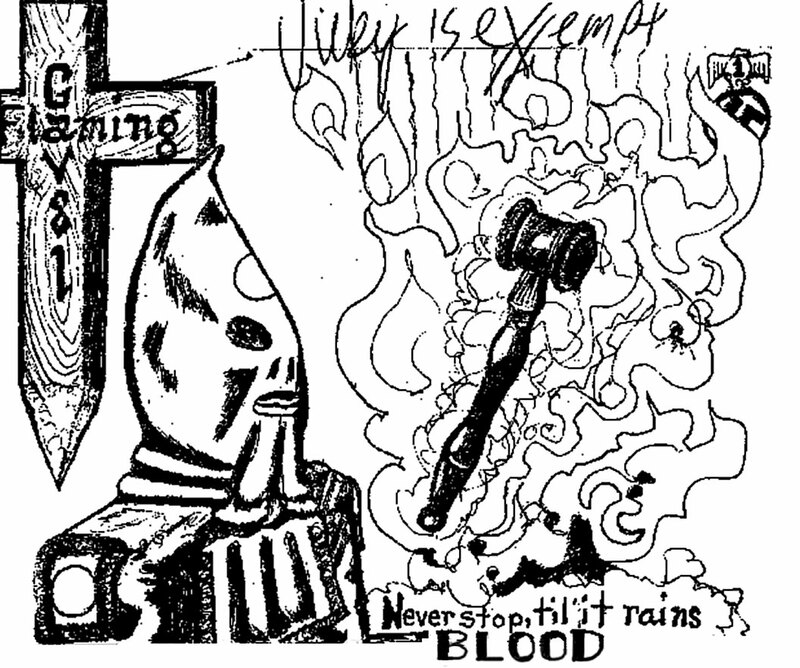 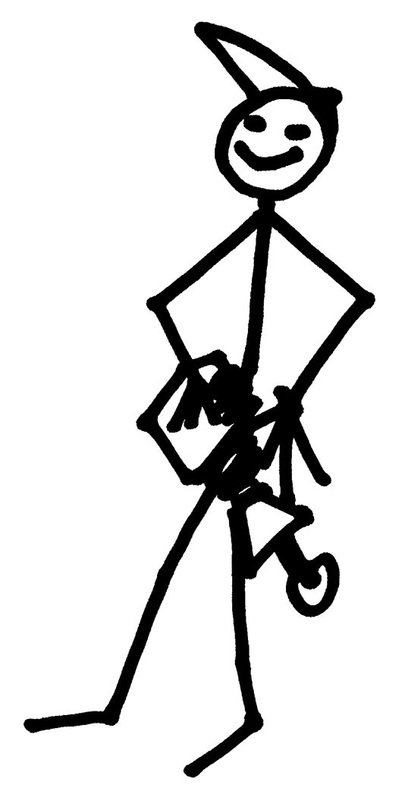 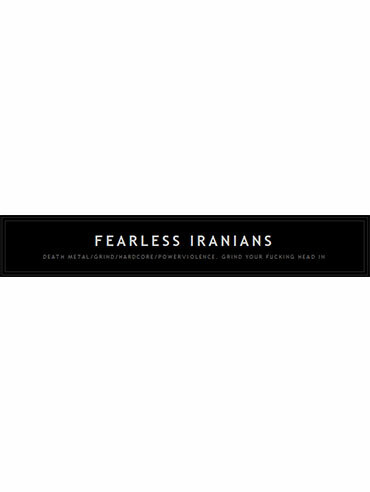 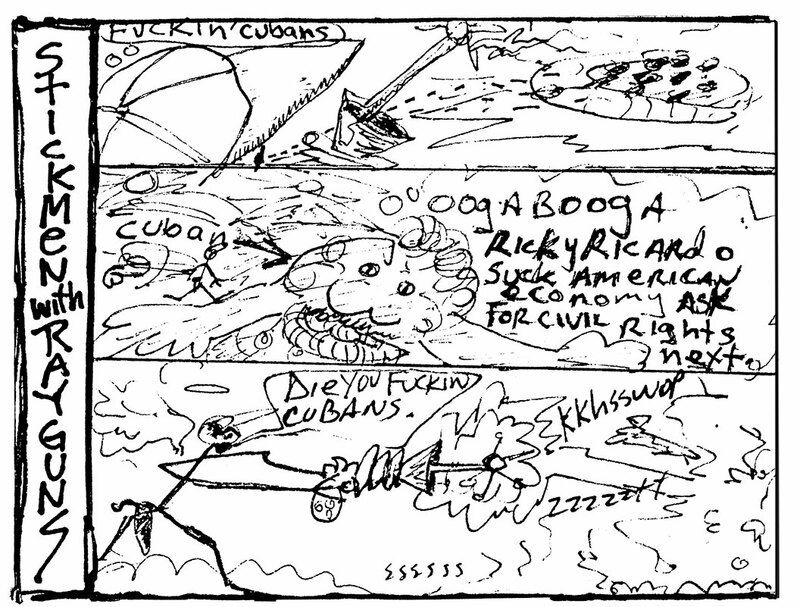 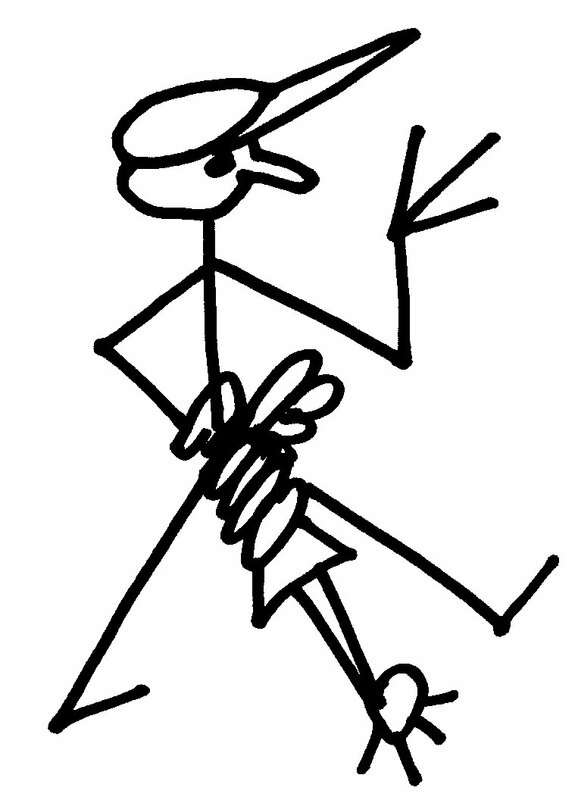 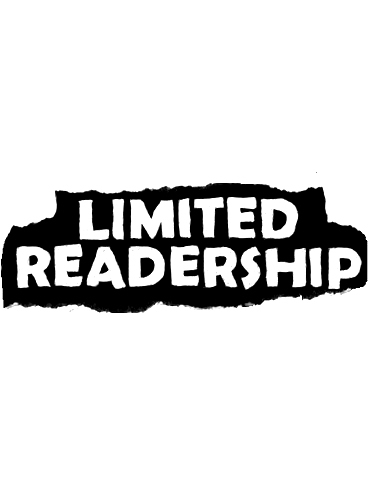 We used extreme methods to point out the irrationality of life, hatred, violence and racism. 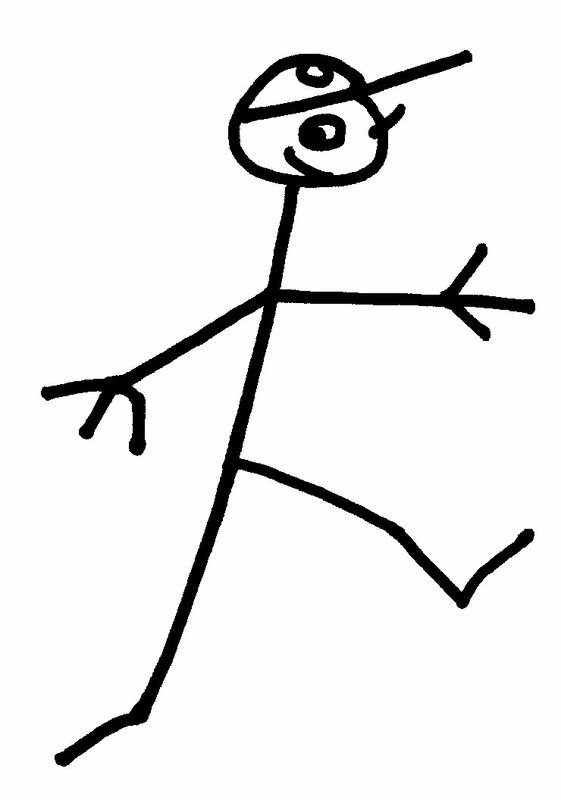 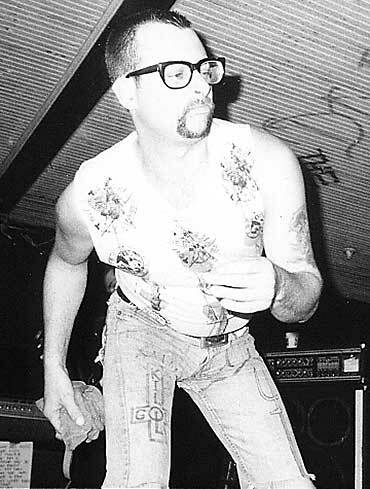 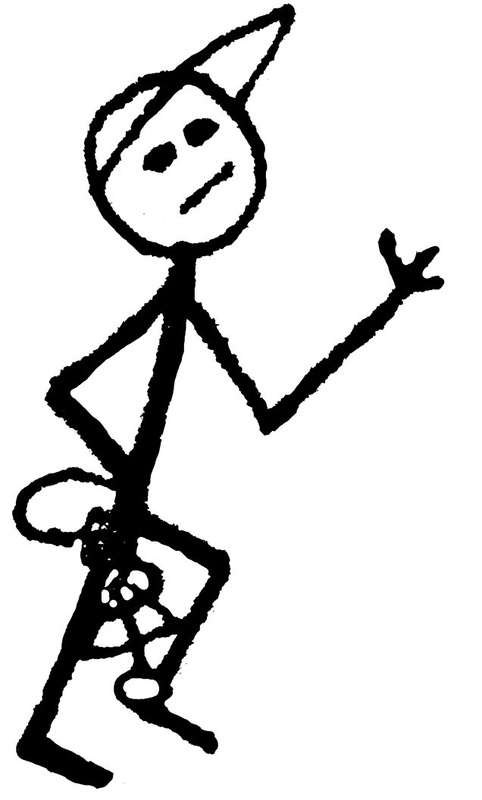 Although obviously based around front man Bobby Soxx, SMWRG soon developed an unusual stage persona, one with no pretense of rationality. 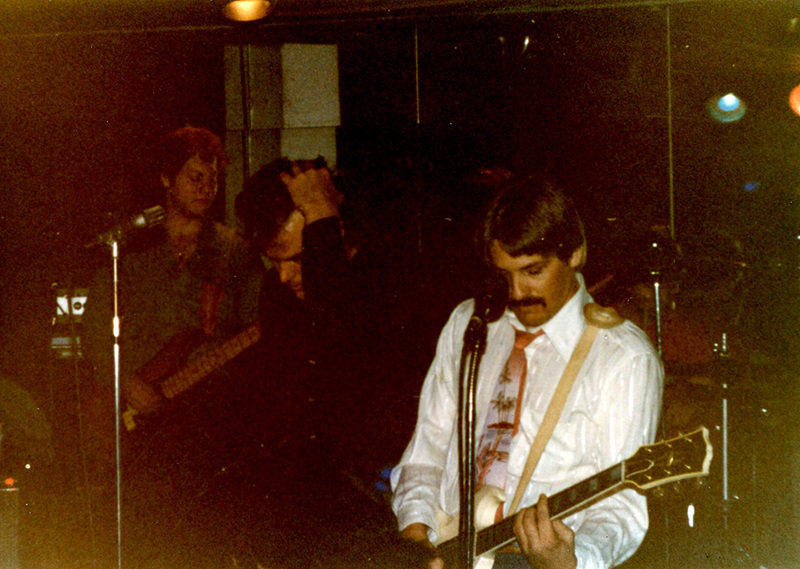 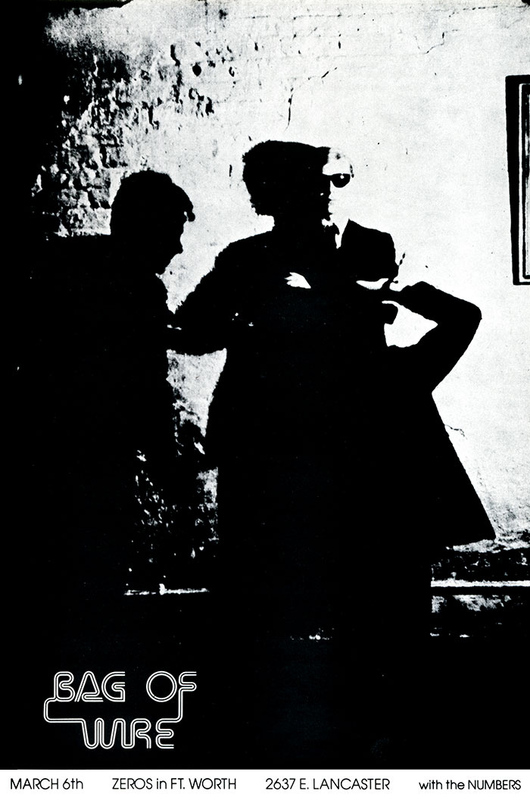 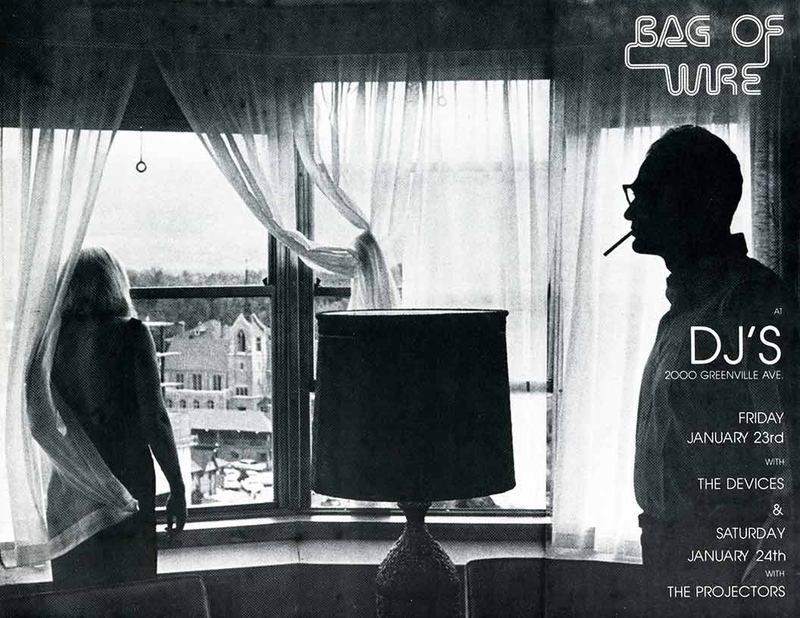 We simply let the band seek its own level, and that level was strange indeed. 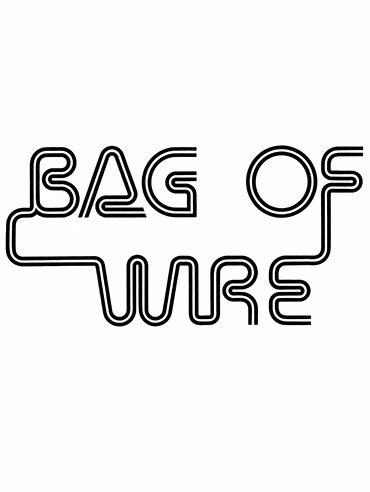 What you hear with SMWRG is exactly what we wanted to do together. 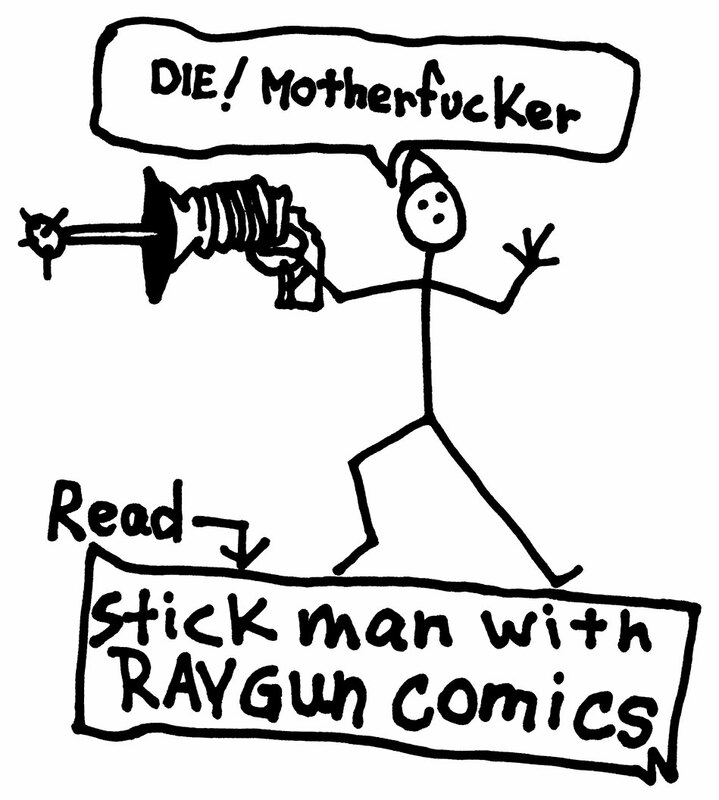 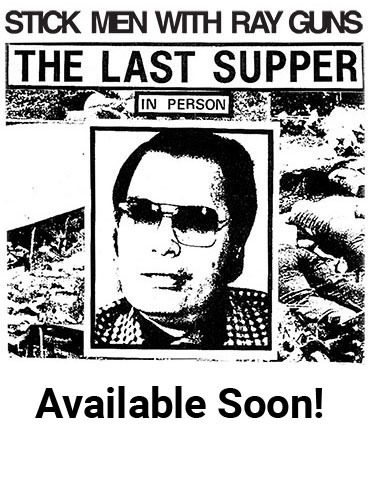 We could not have cared less if it was popular or if it ever made any money. 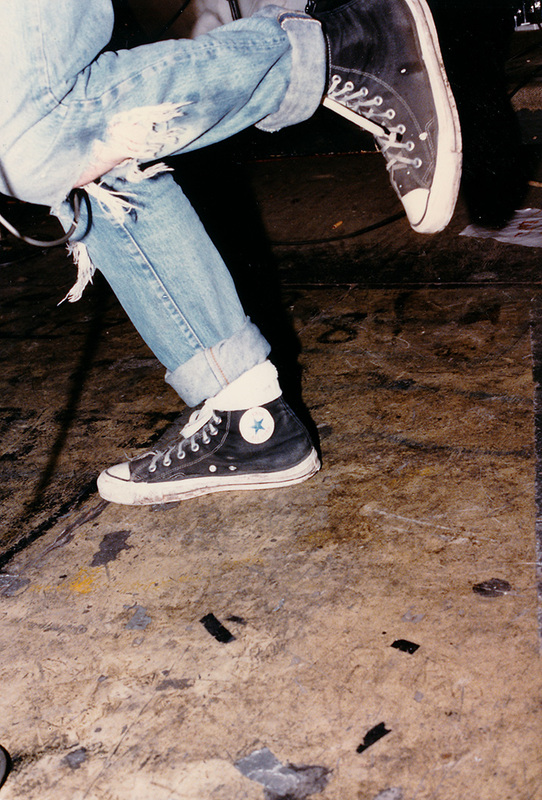 I wish that more bands felt that way, maybe their music would be more interesting.